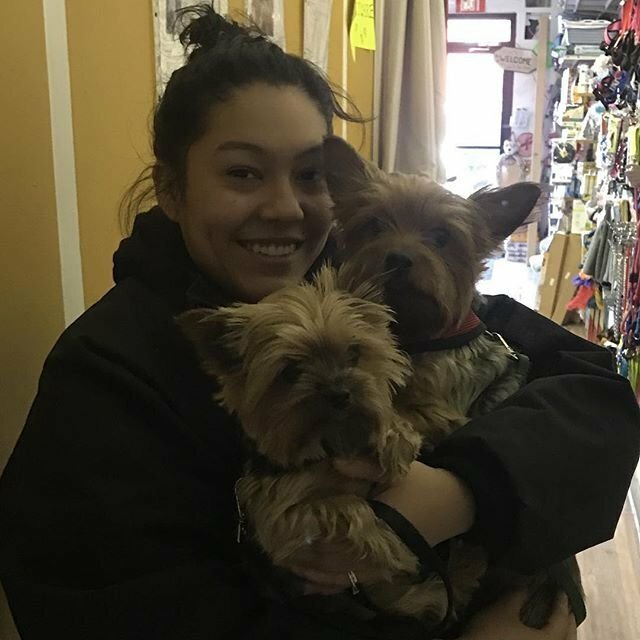 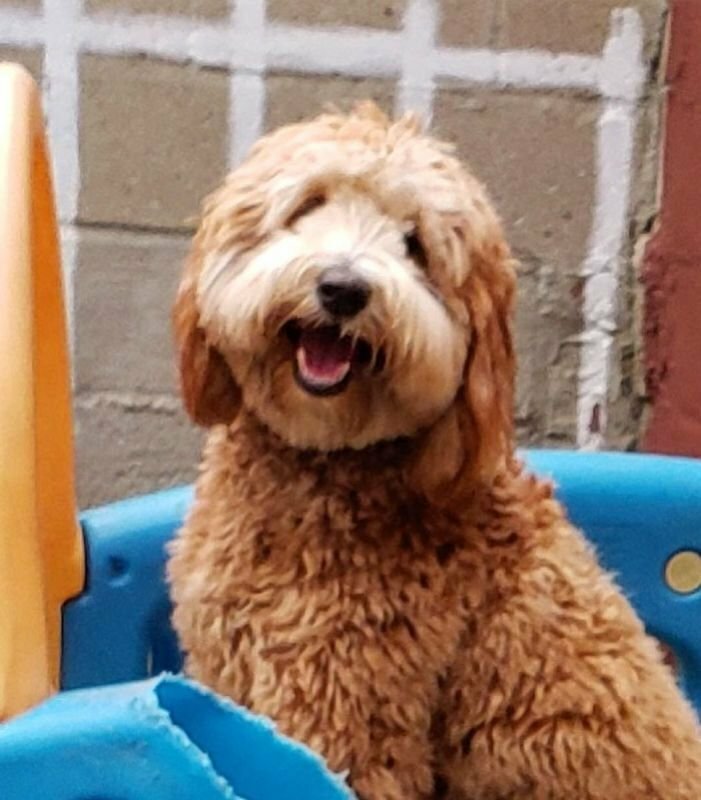 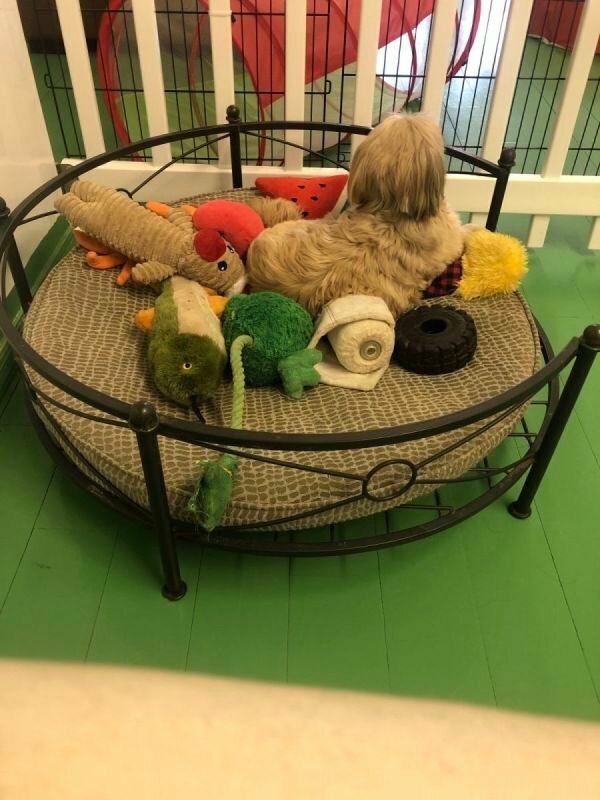 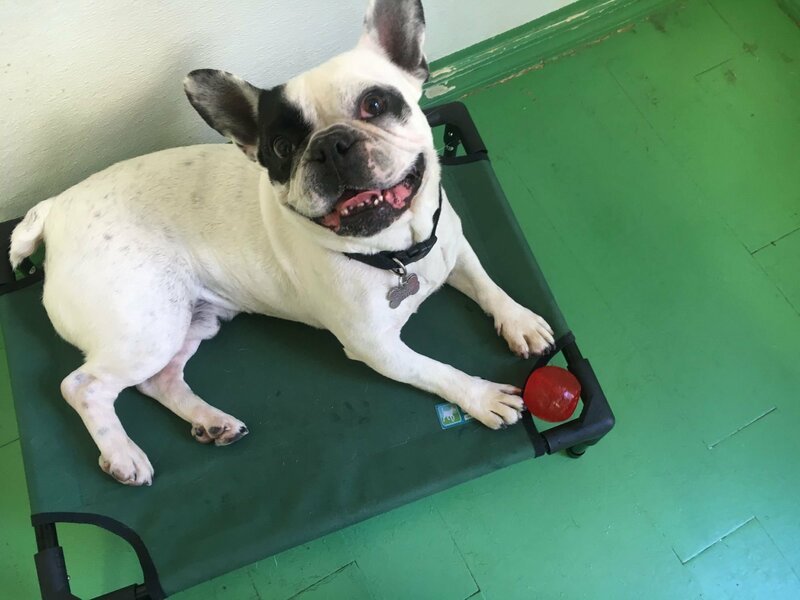 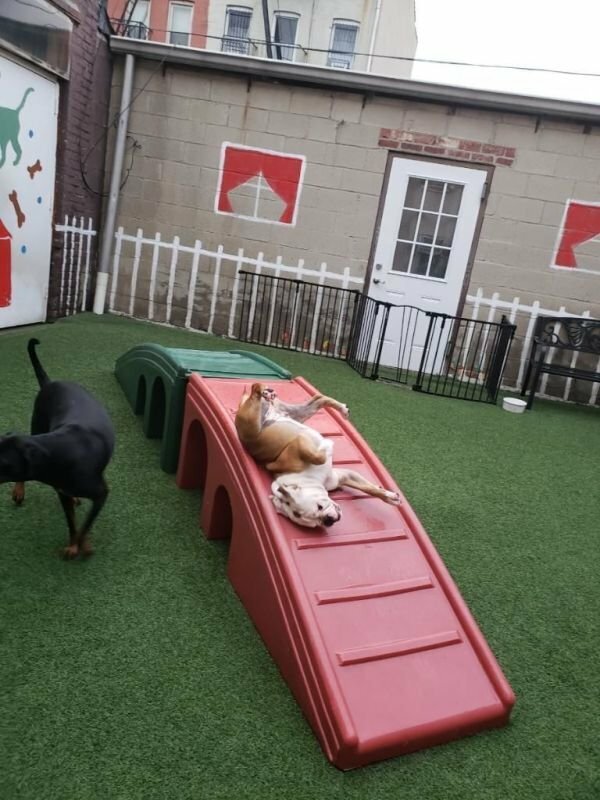 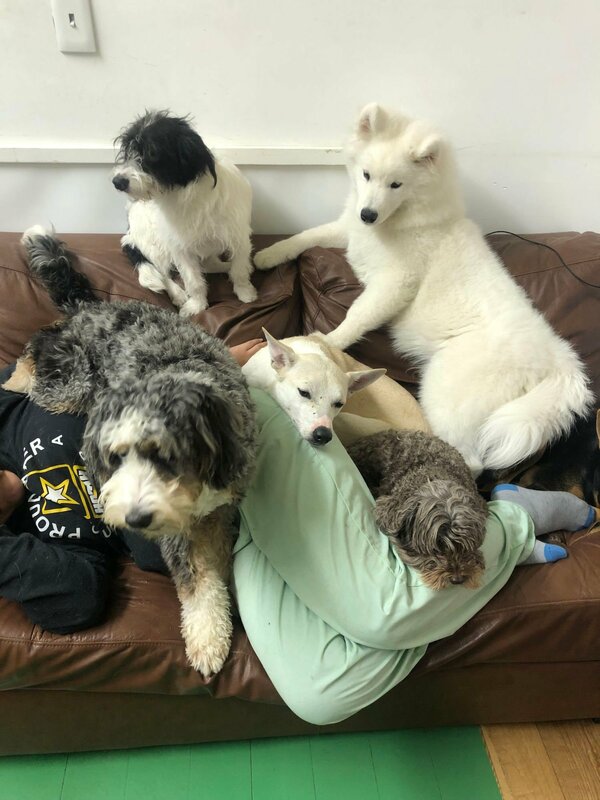 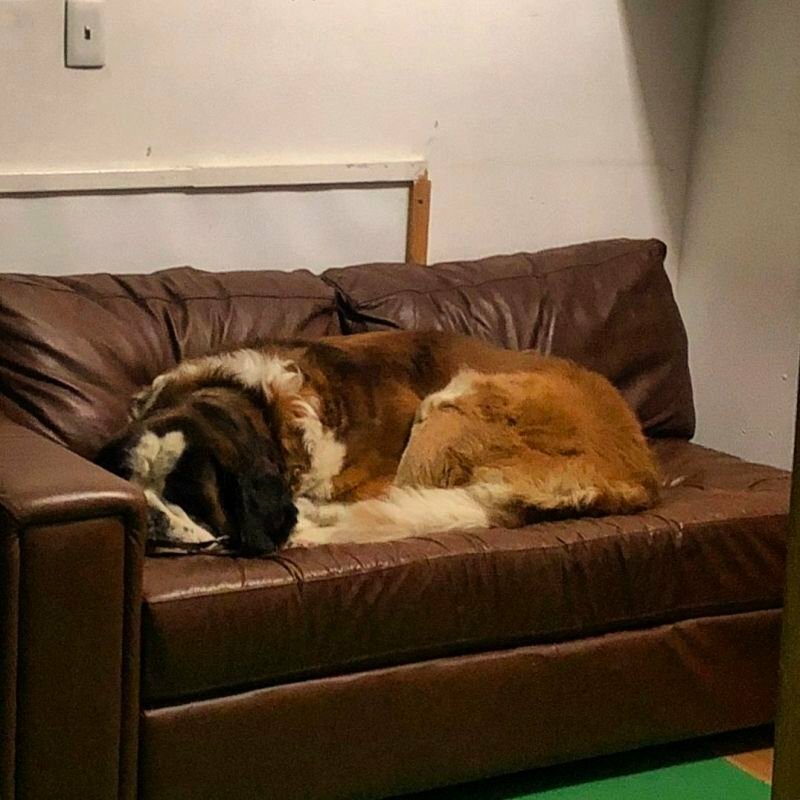 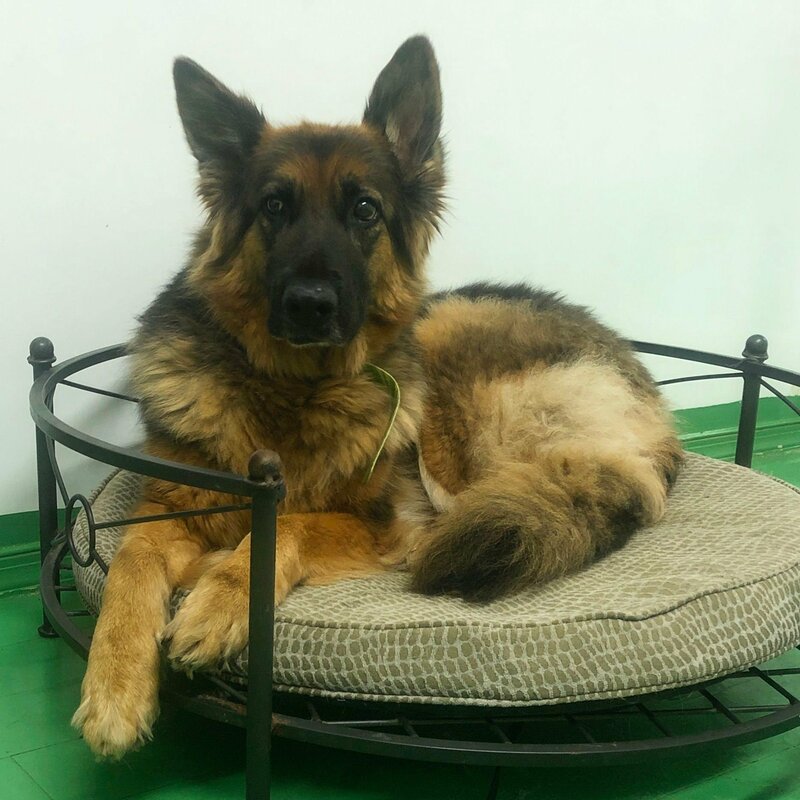 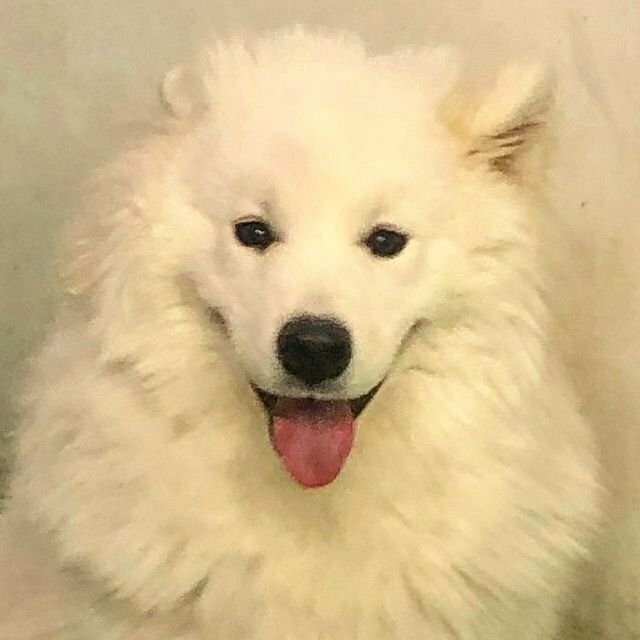 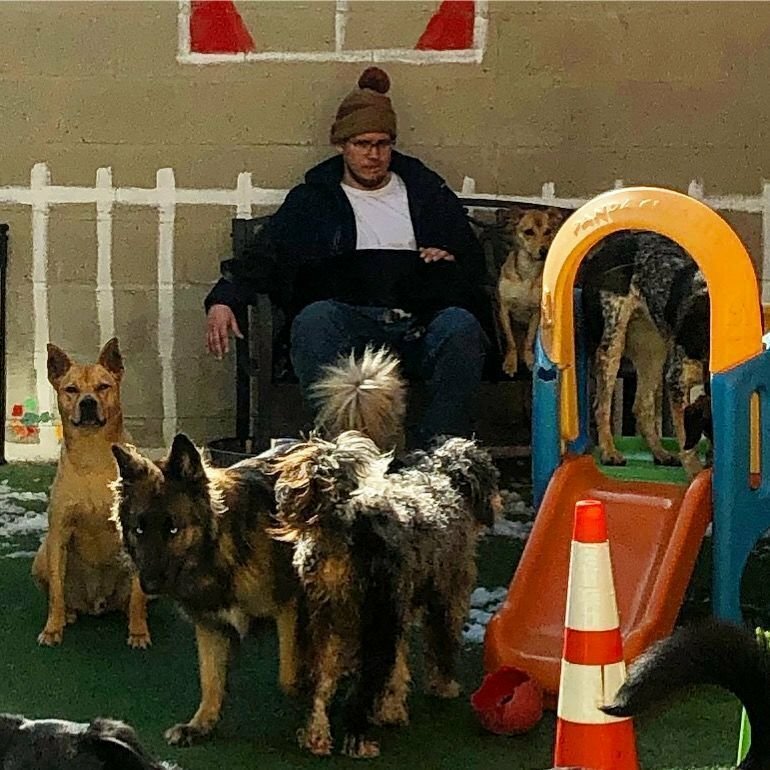 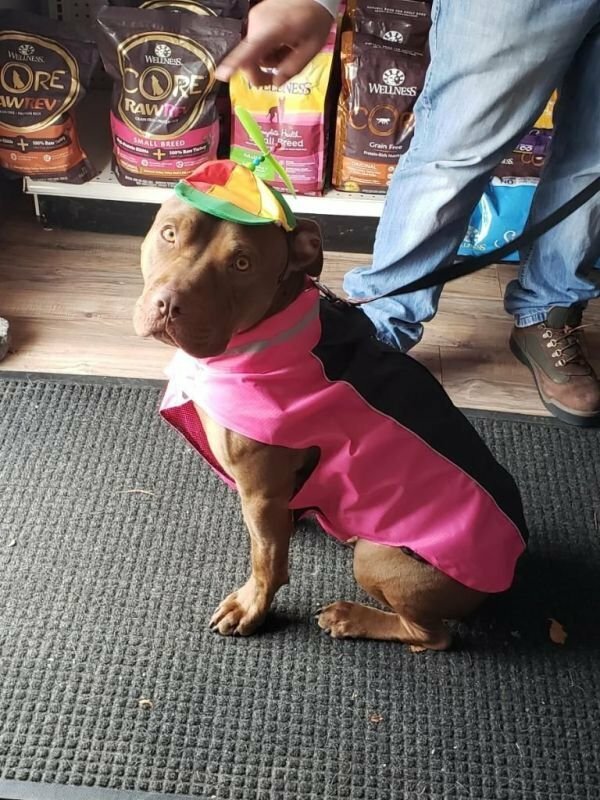 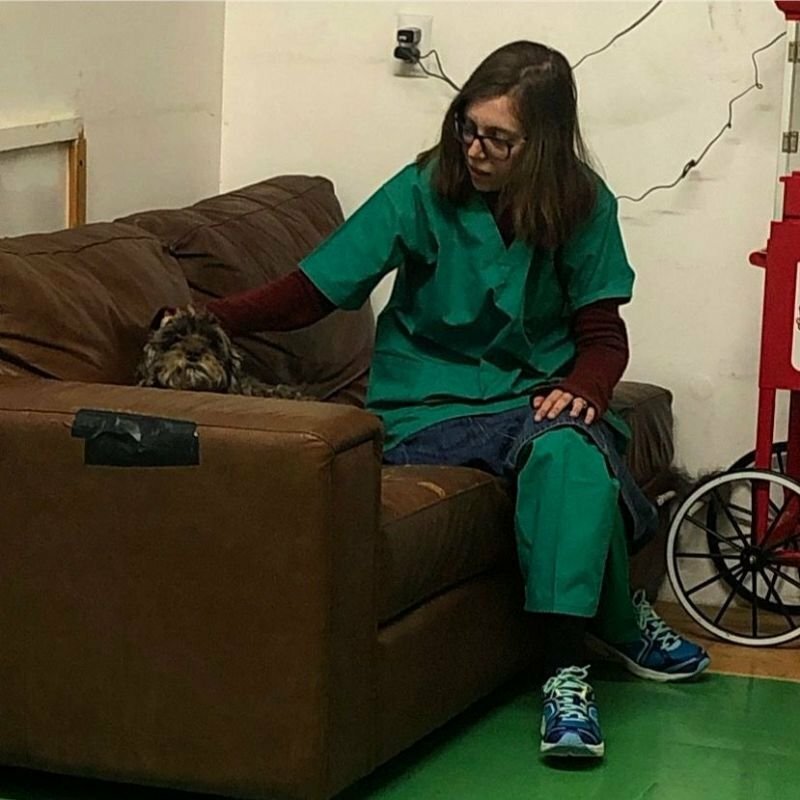 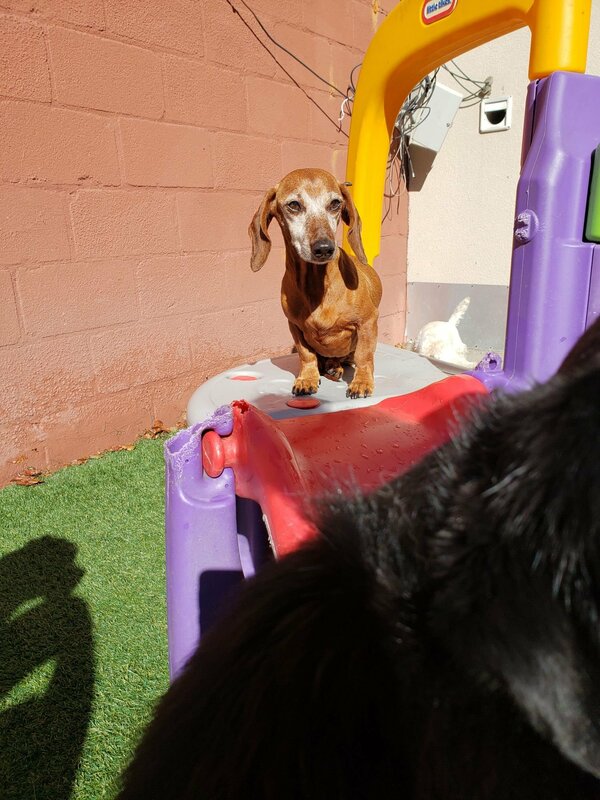 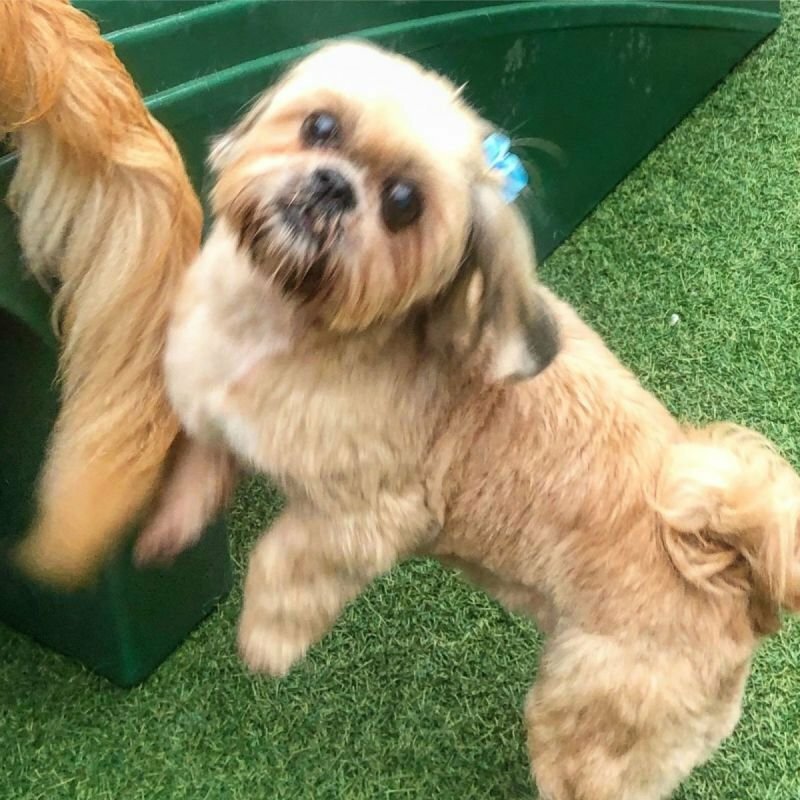 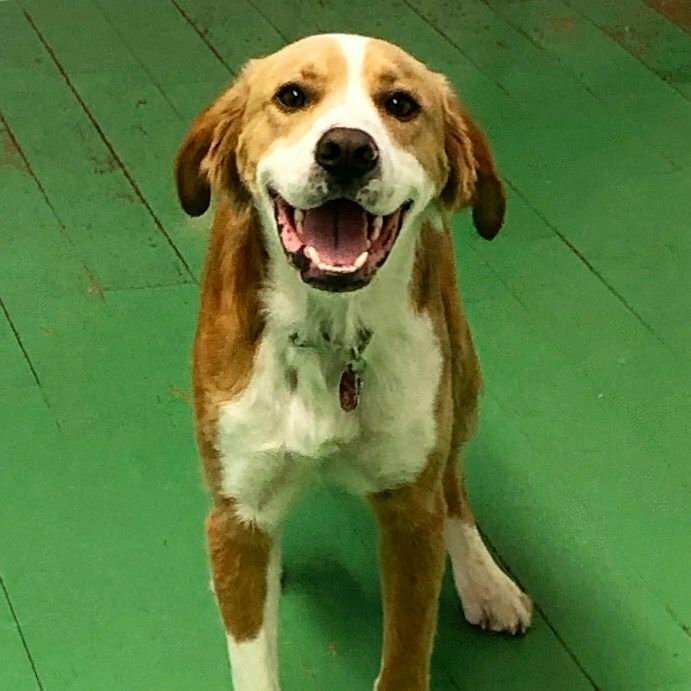 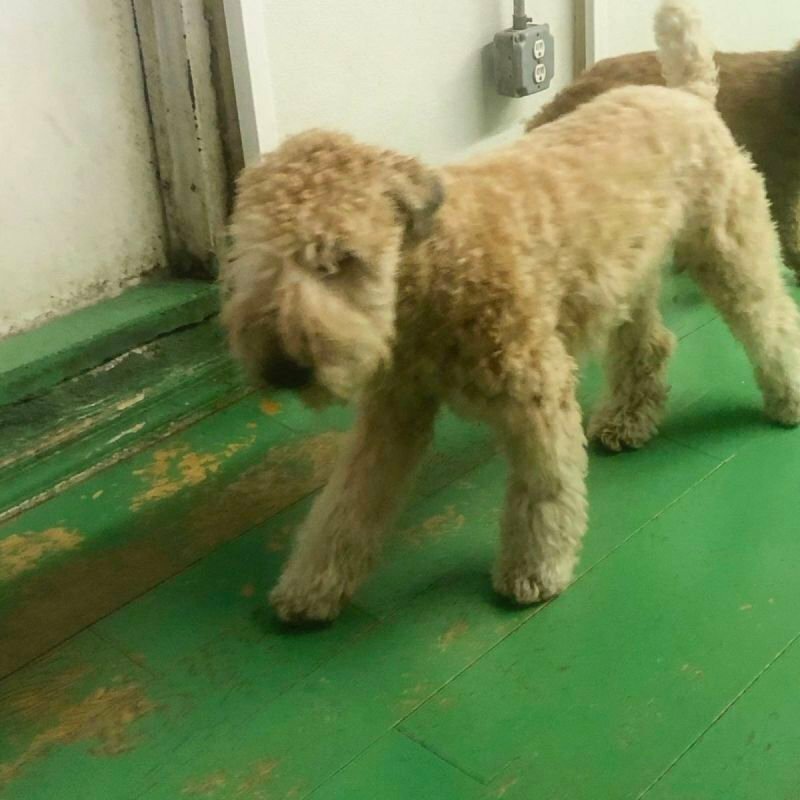 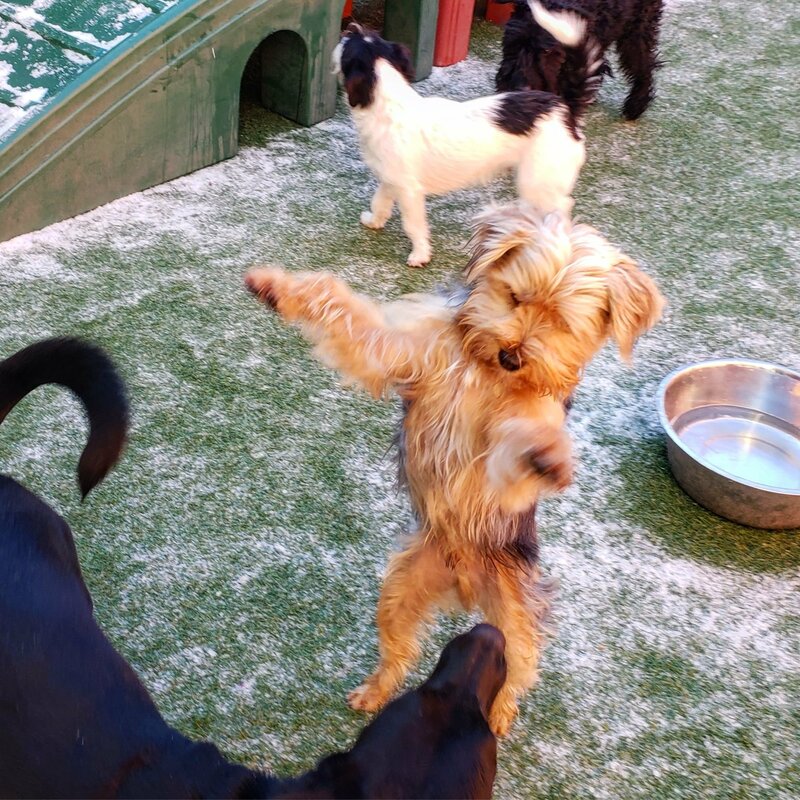 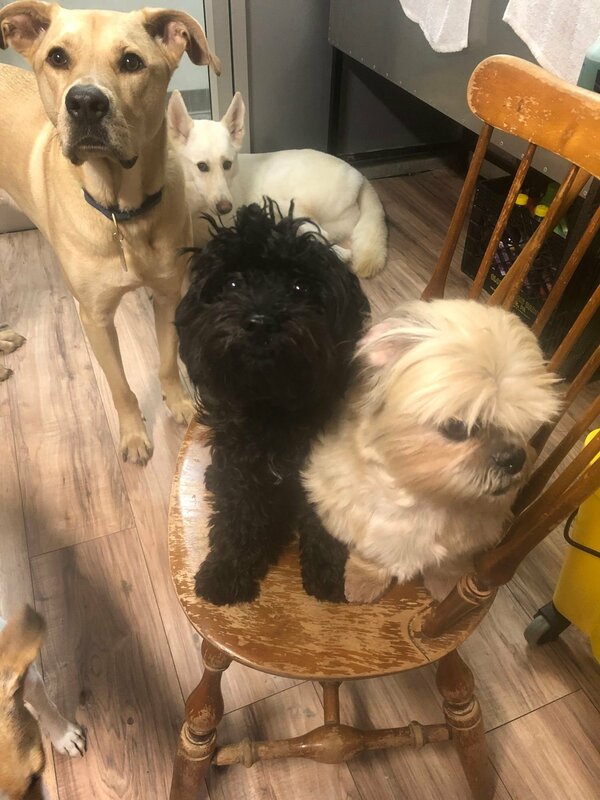 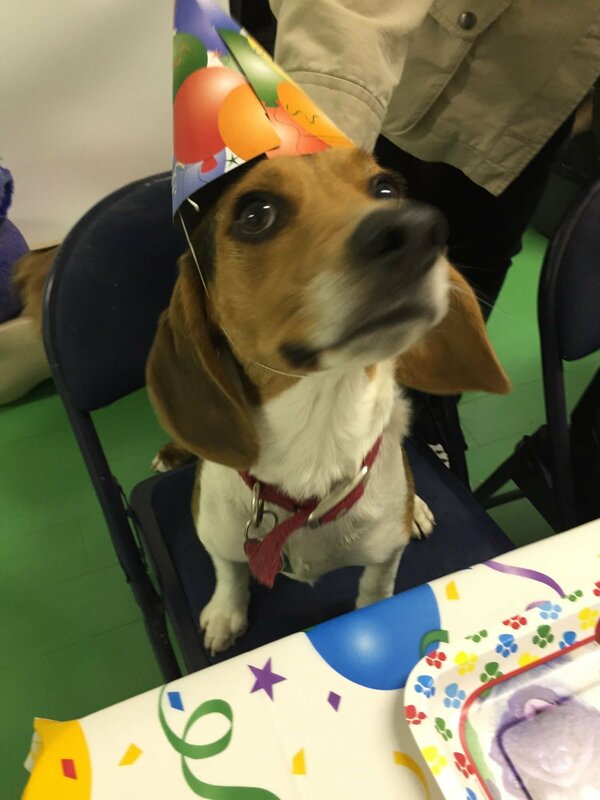 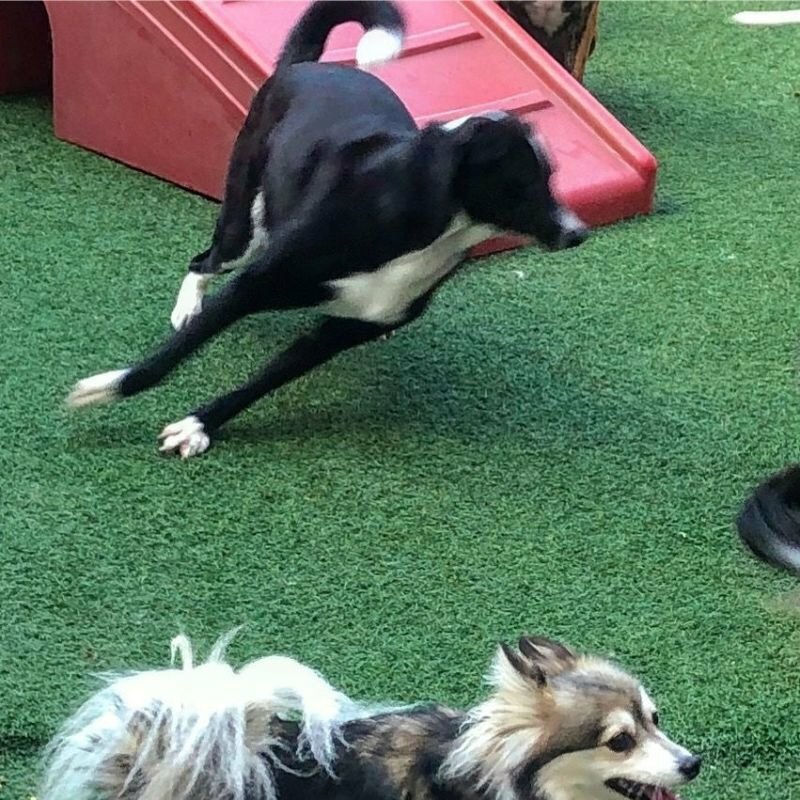 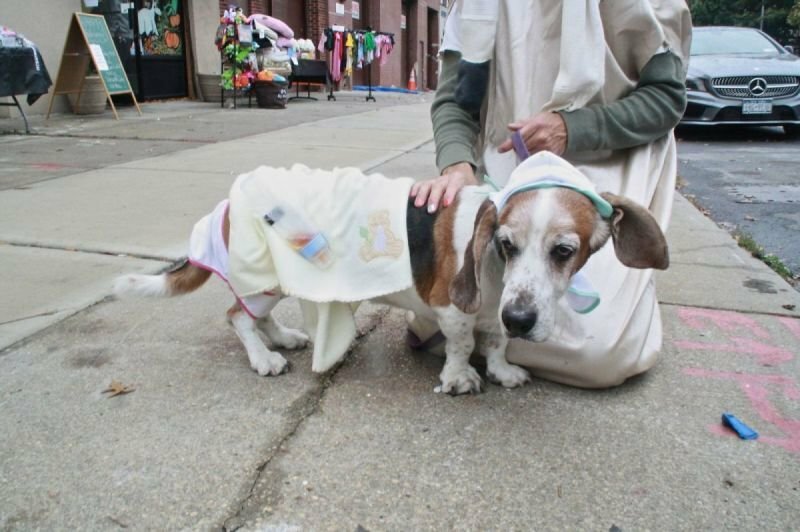 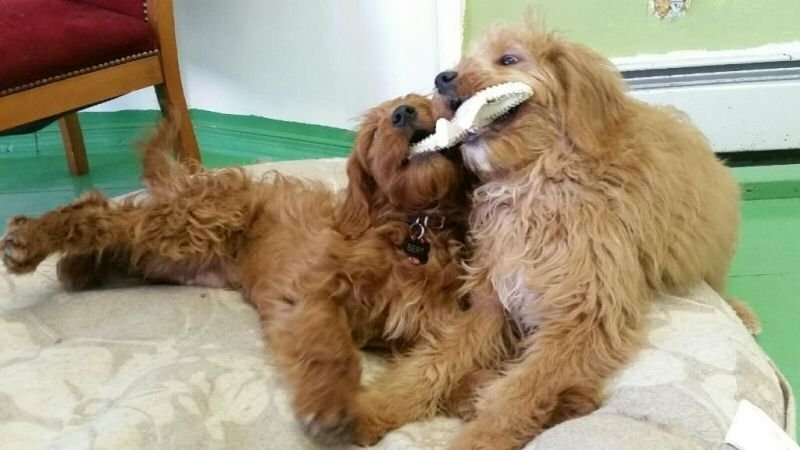 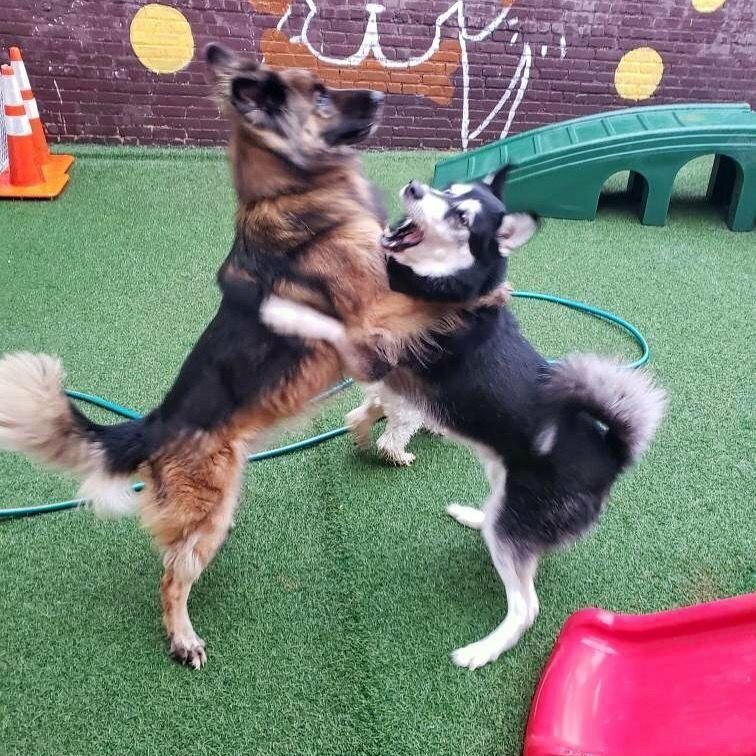 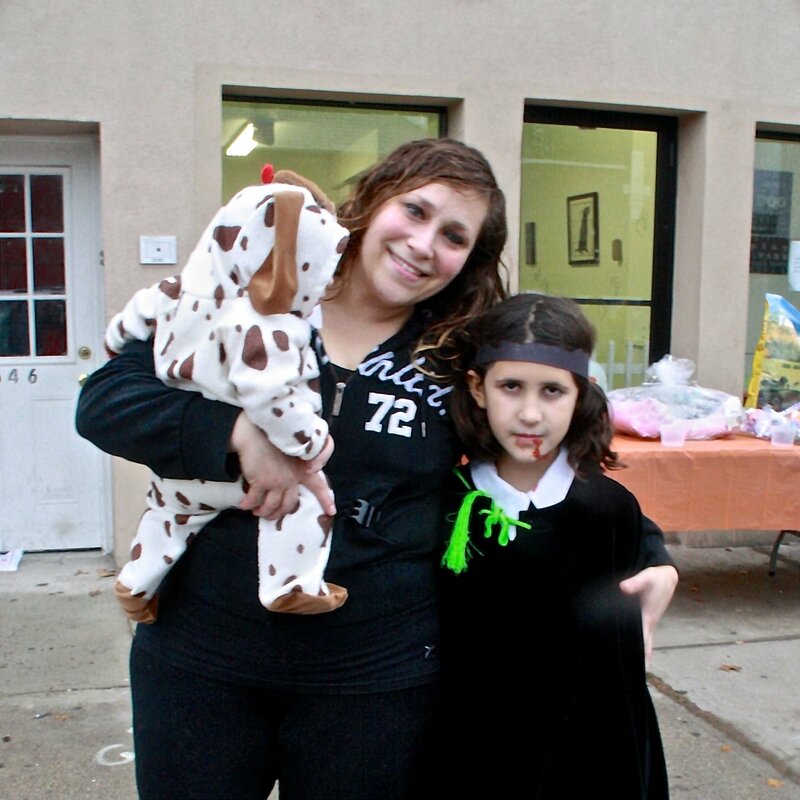 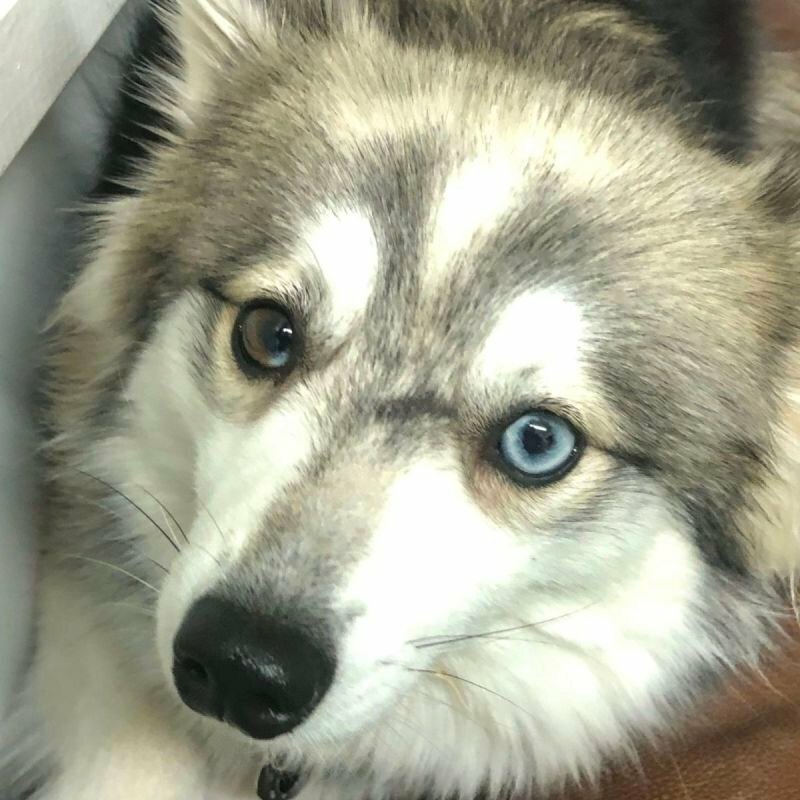 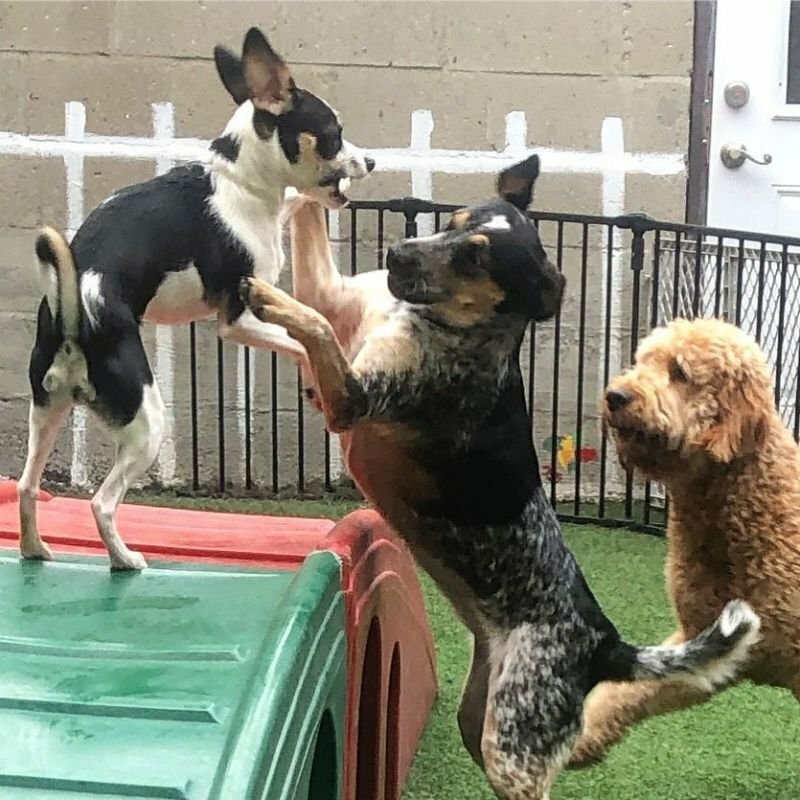 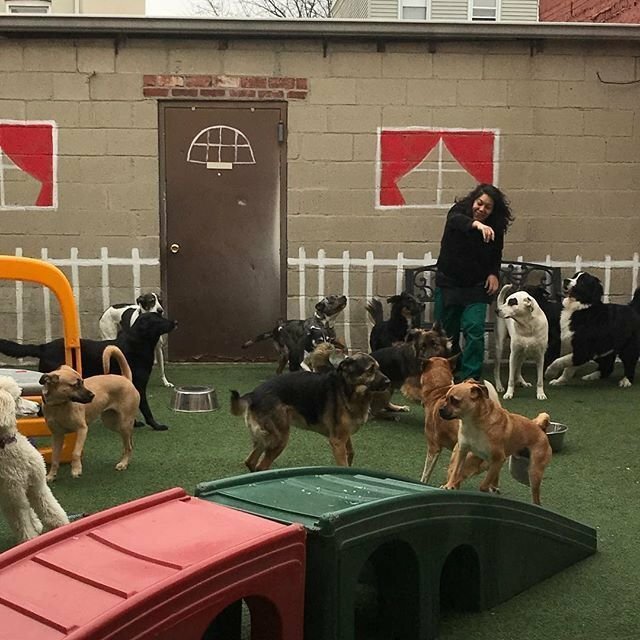 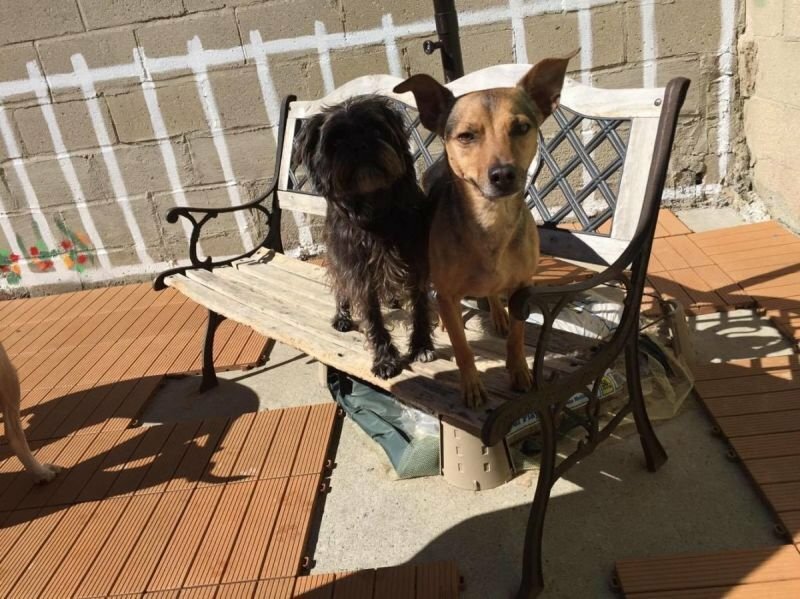 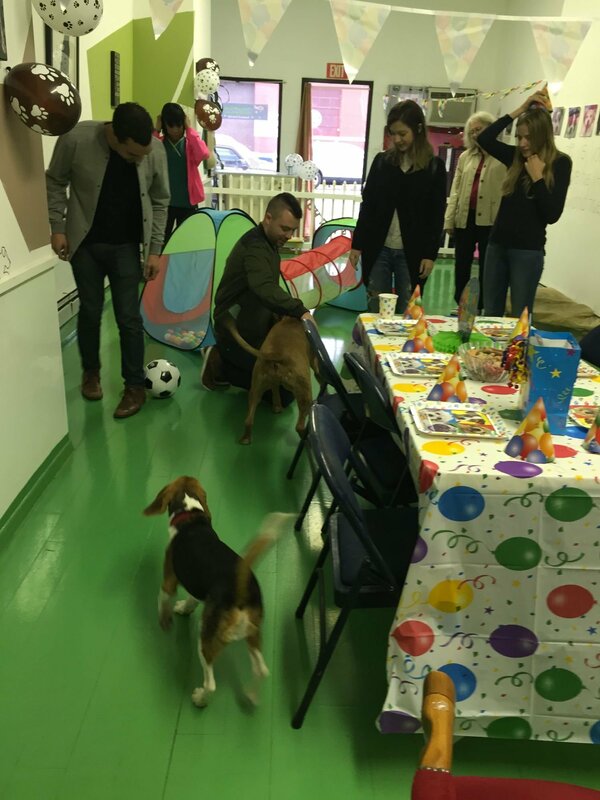 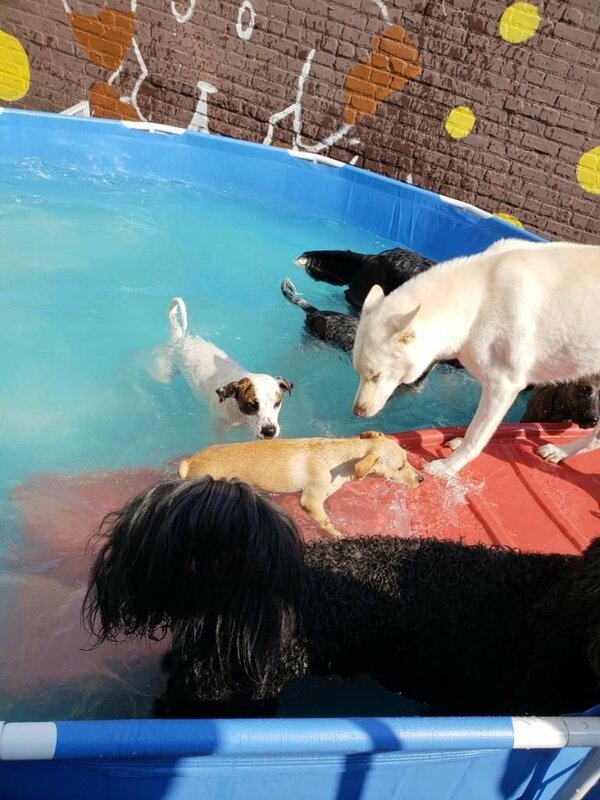 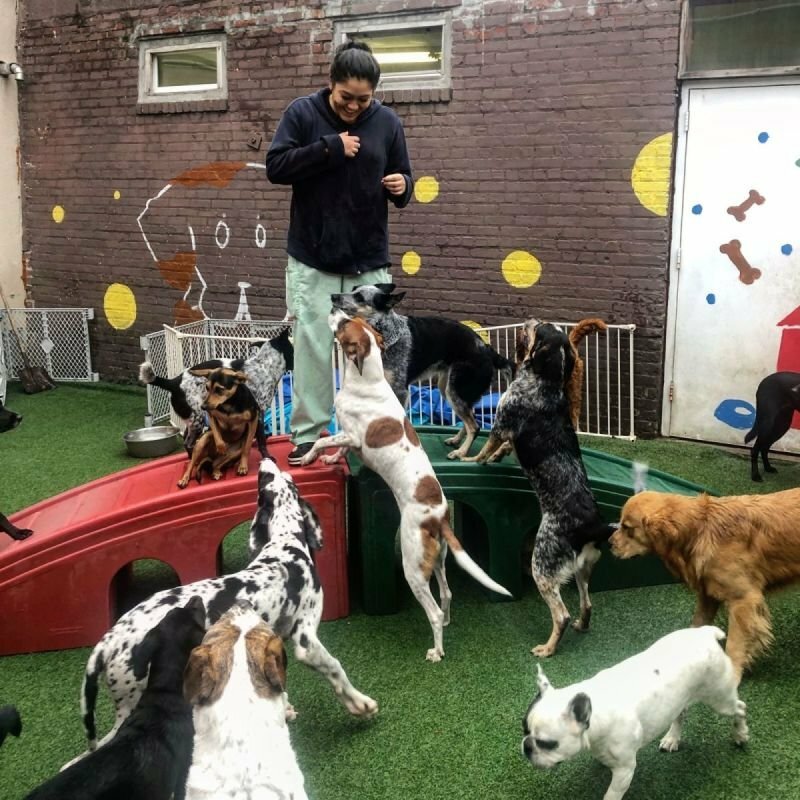 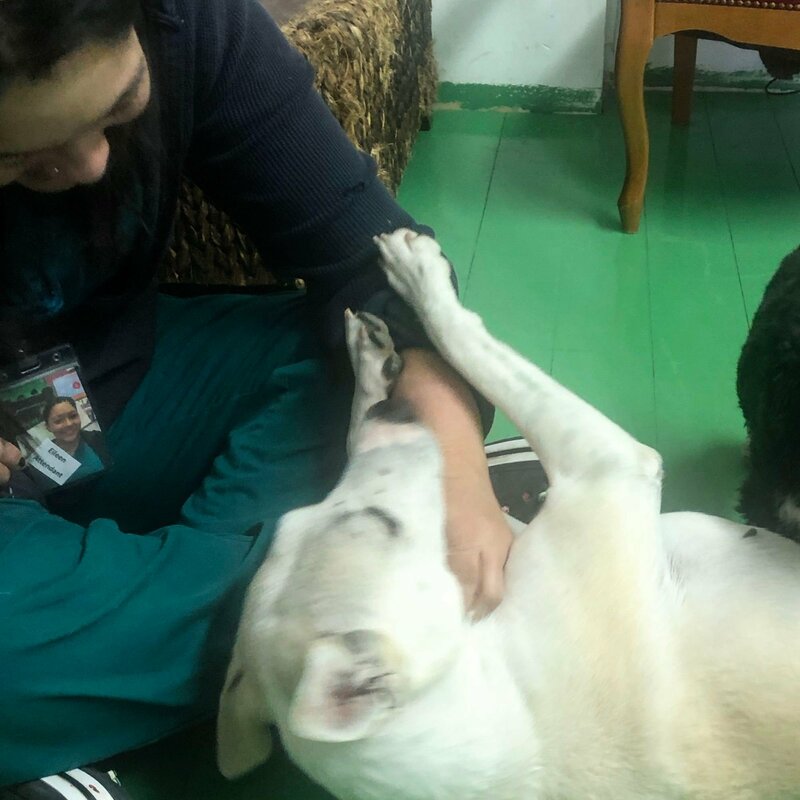 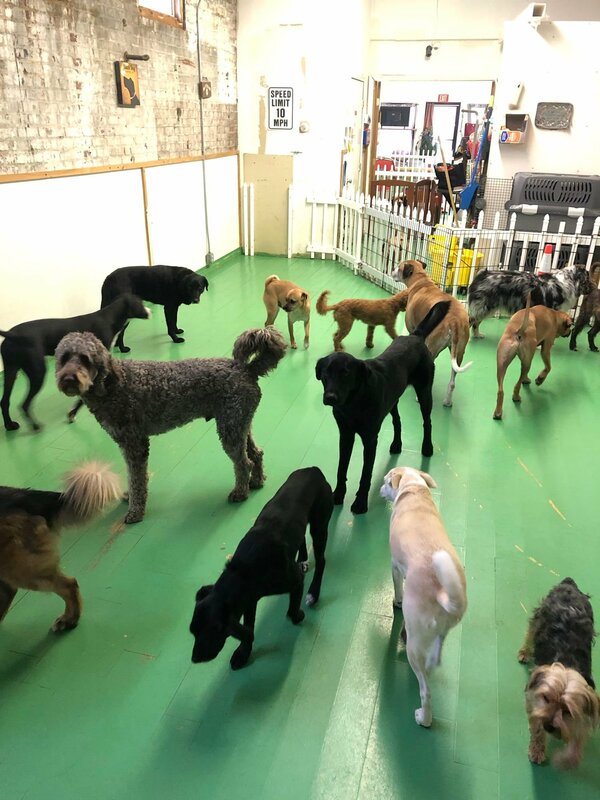 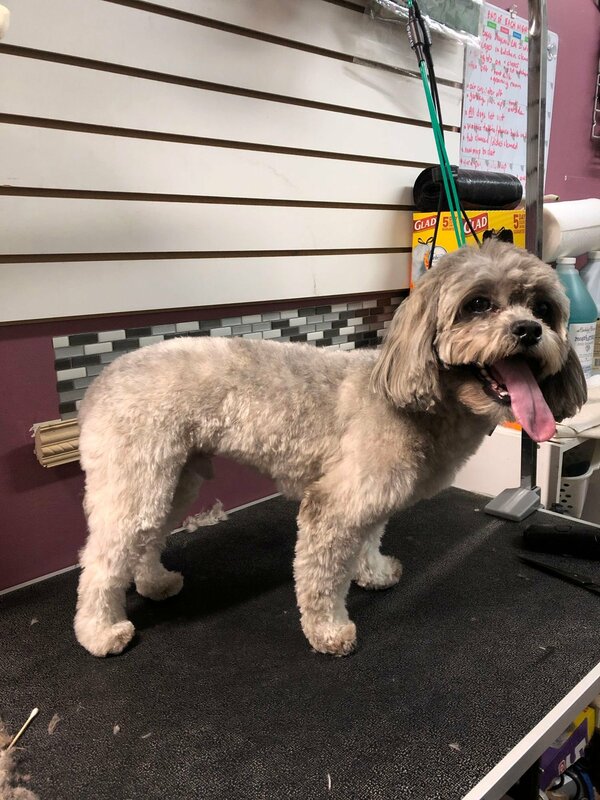 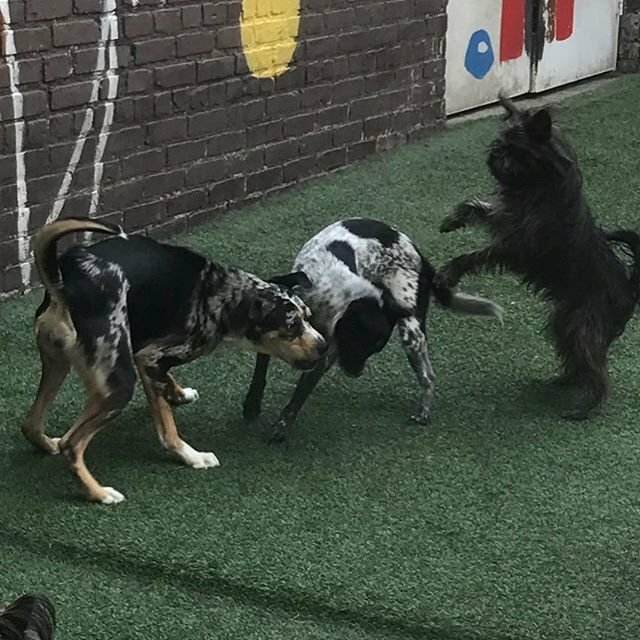 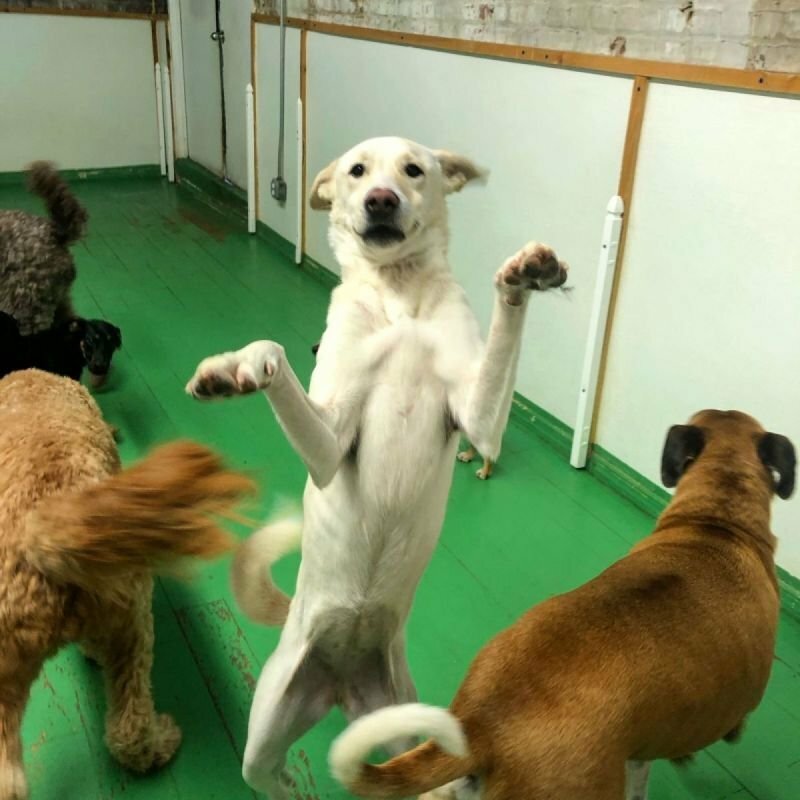 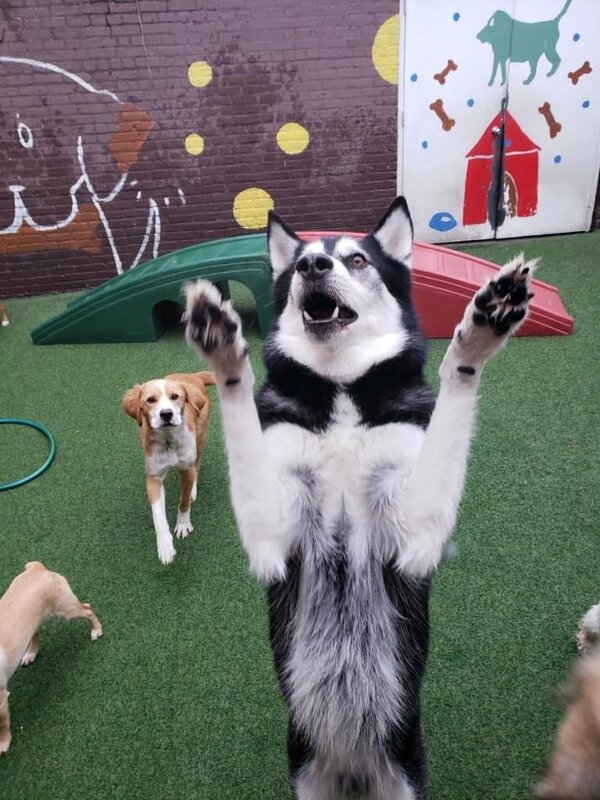 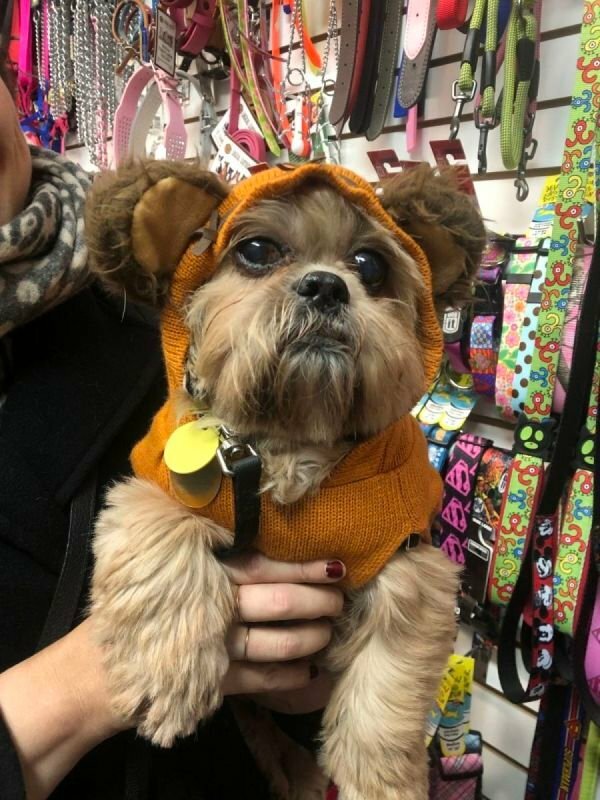 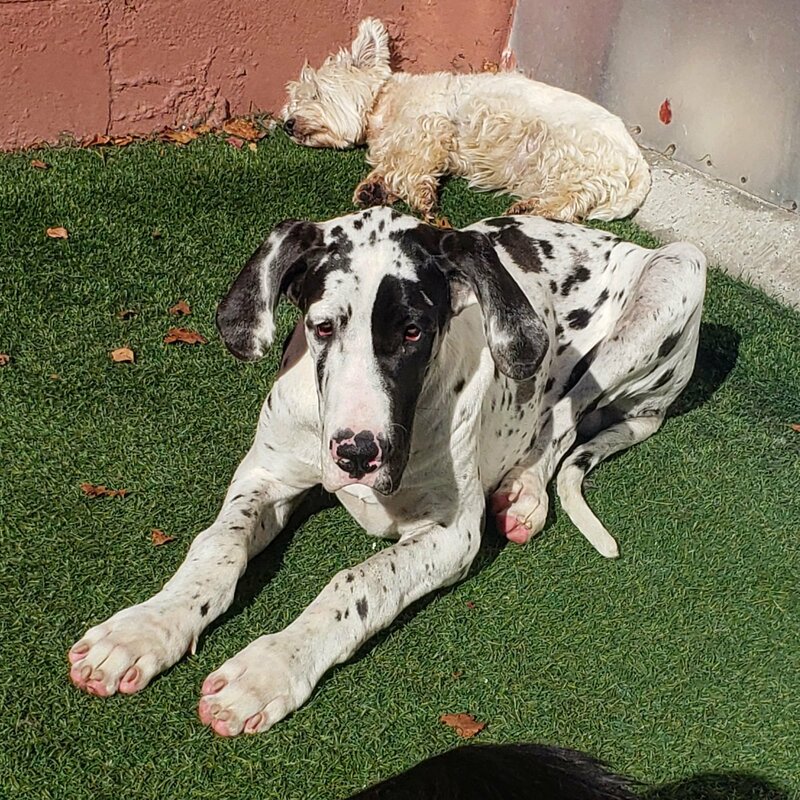 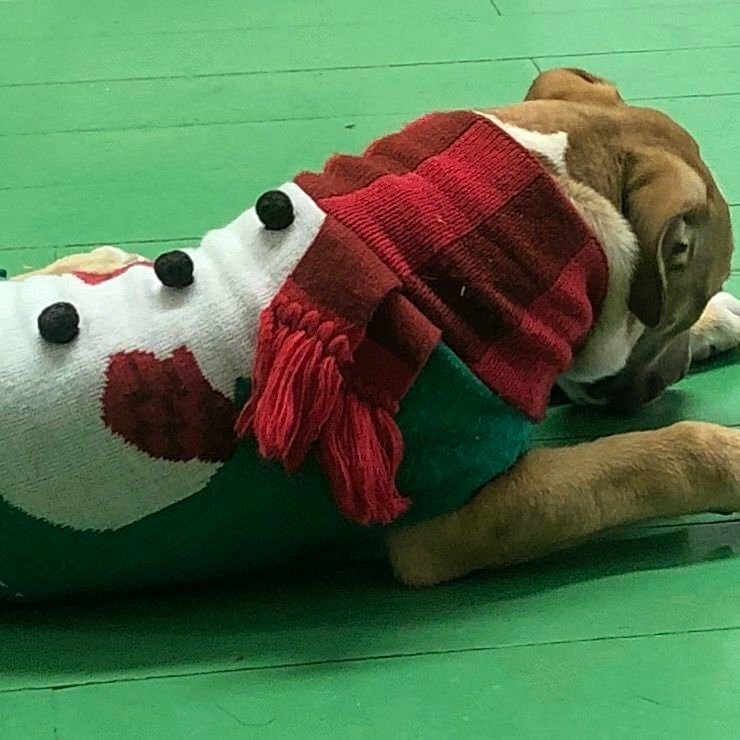 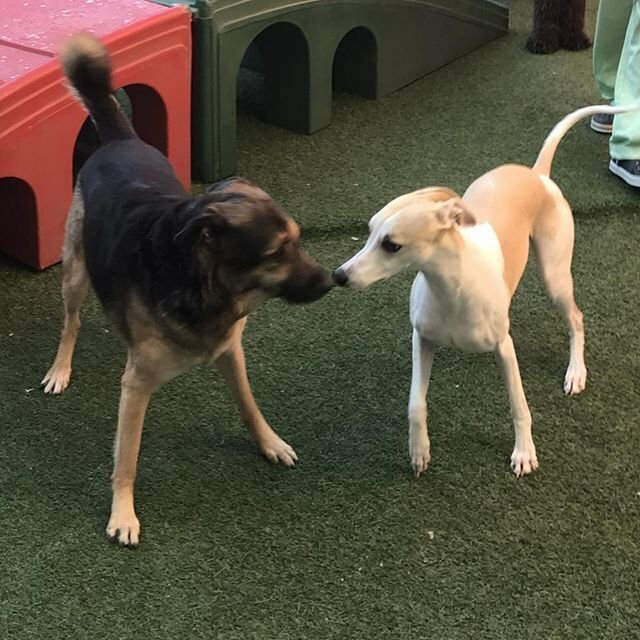 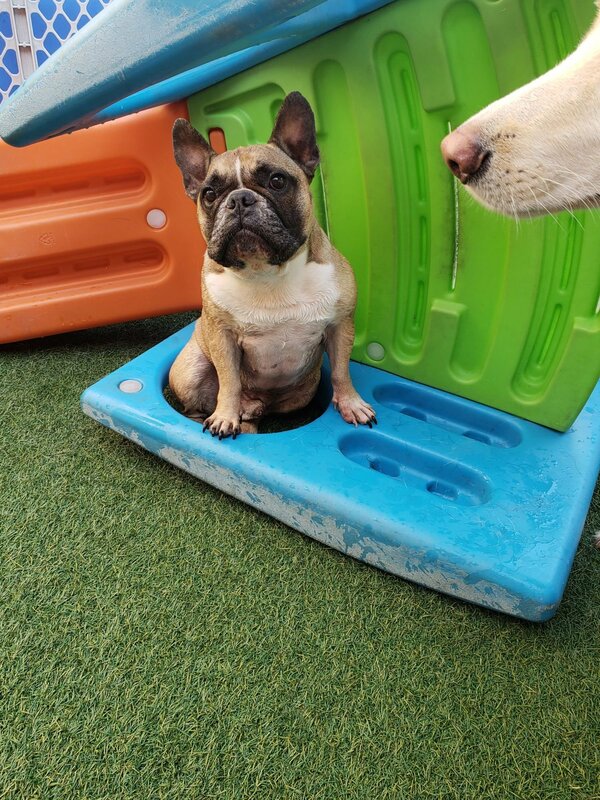 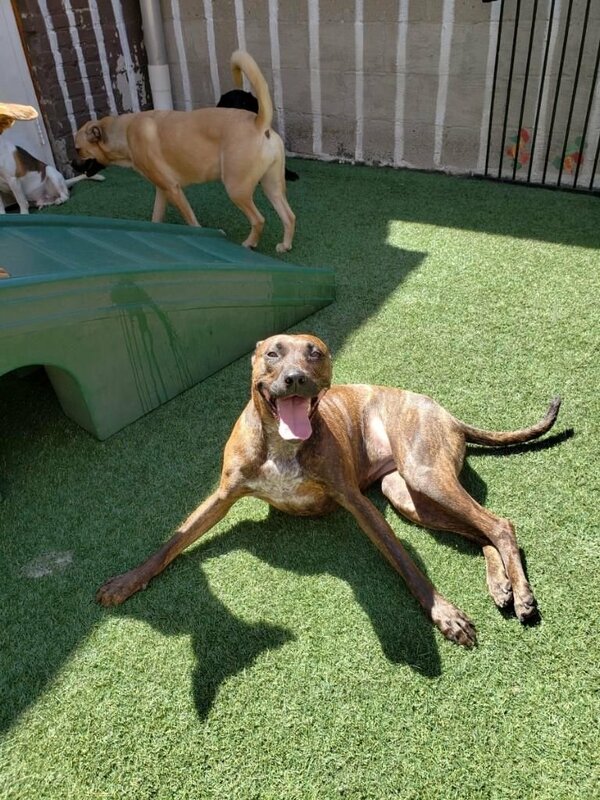 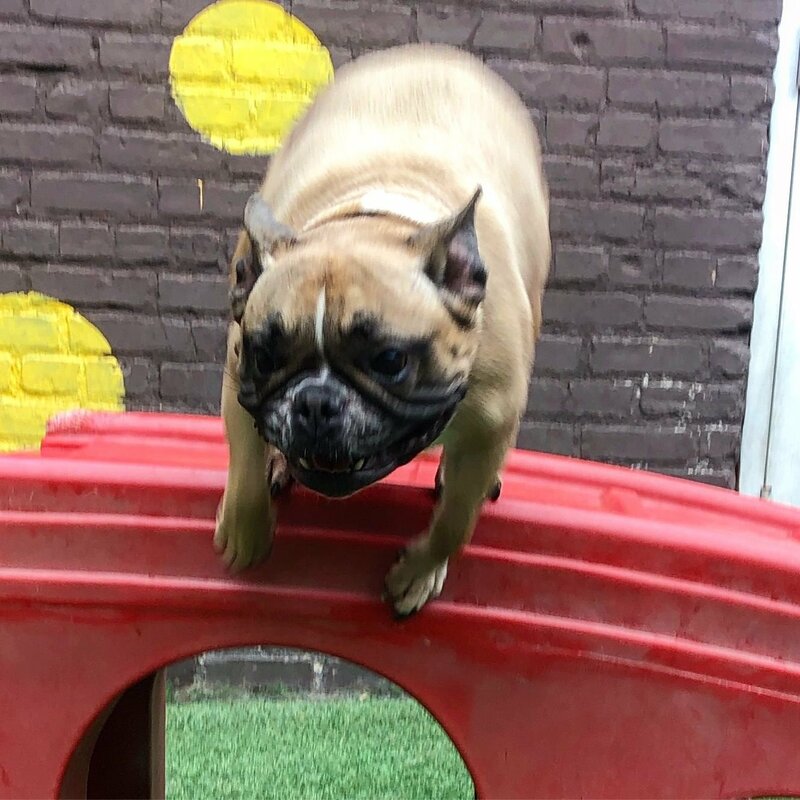 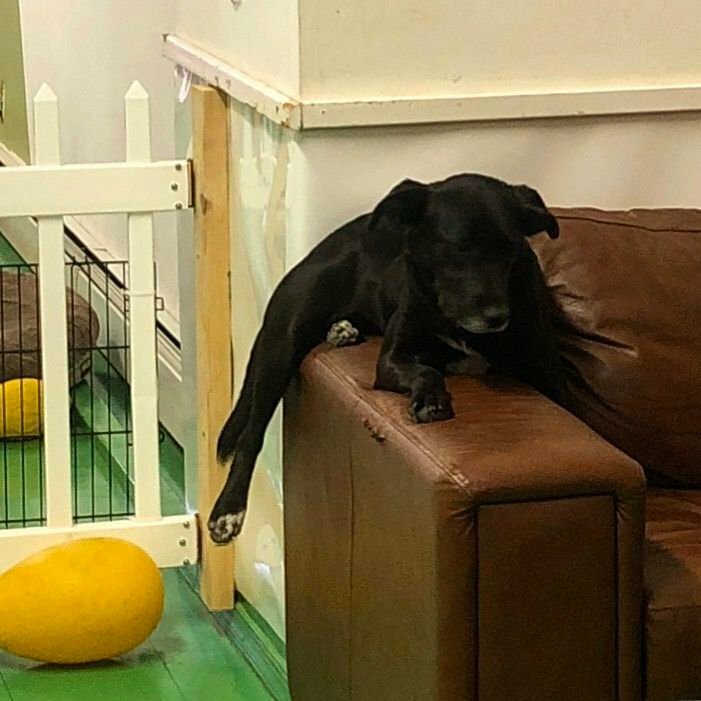 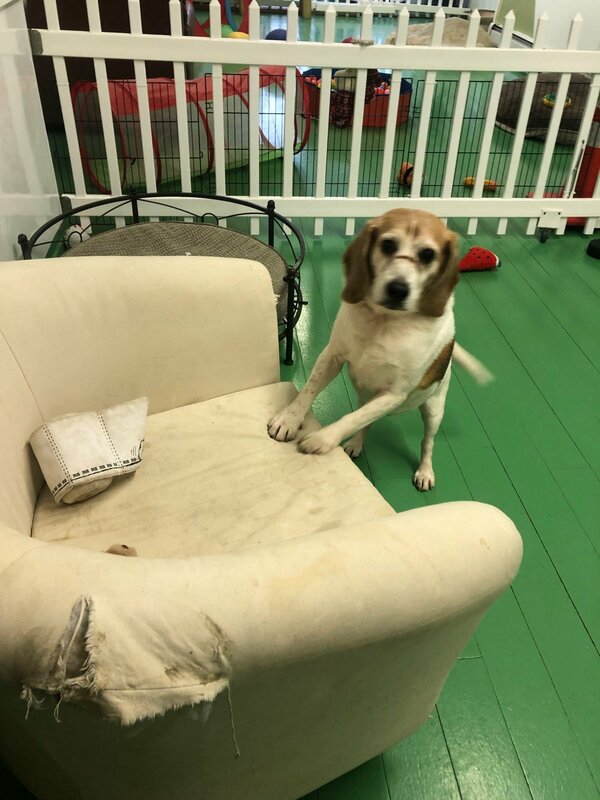 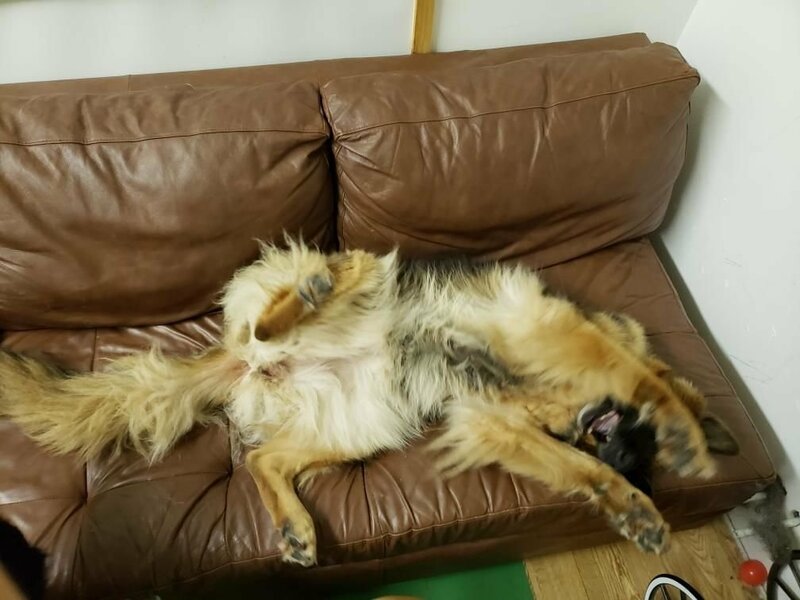 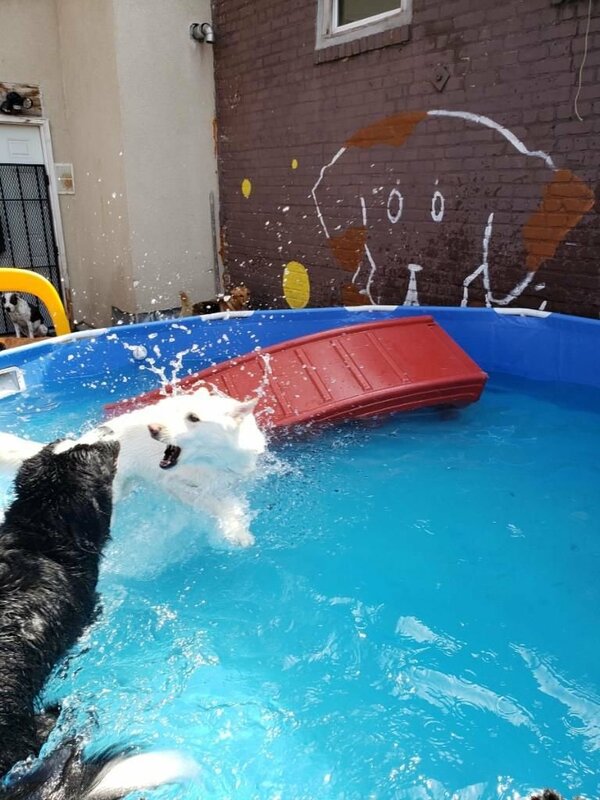 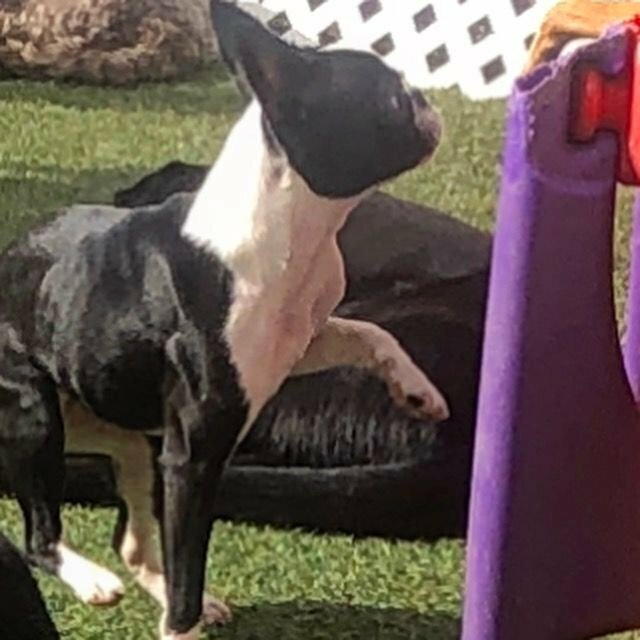 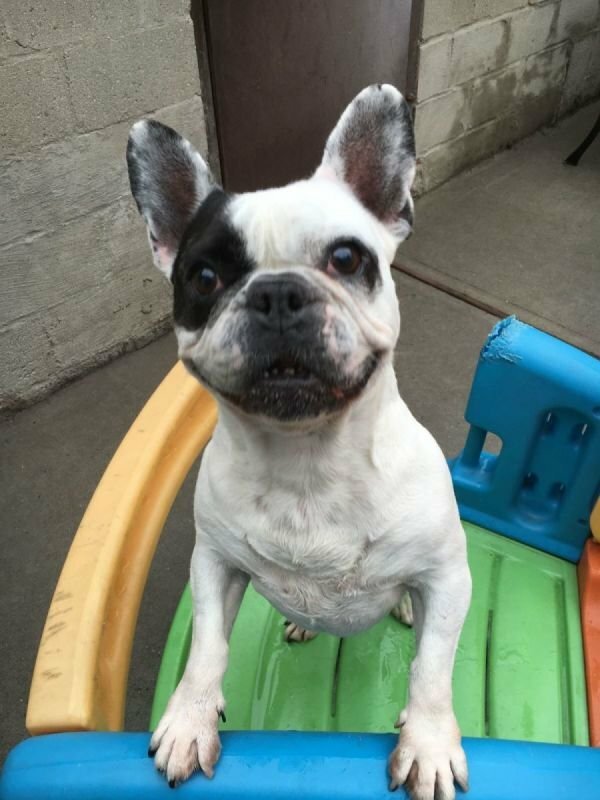 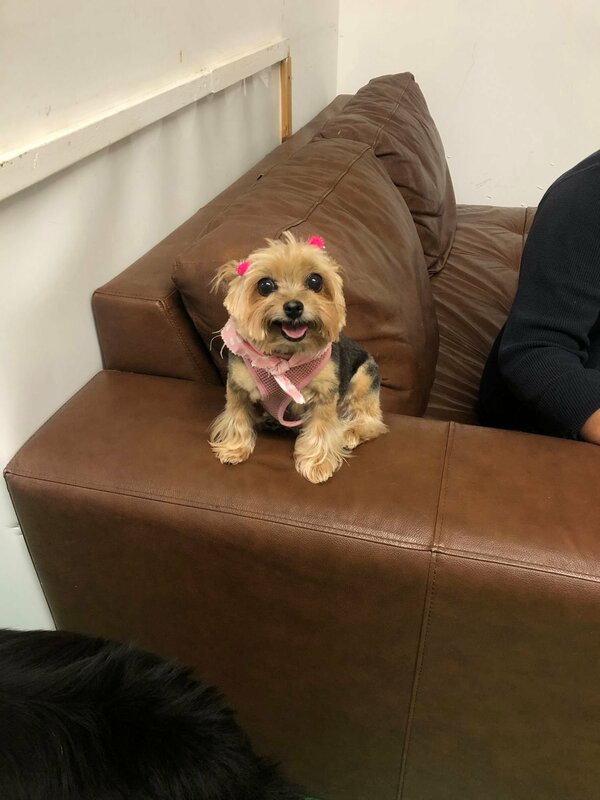 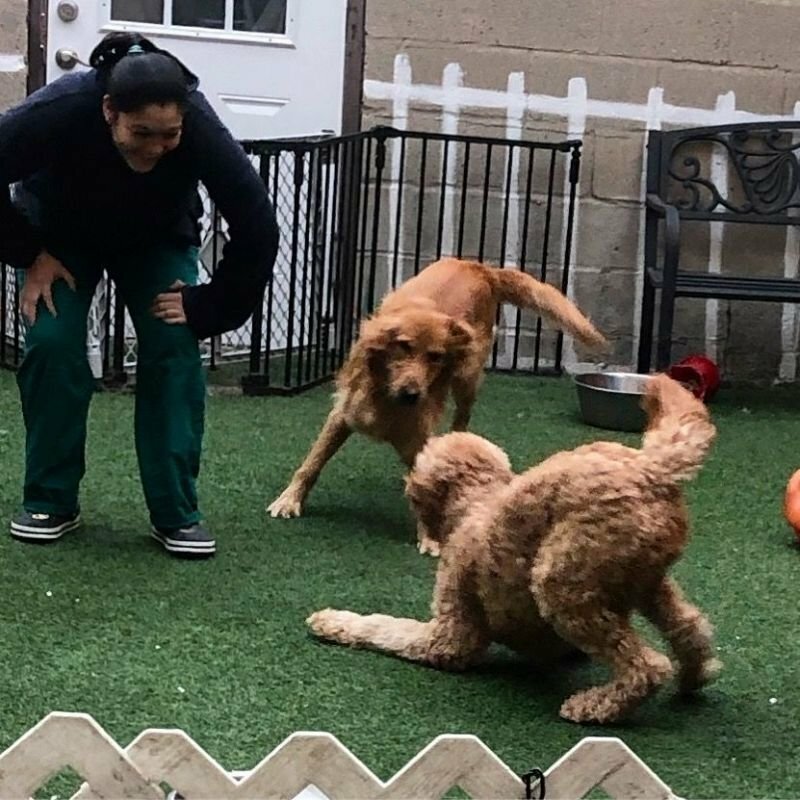 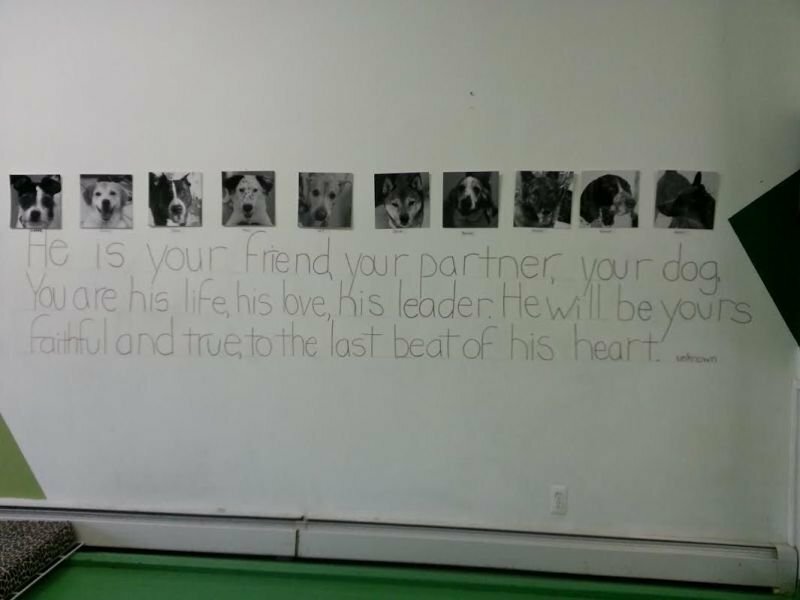 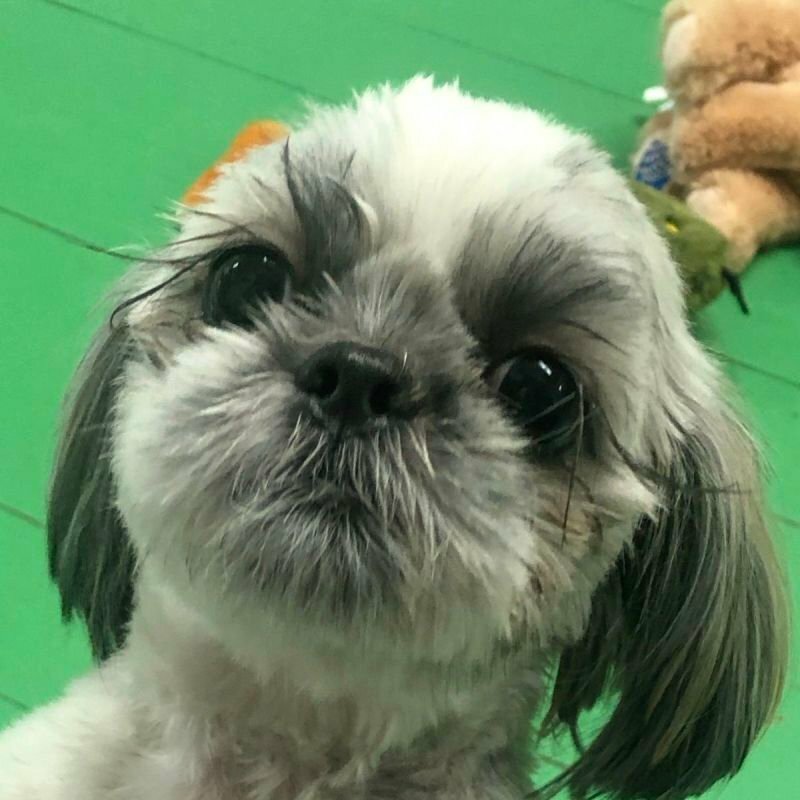 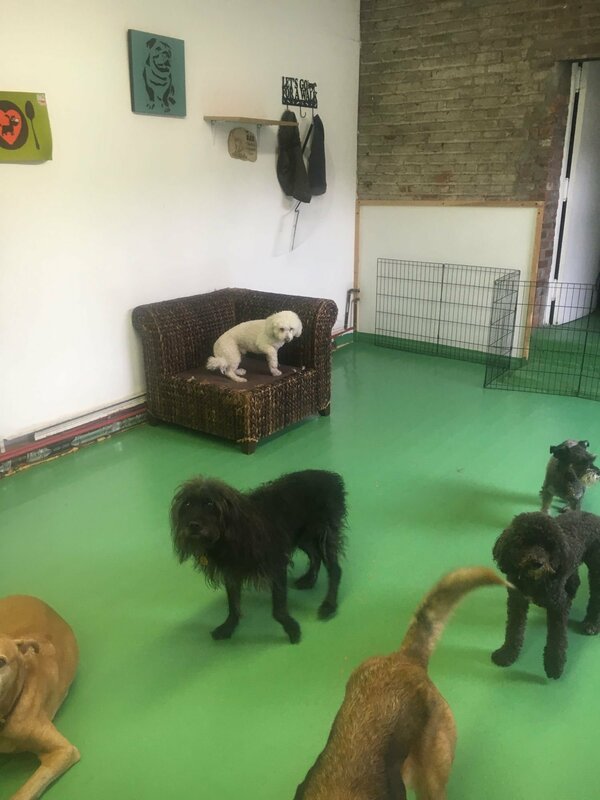 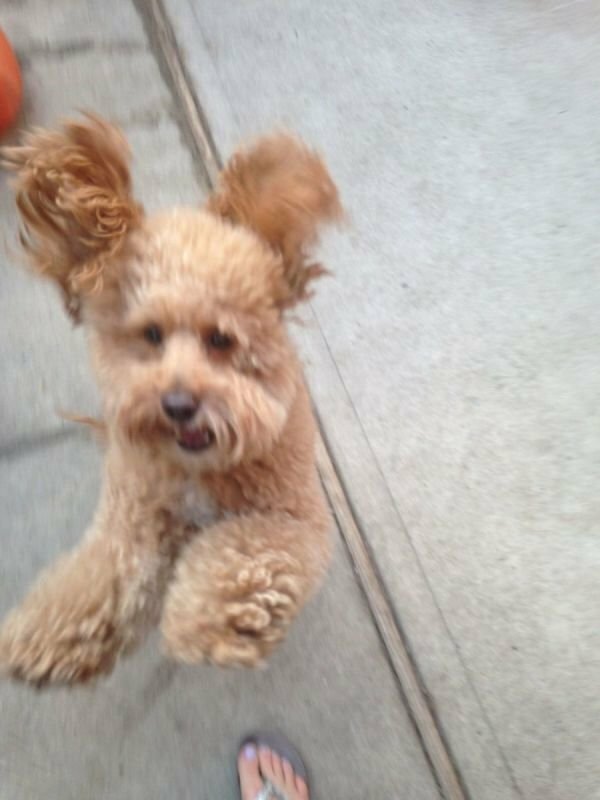 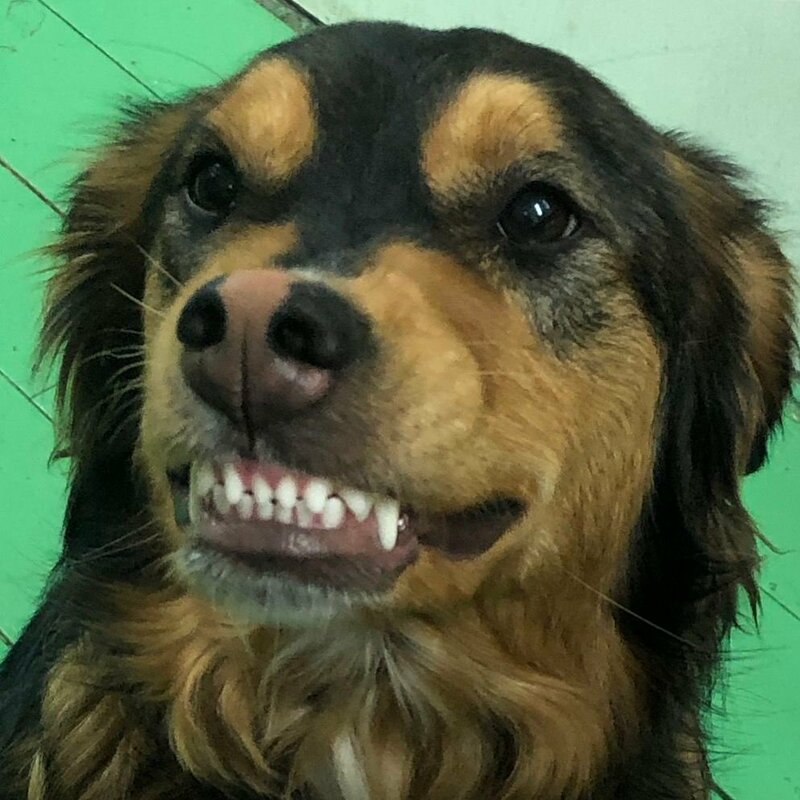 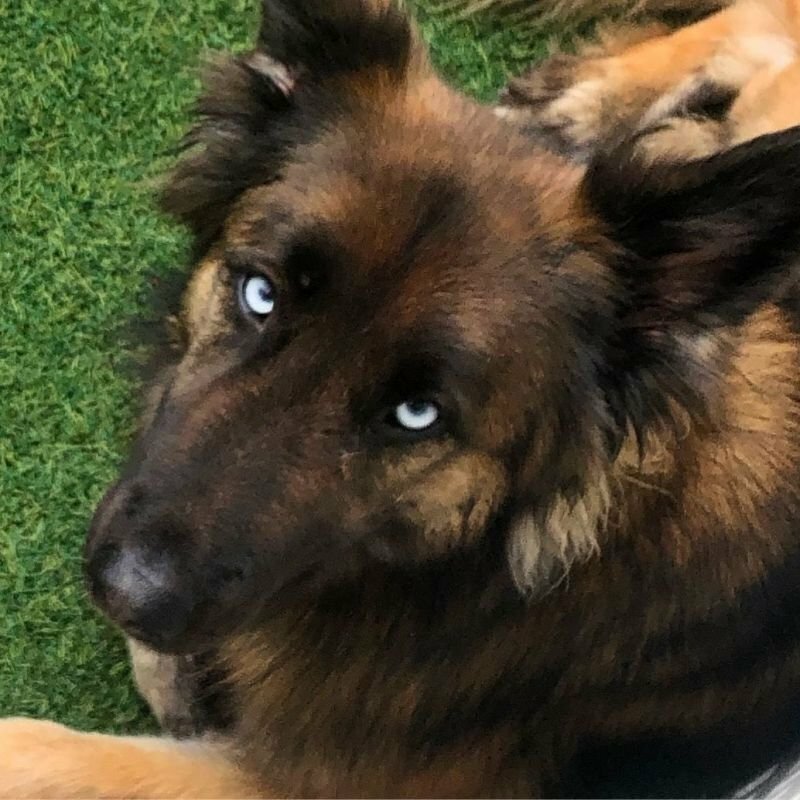 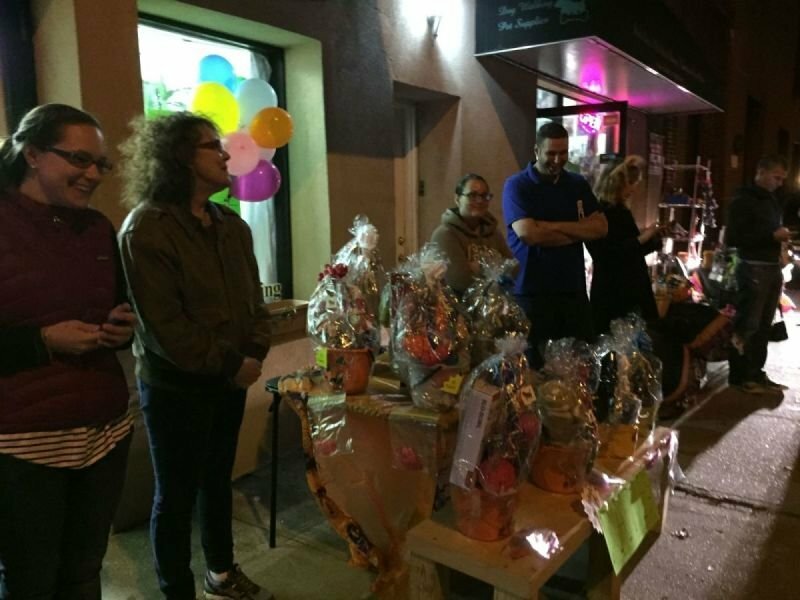 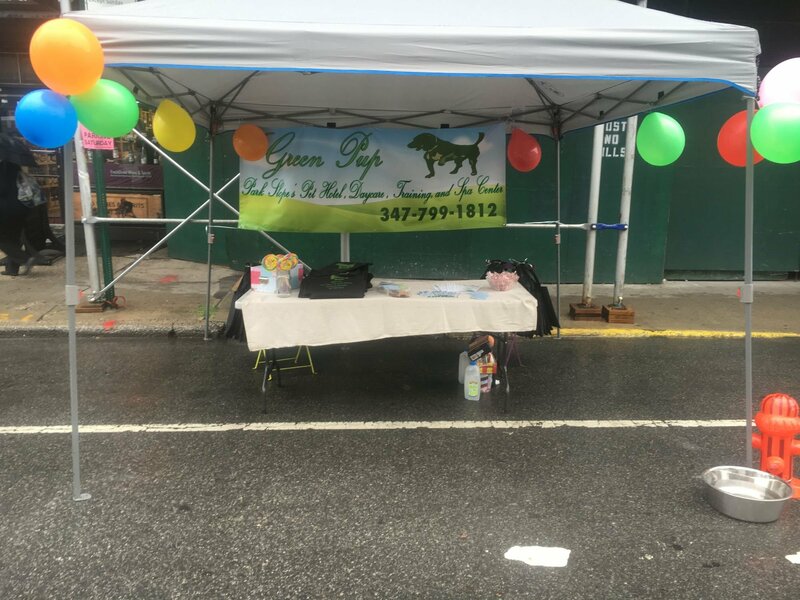 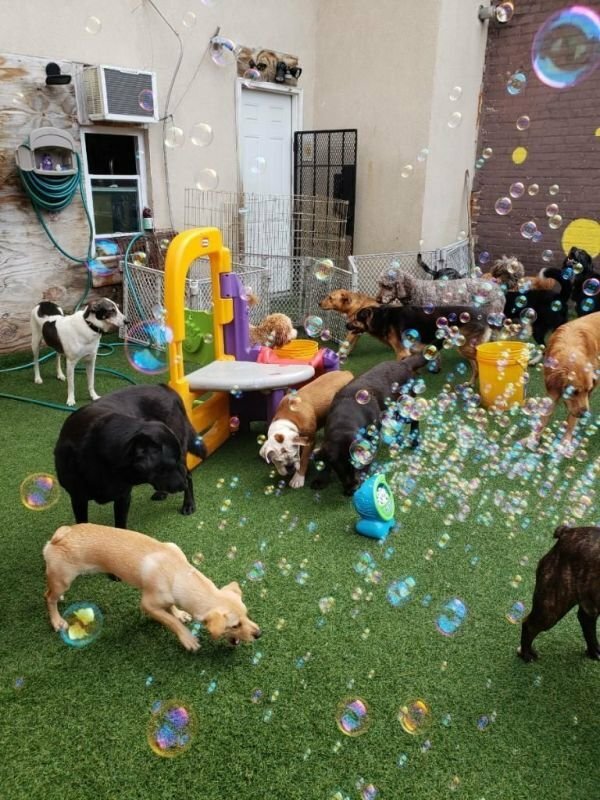 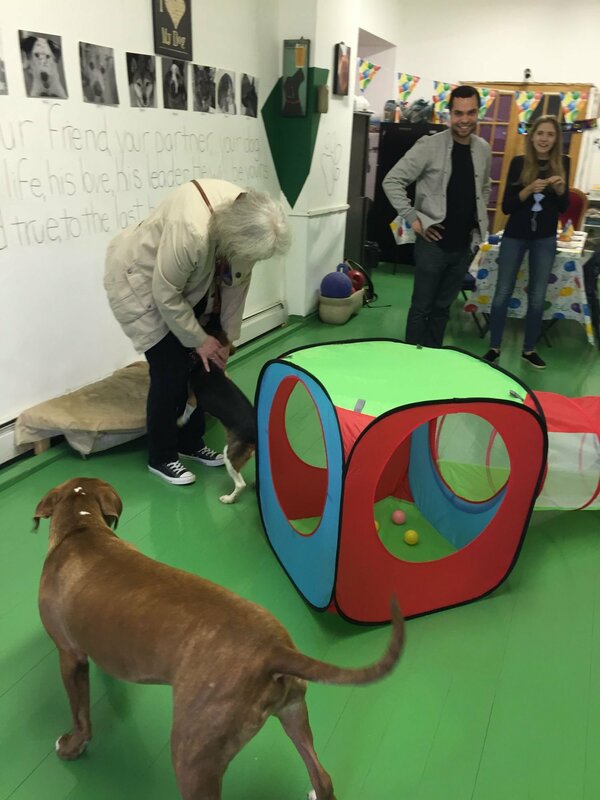 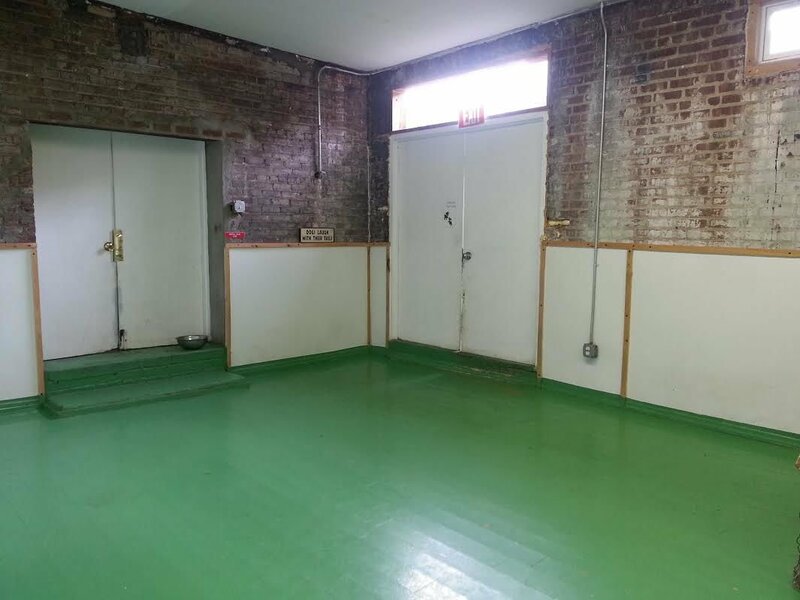 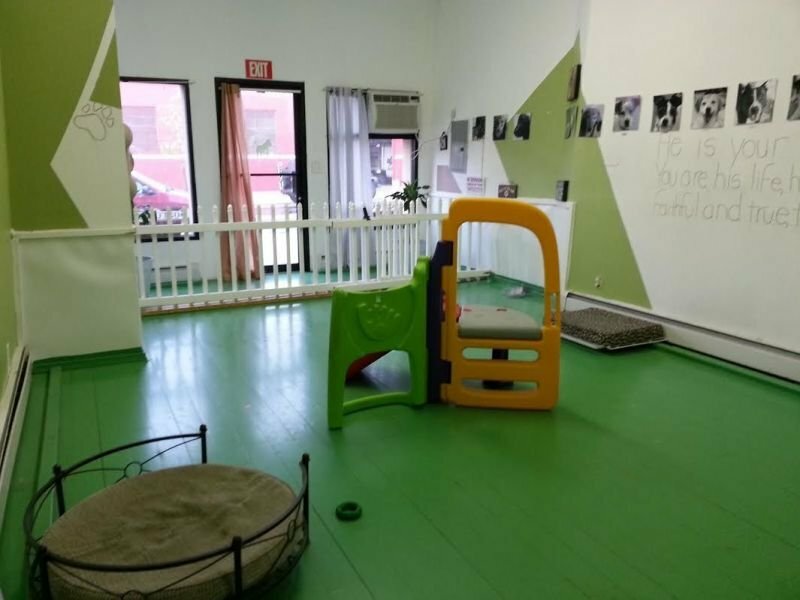 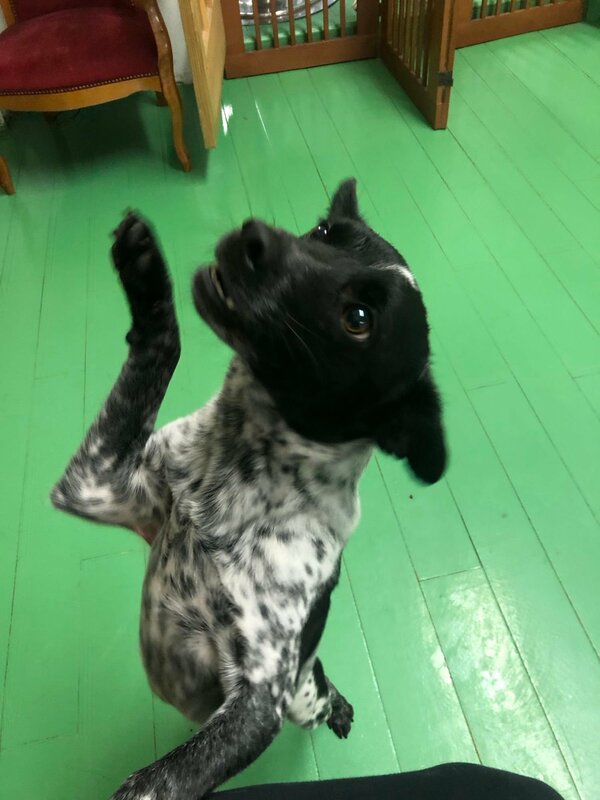 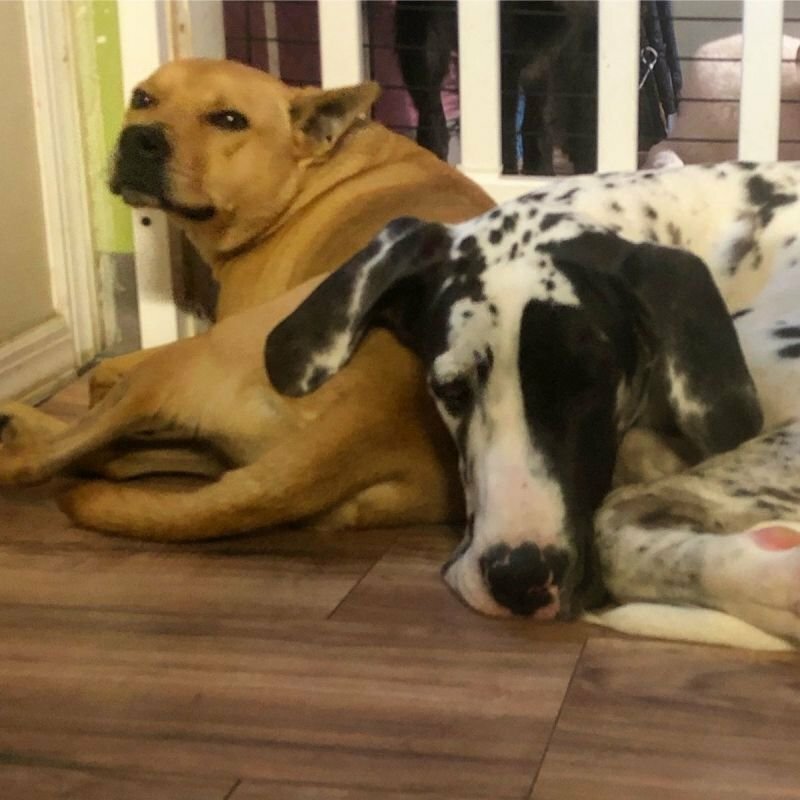 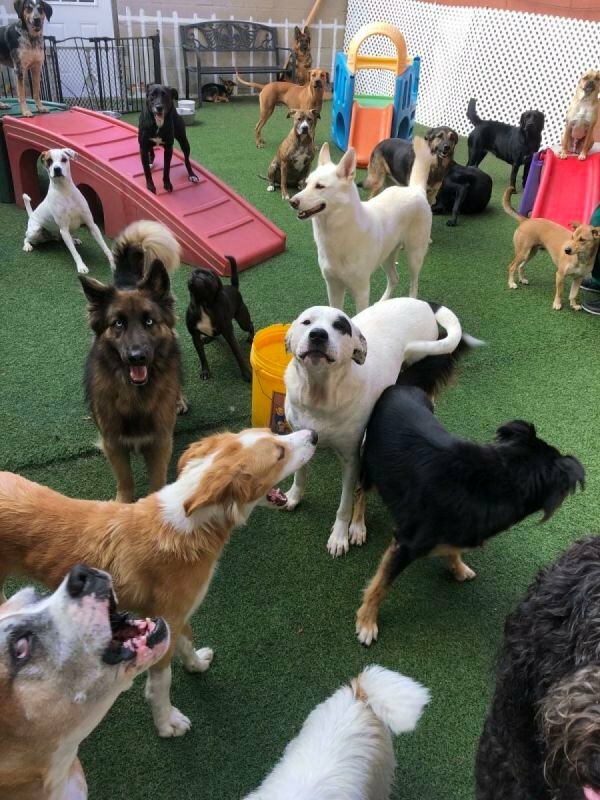 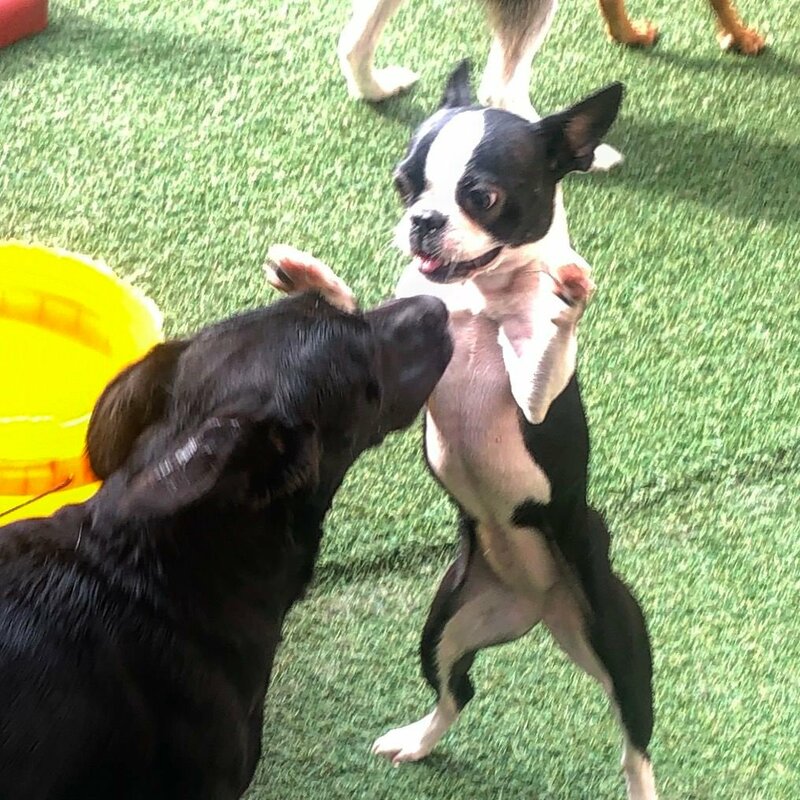 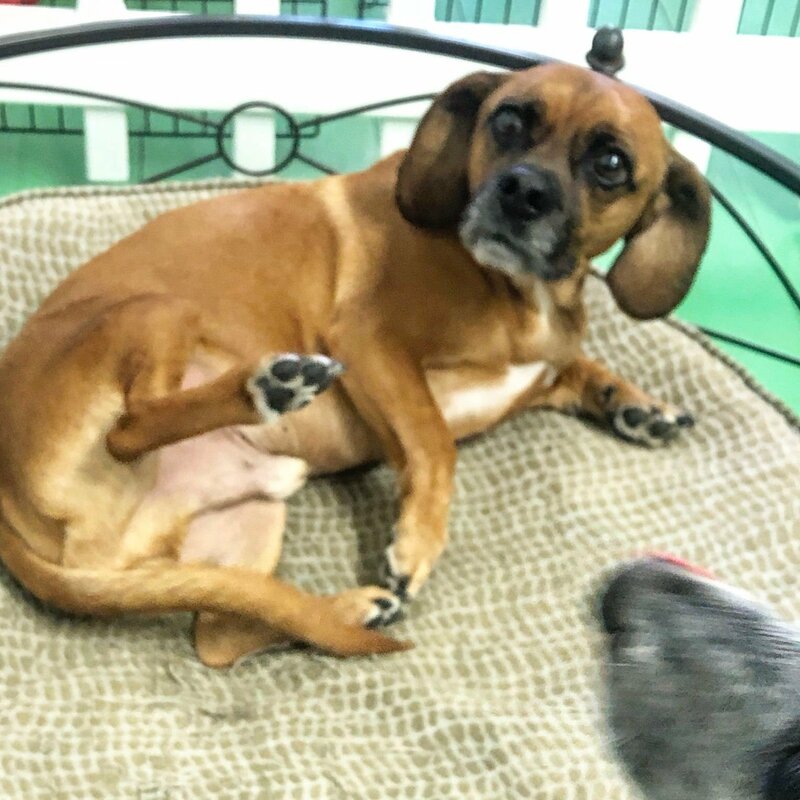 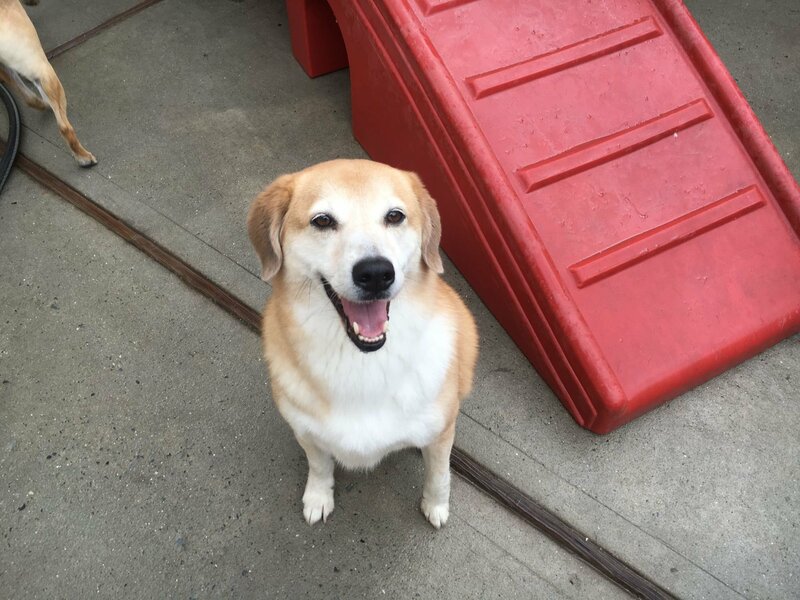 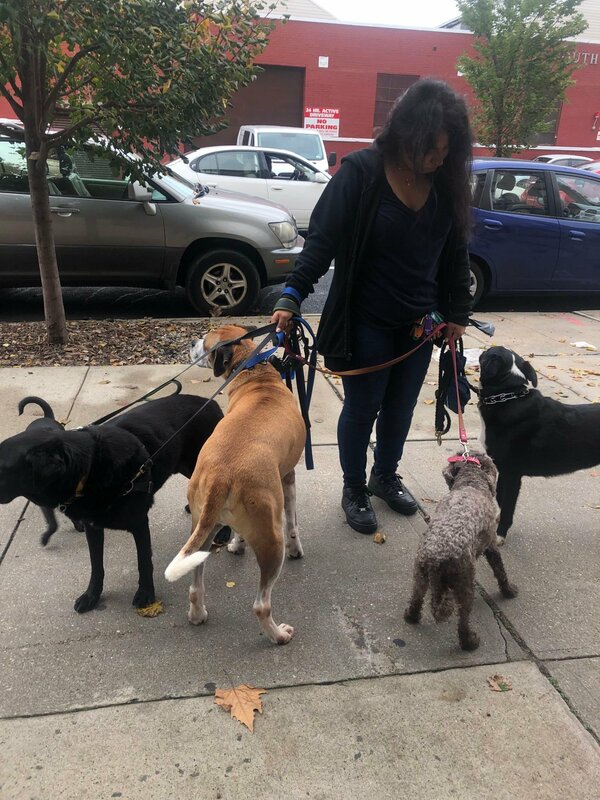 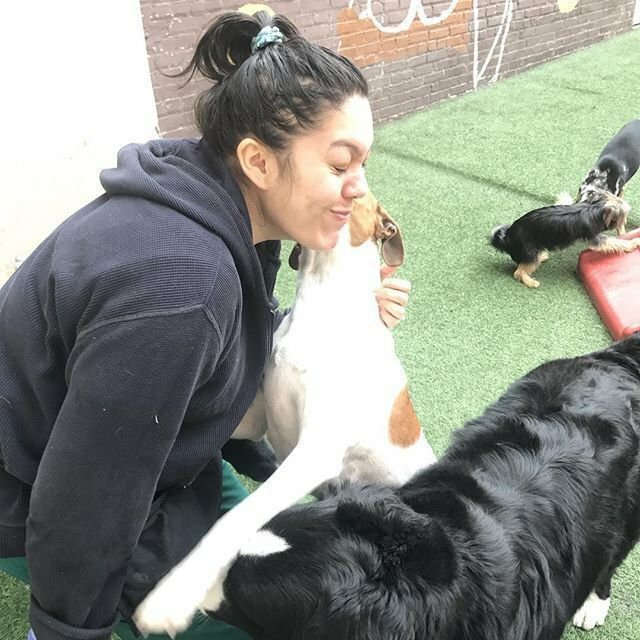 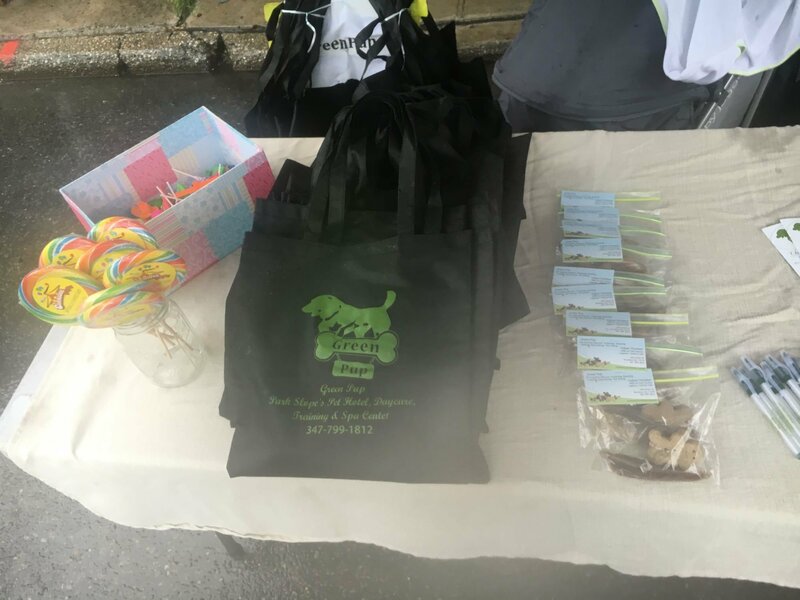 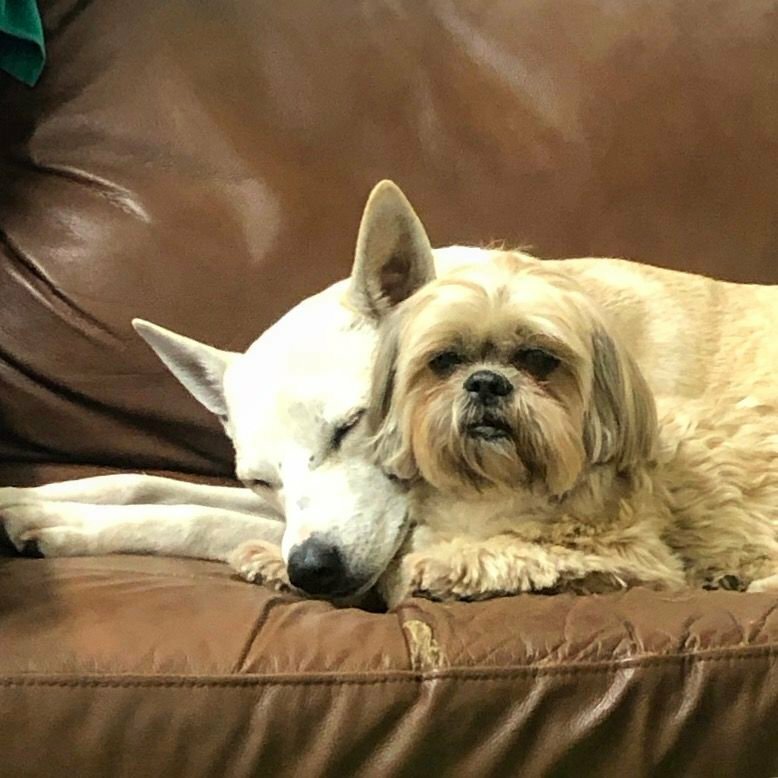 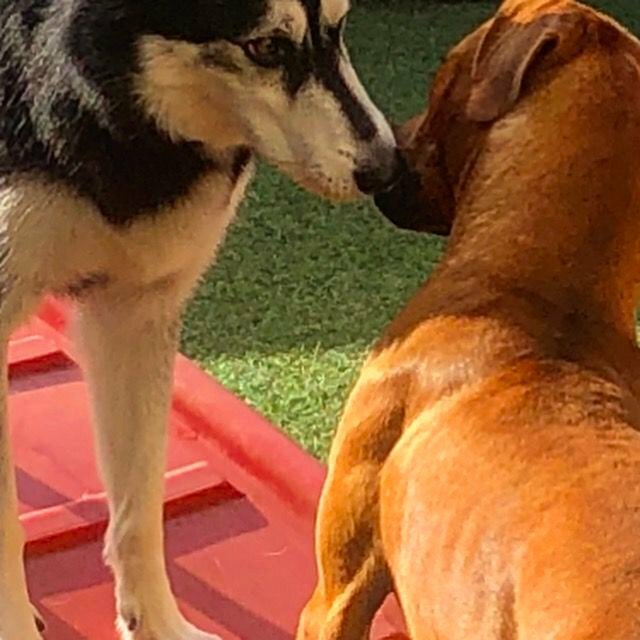 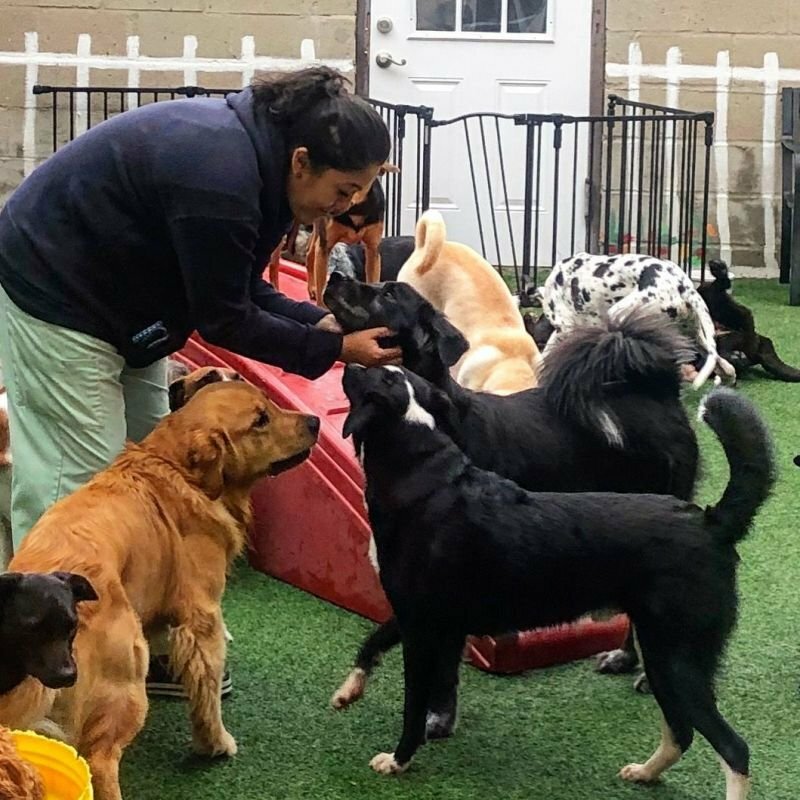 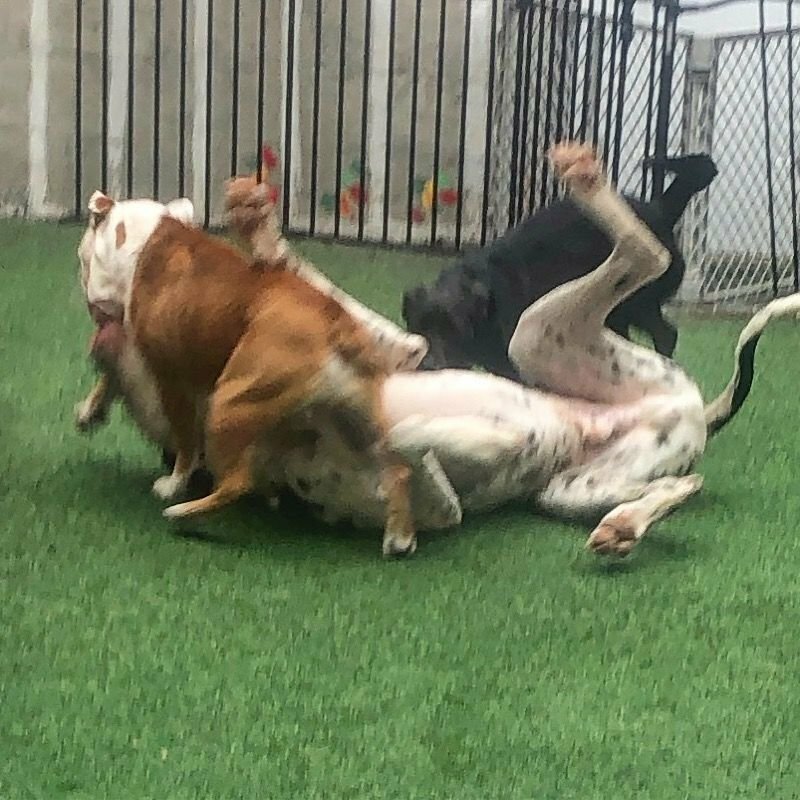 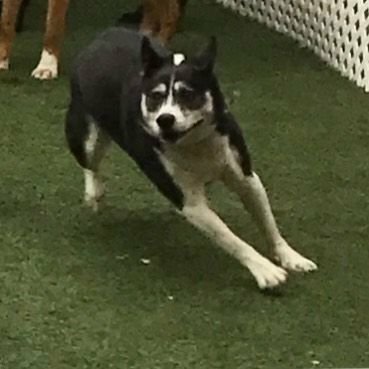 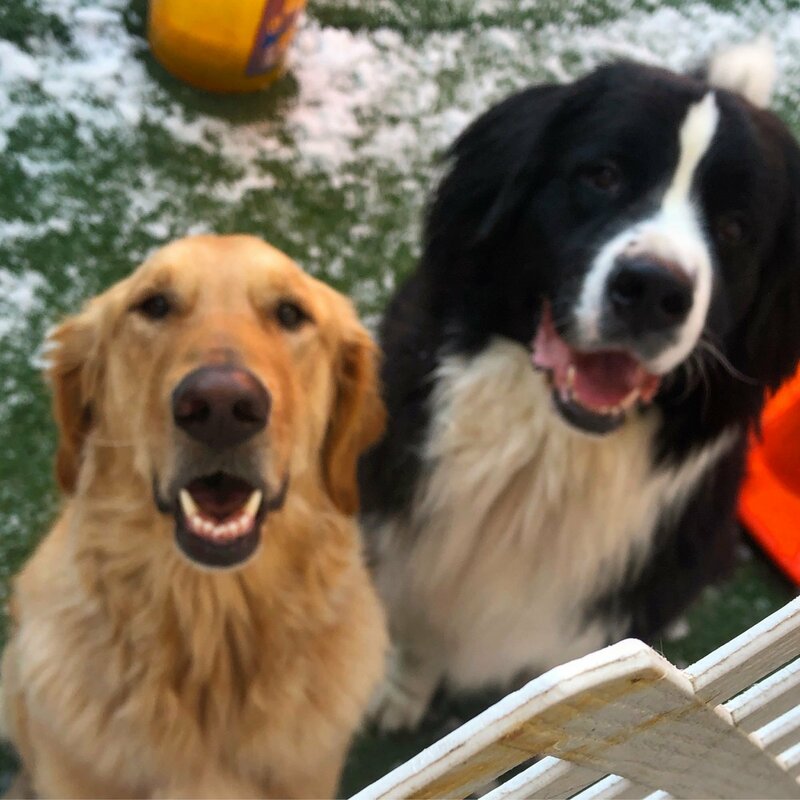 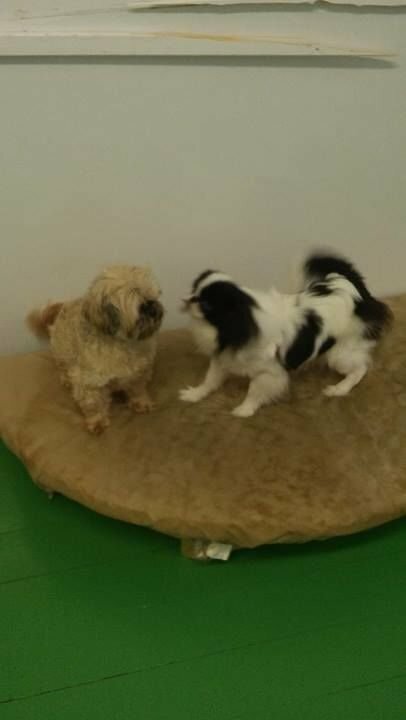 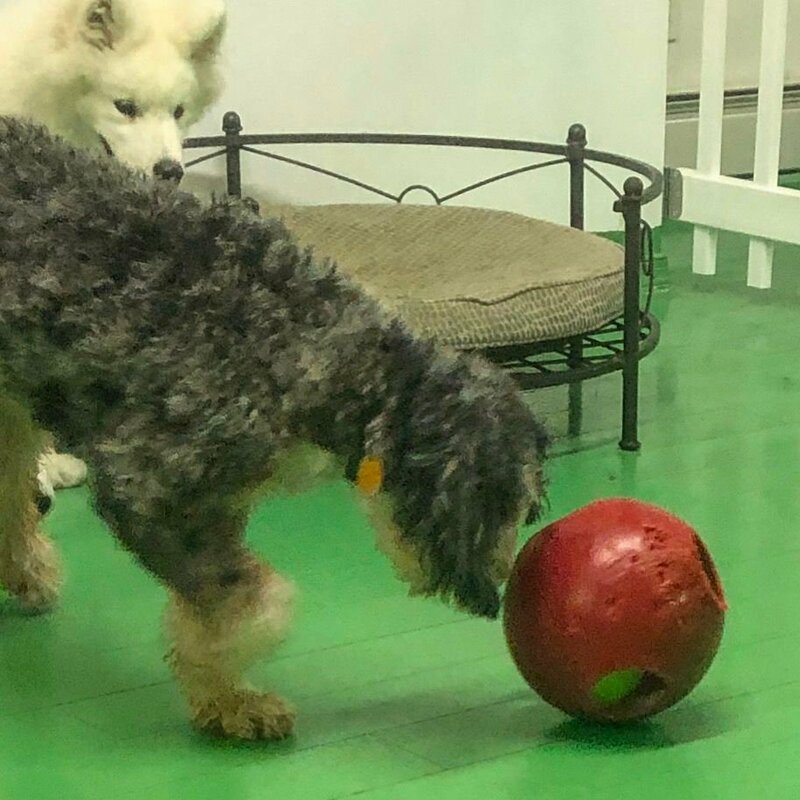 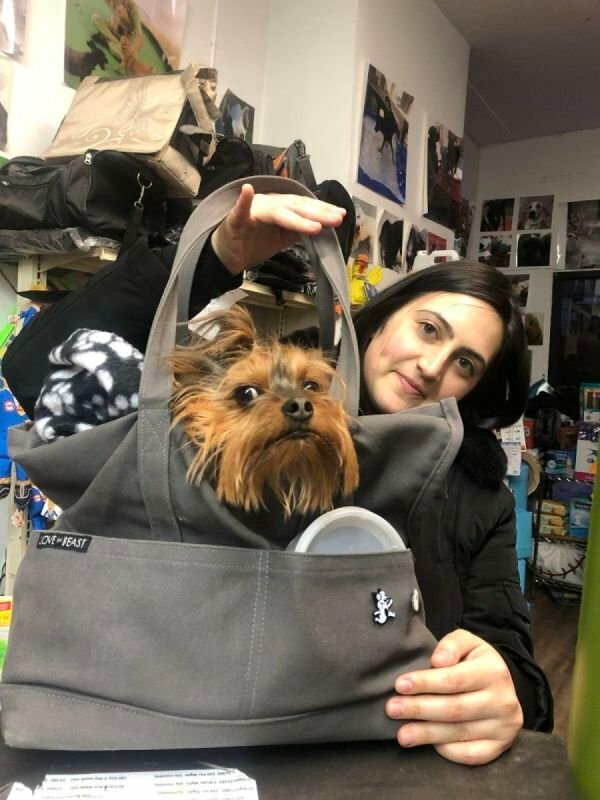 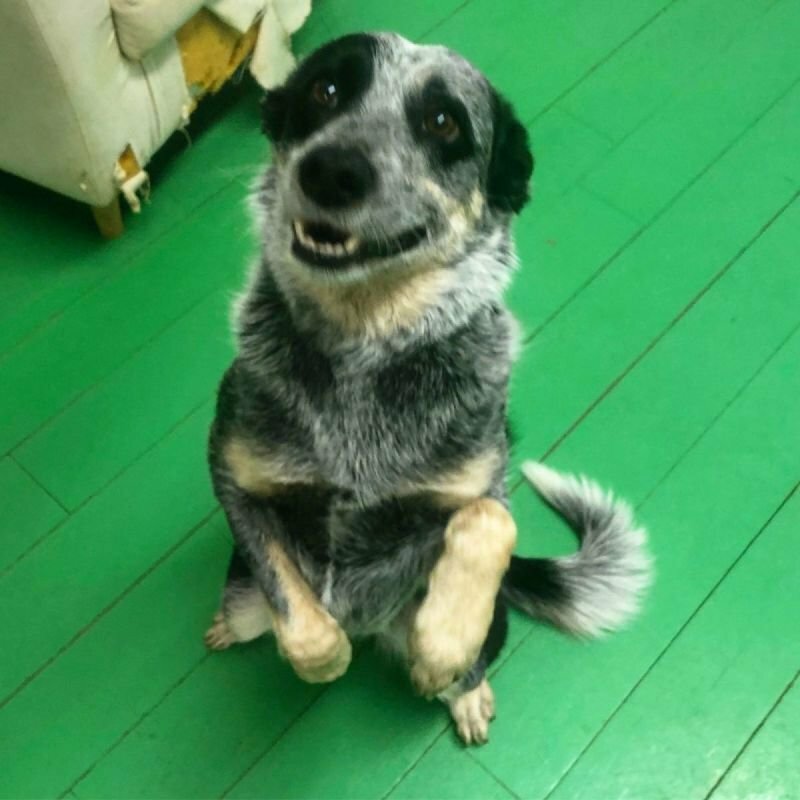 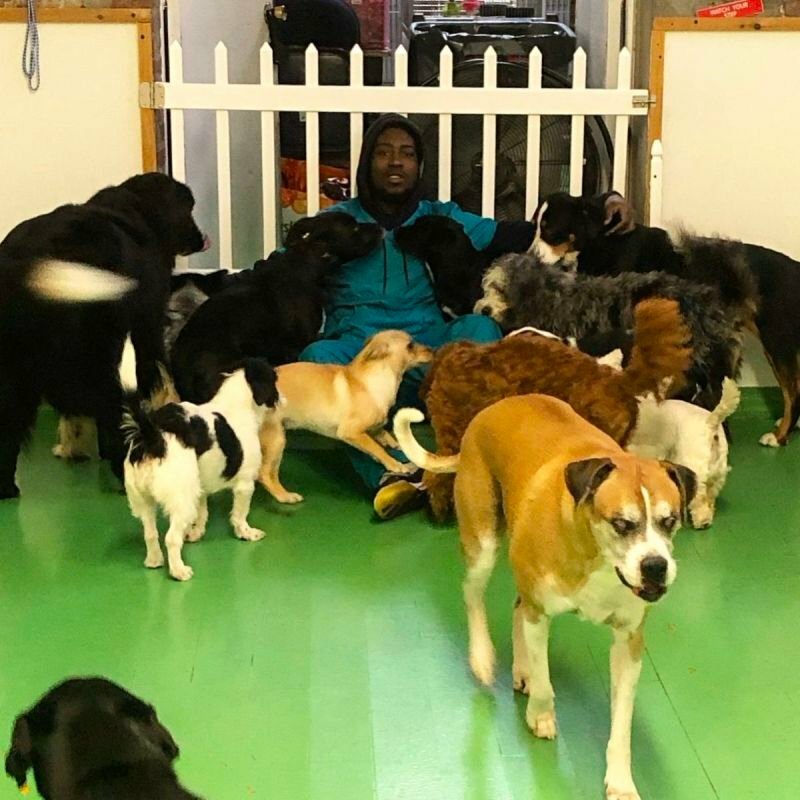 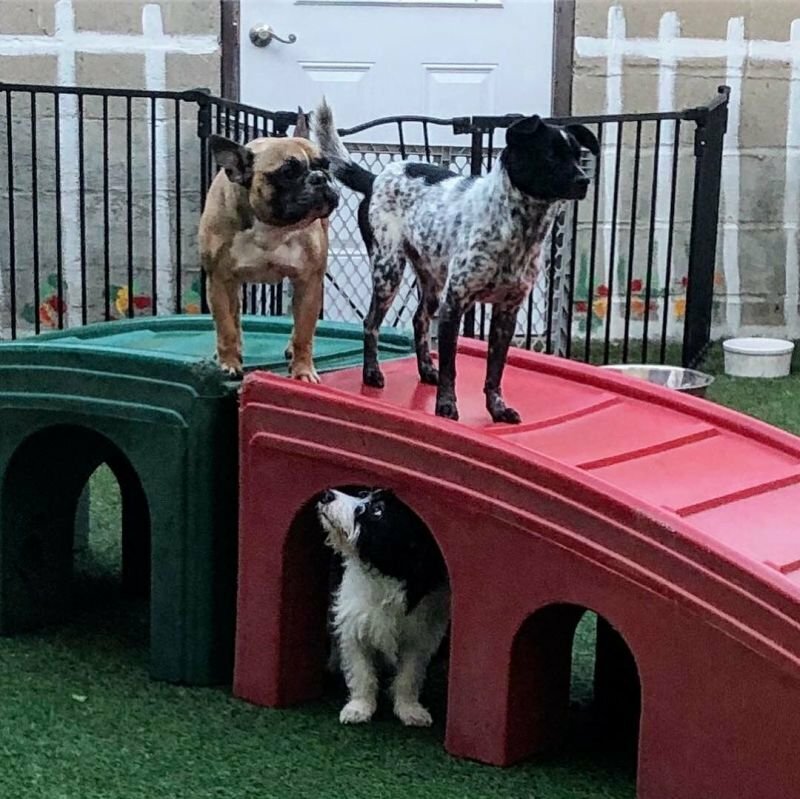 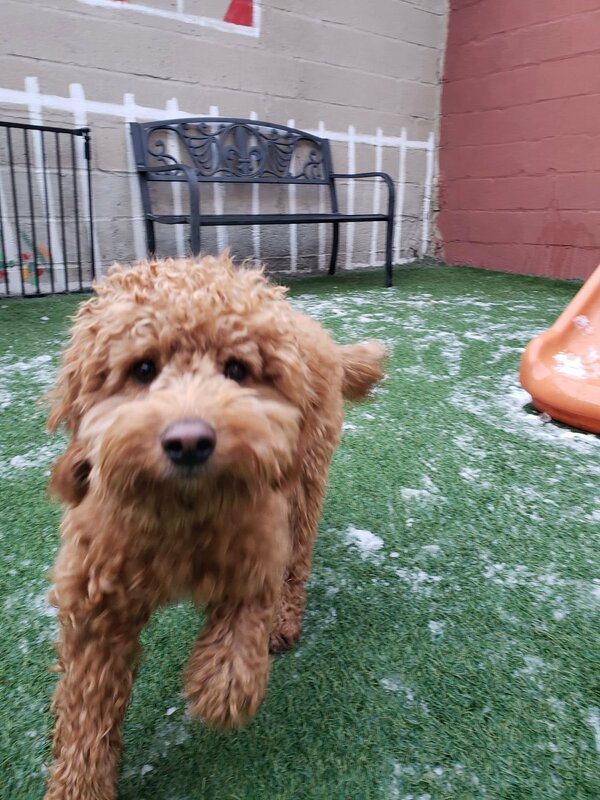 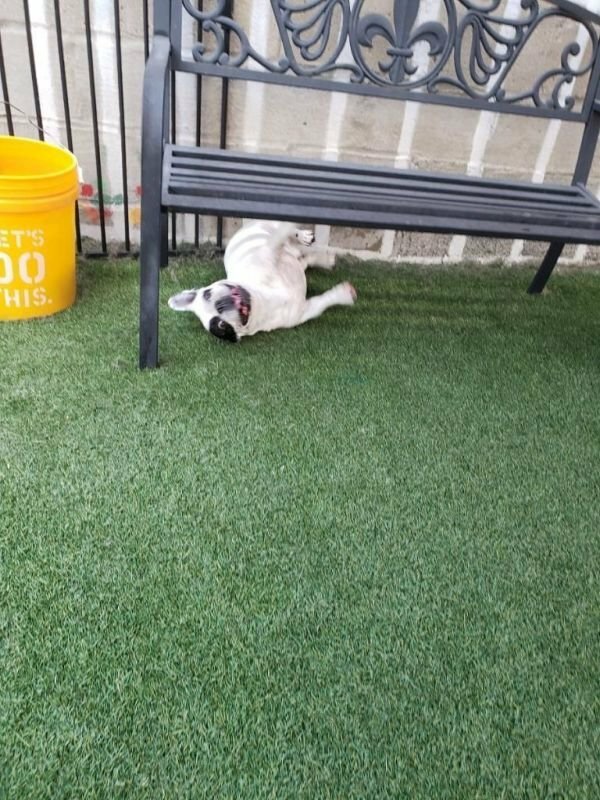 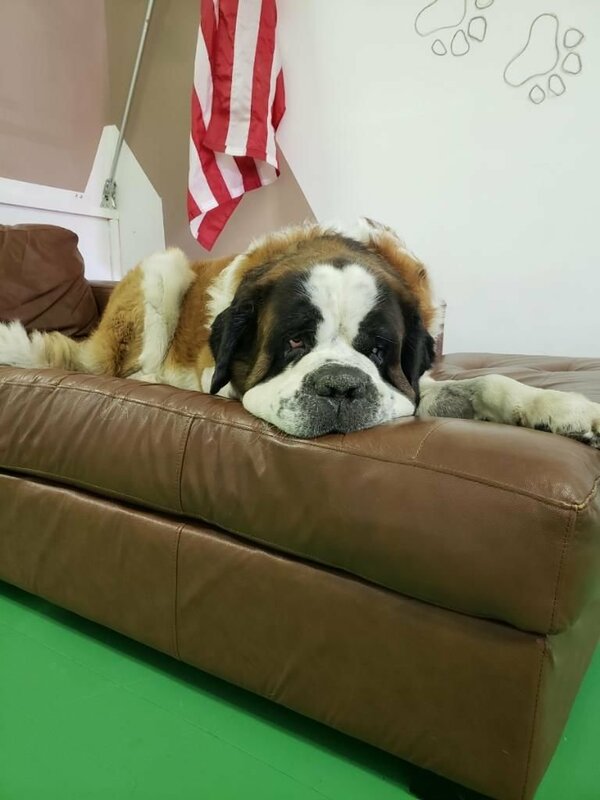 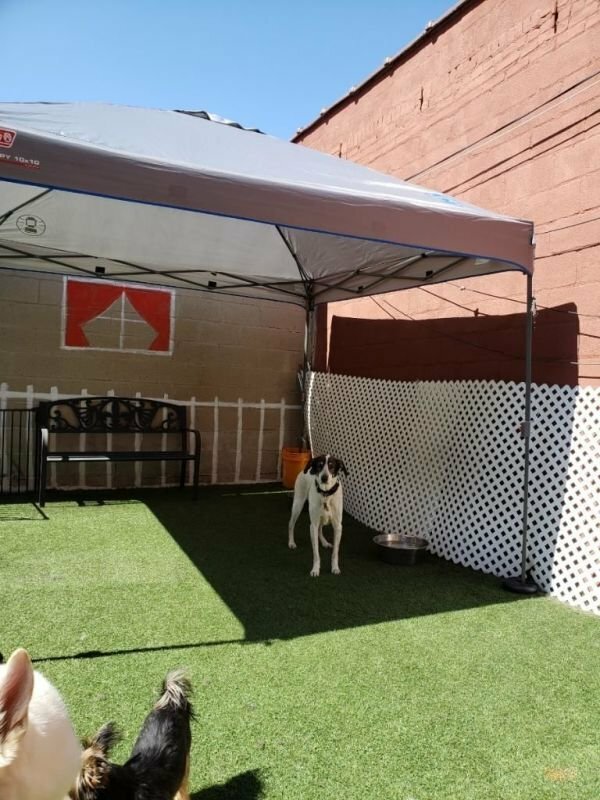 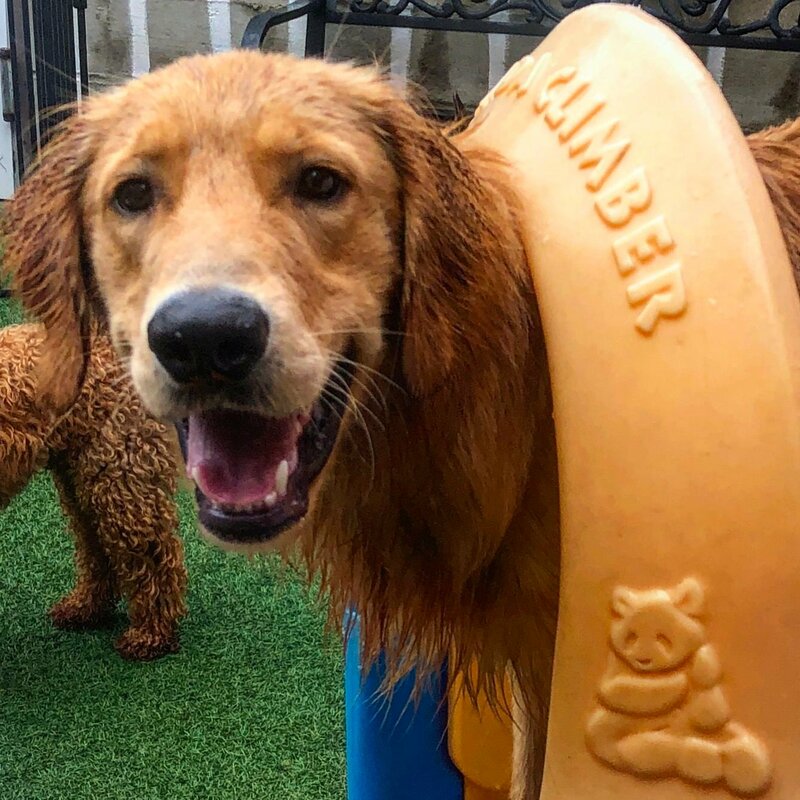 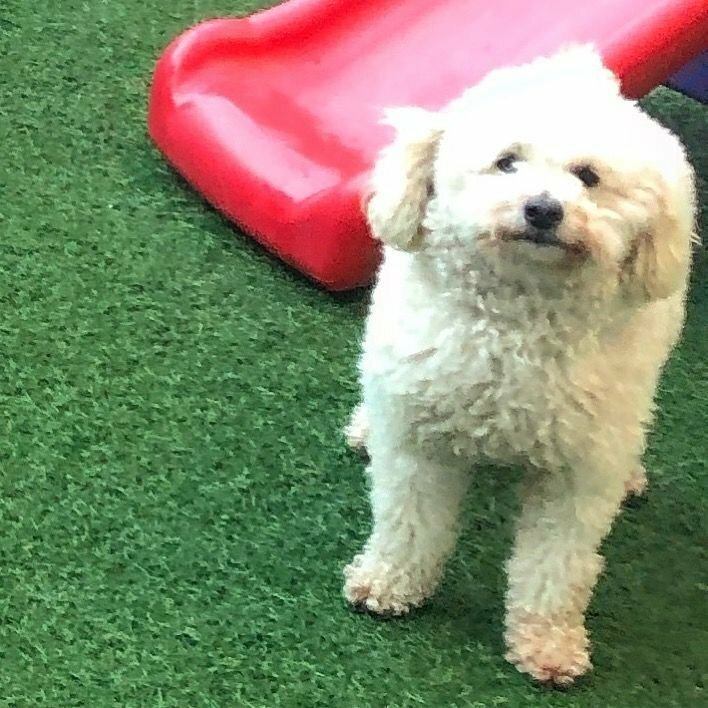 The Green Pup is a family owned and operated 4000 sq ft pet hotel home away from home all in one stop shop located in the heart of Park Slope, Brooklyn. At the Green Pup your pet can experience any one the many services that we offer. 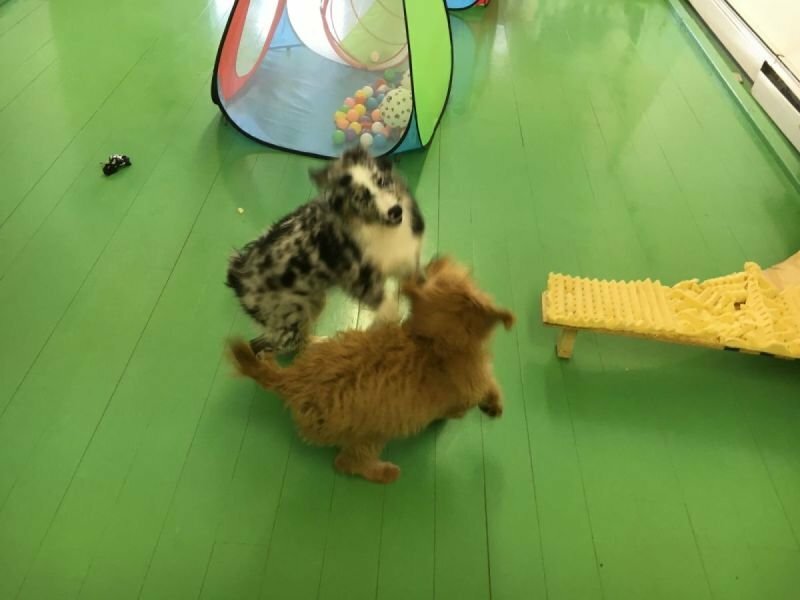 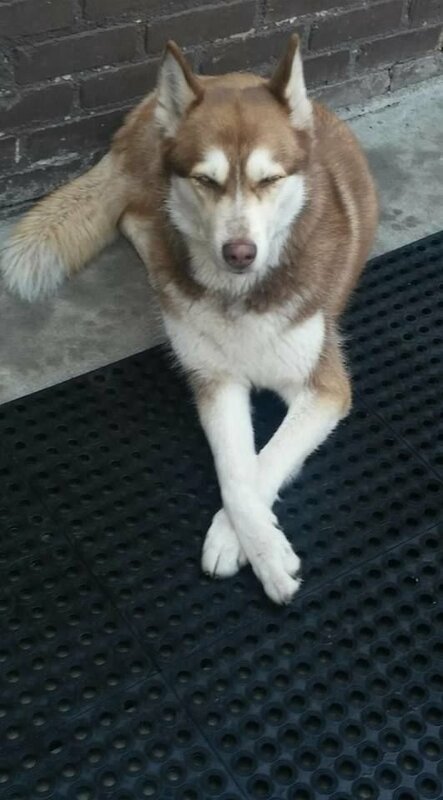 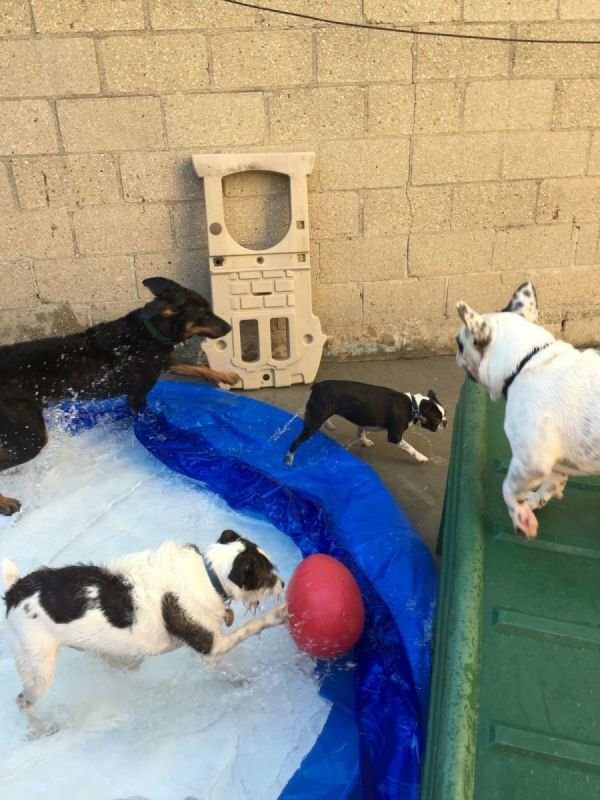 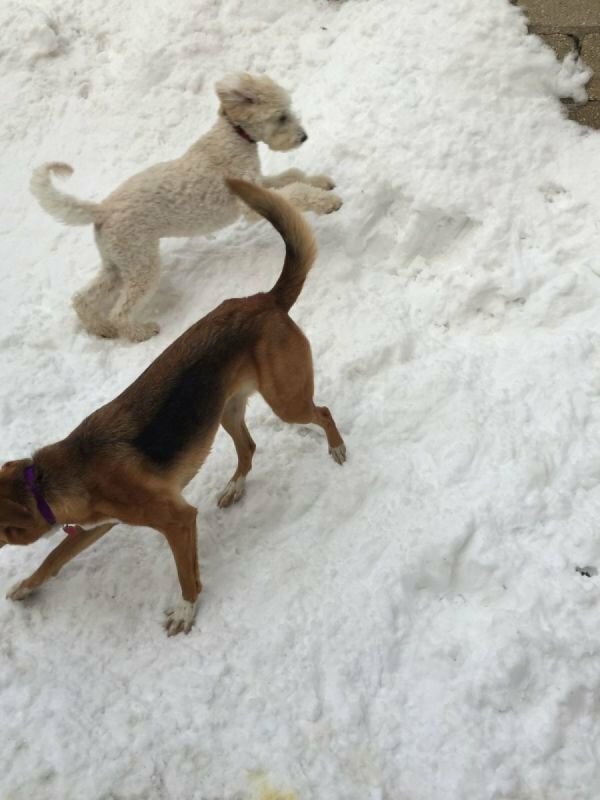 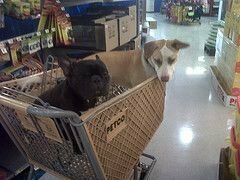 We offer a host of activities to ensure a healthy, happy, and enriched experience for dogs of all kinds. 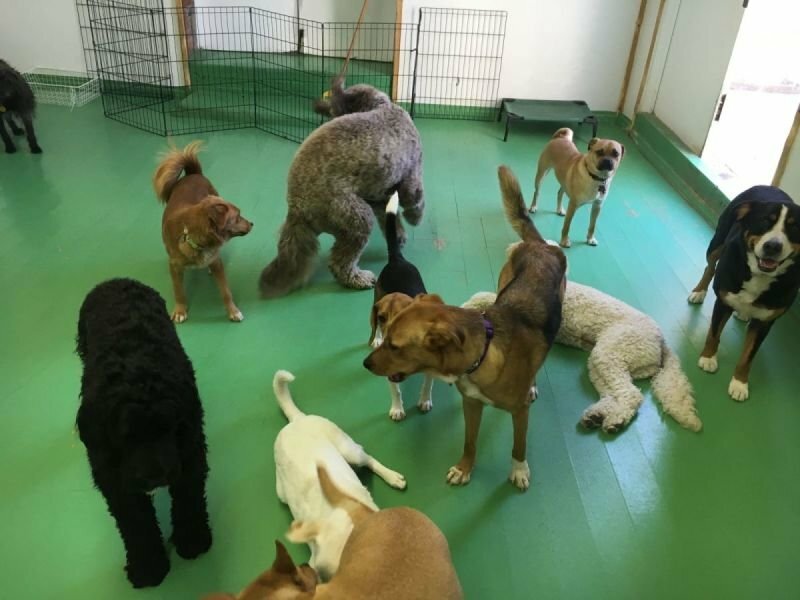 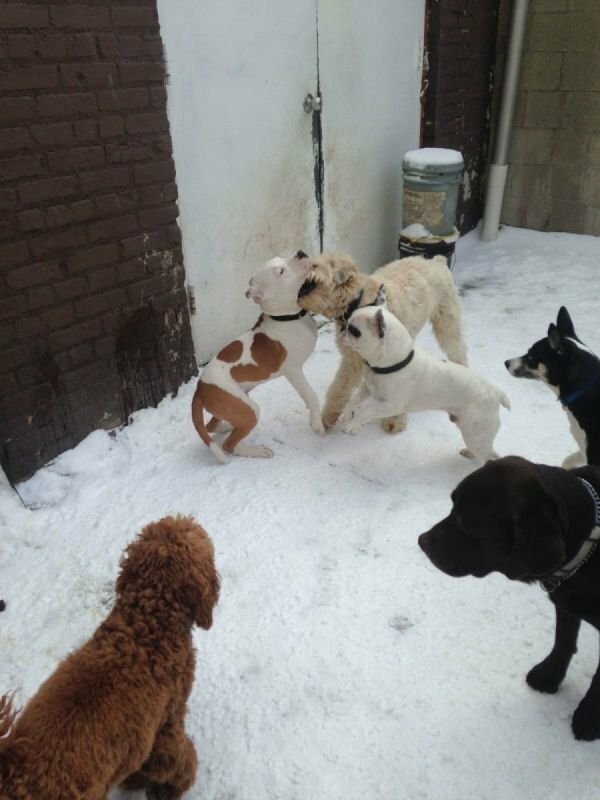 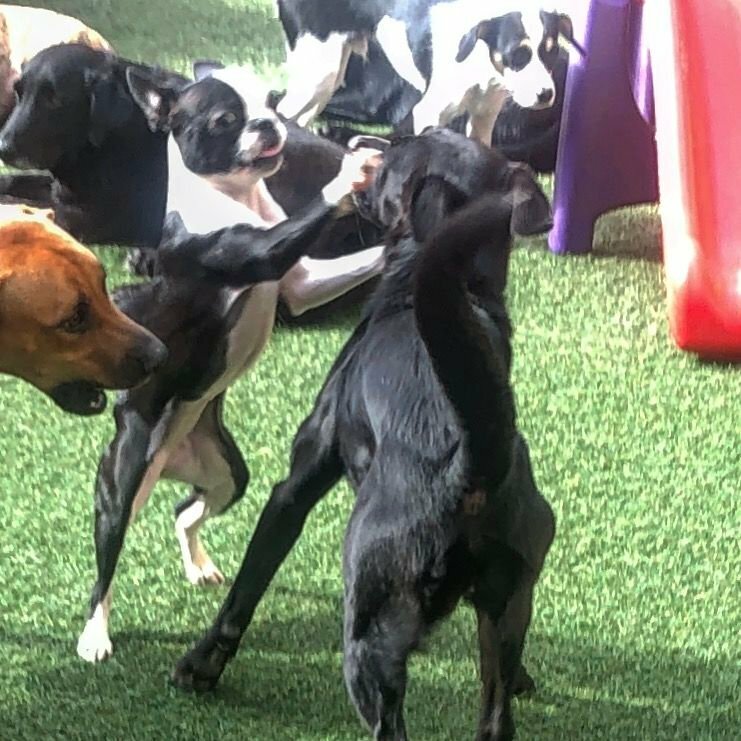 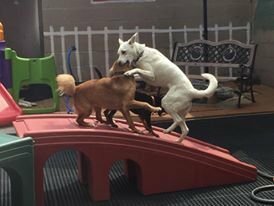 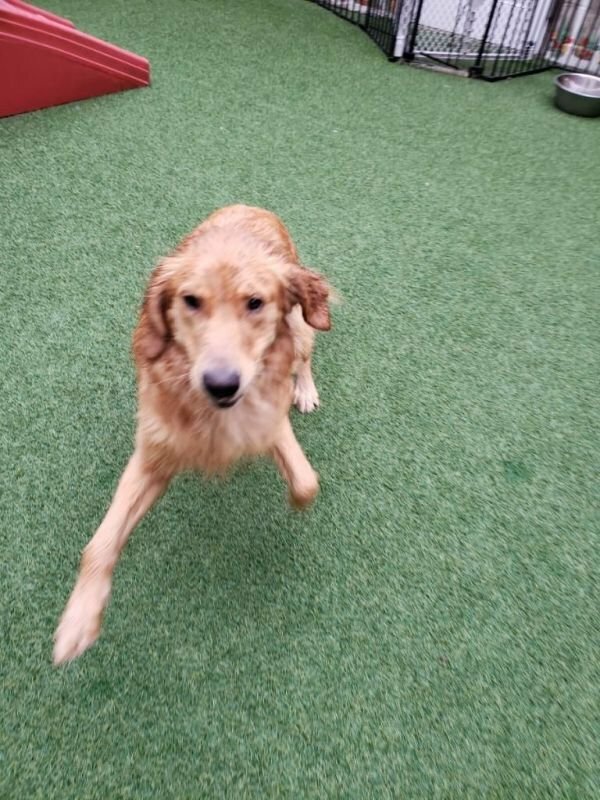 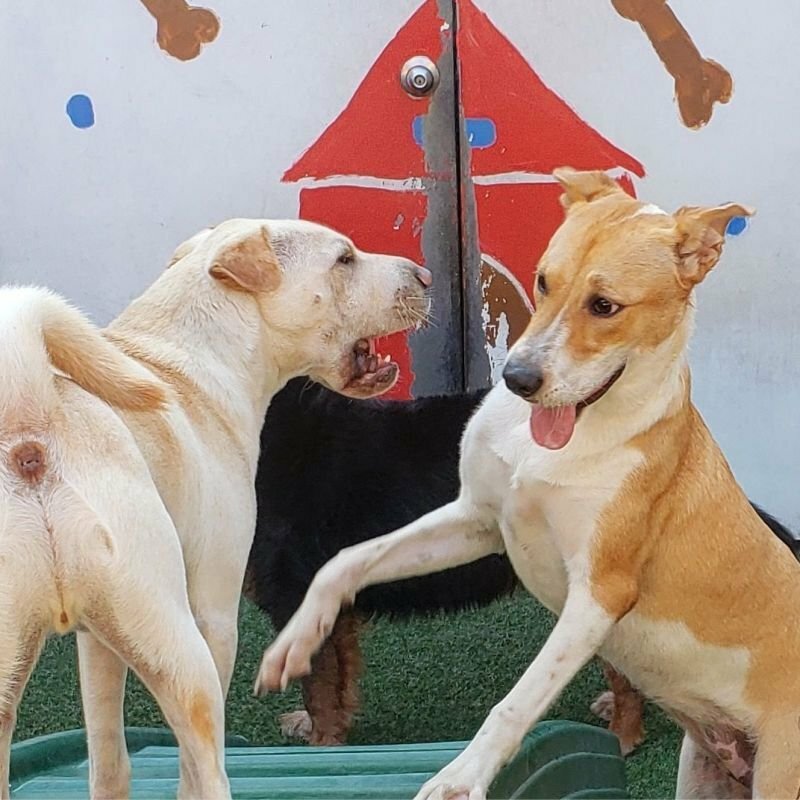 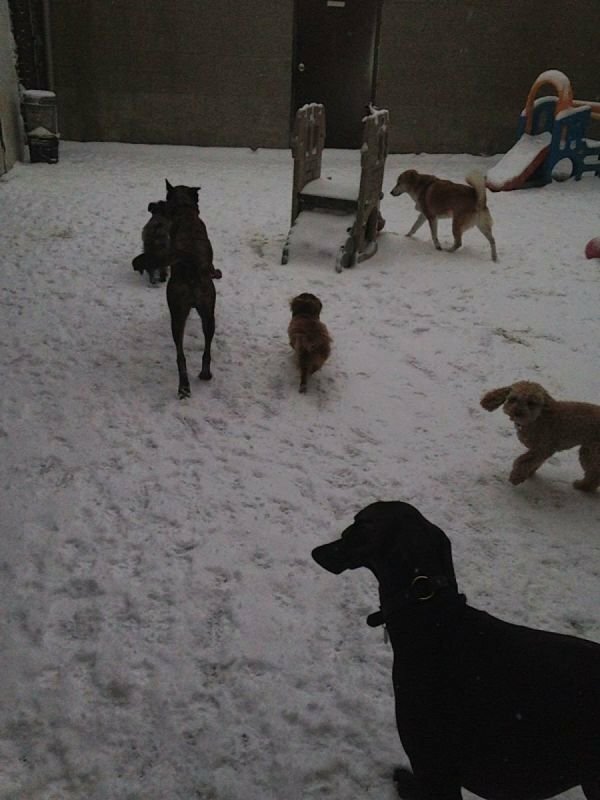 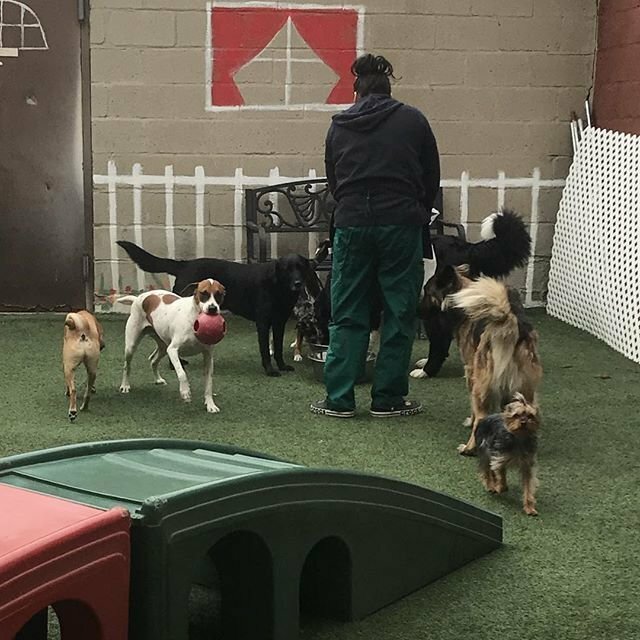 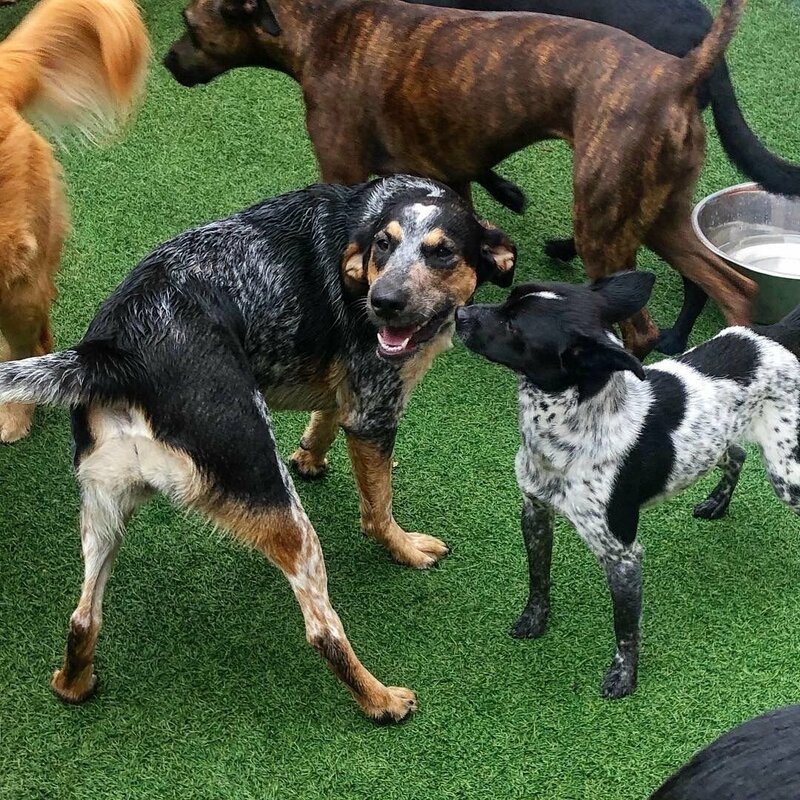 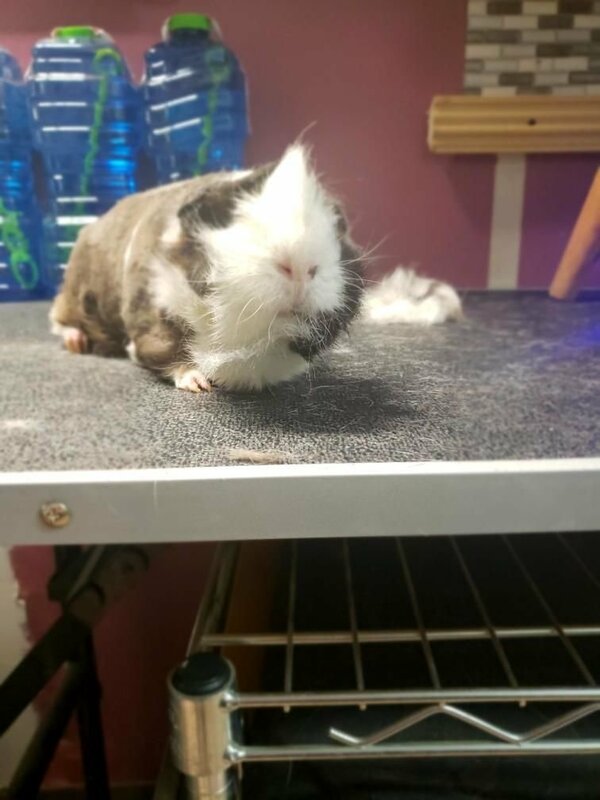 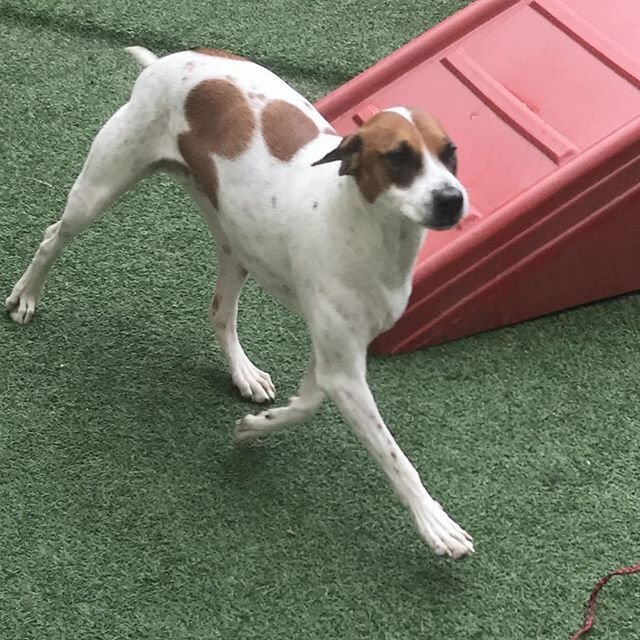 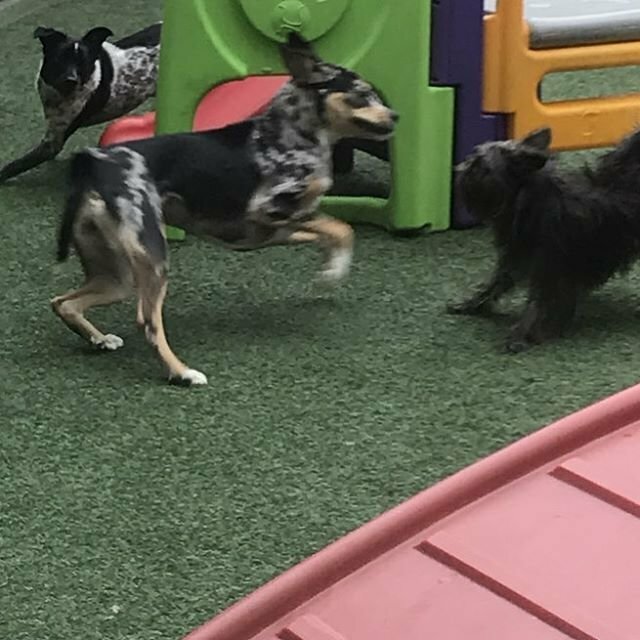 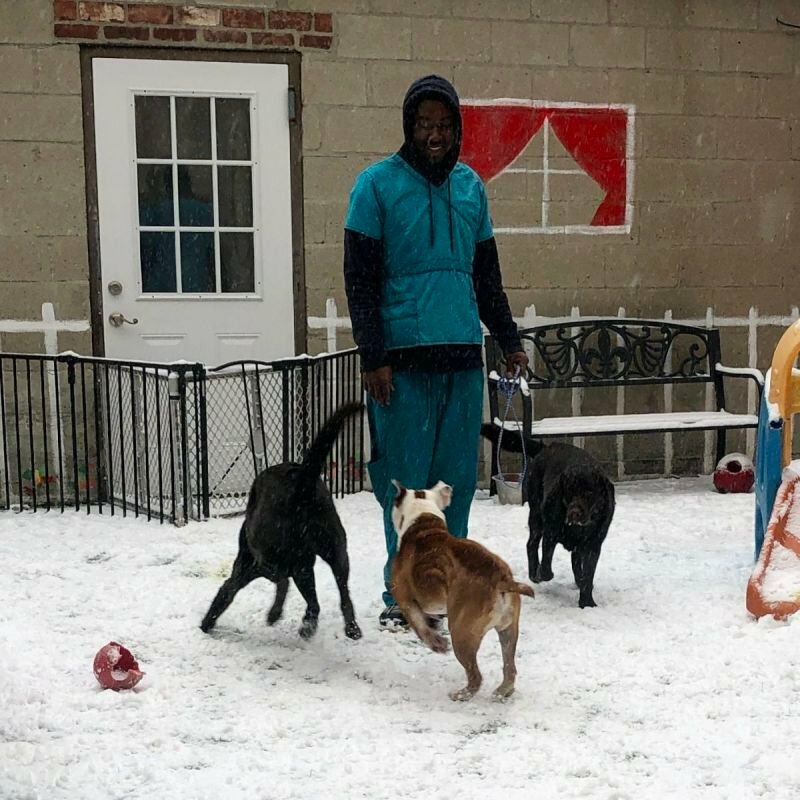 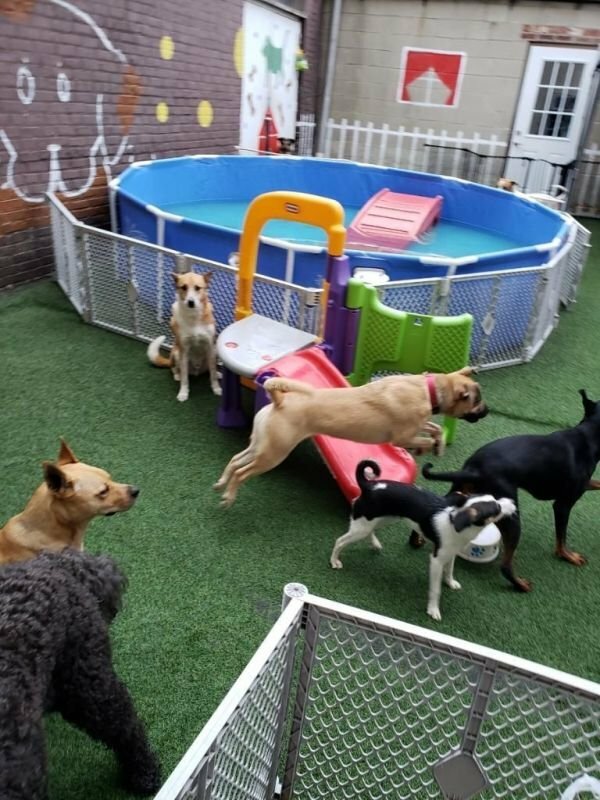 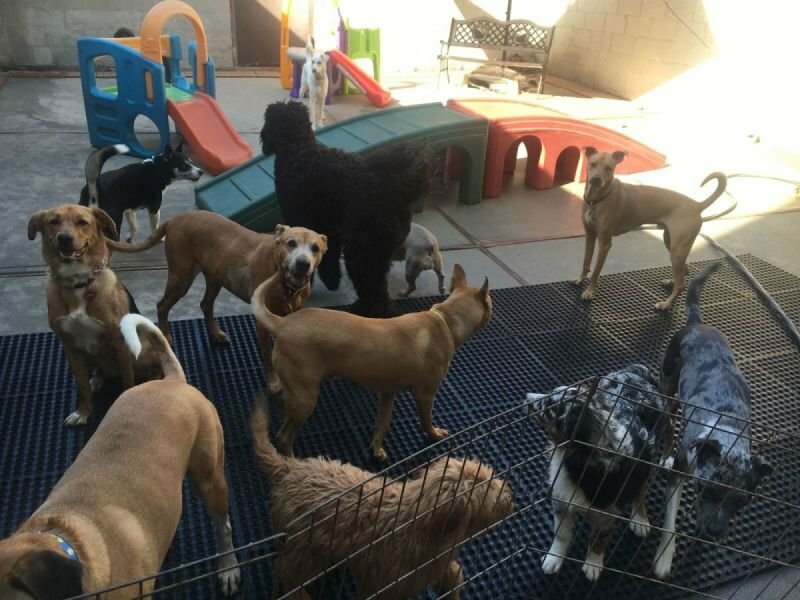 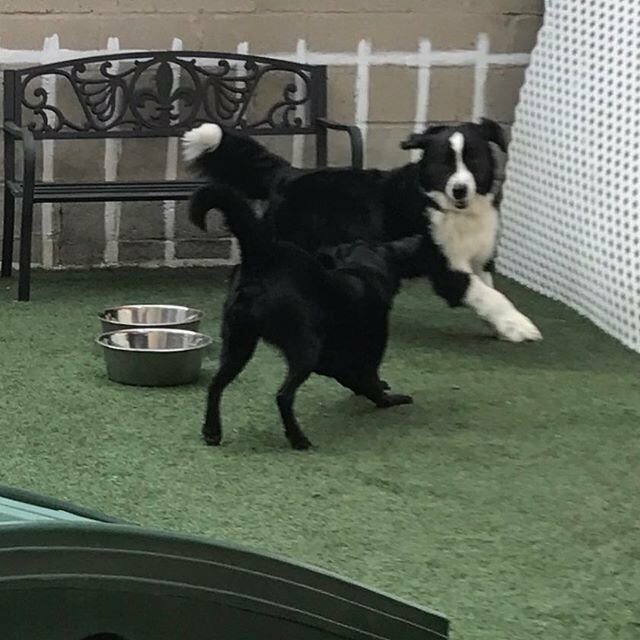 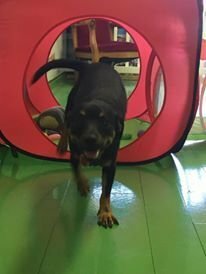 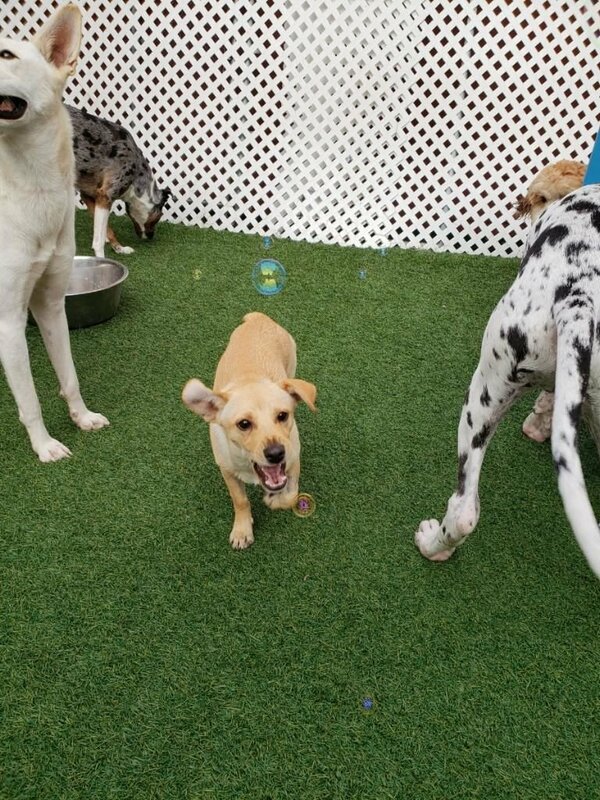 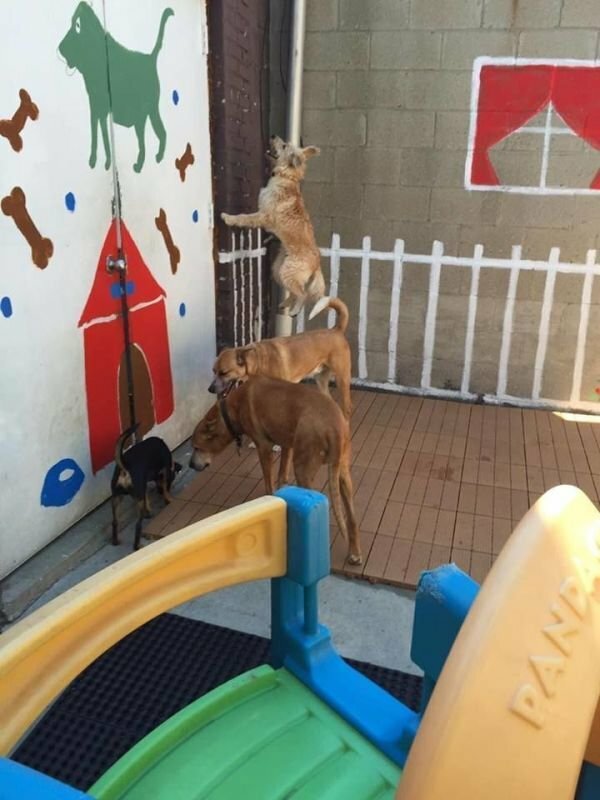 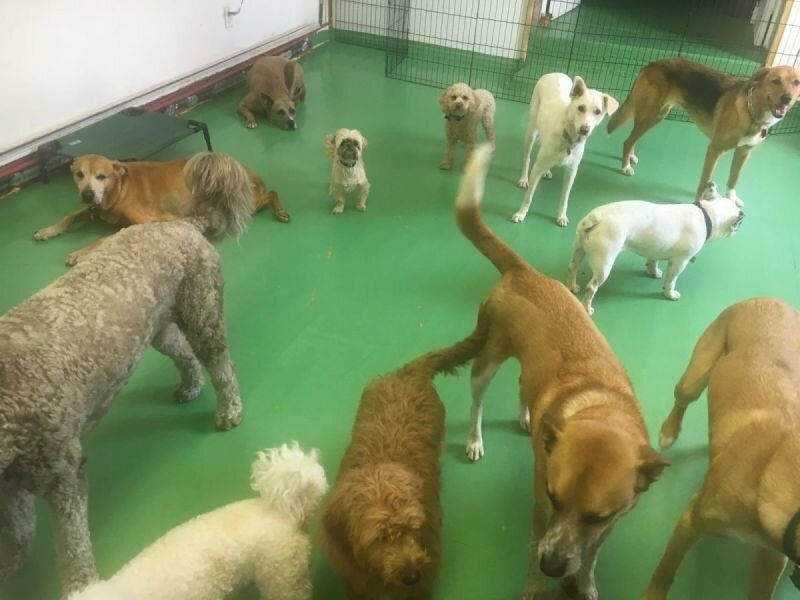 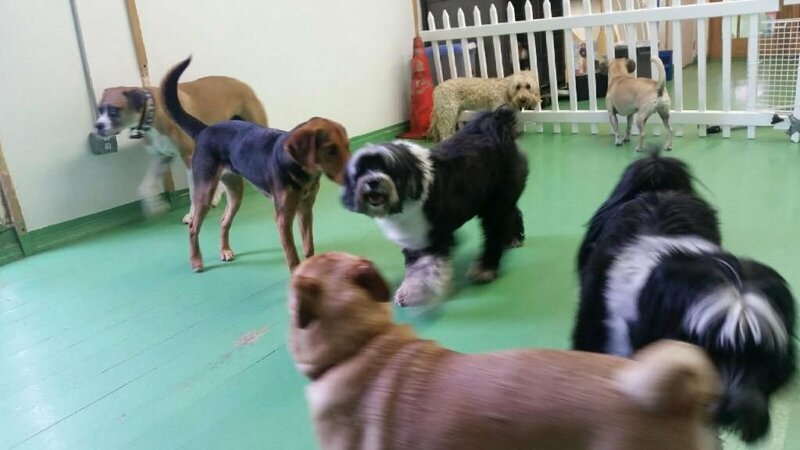 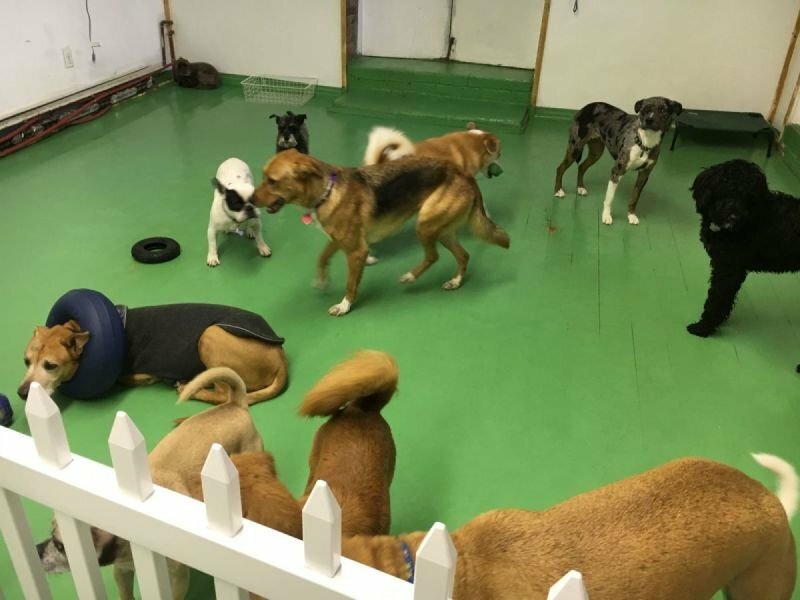 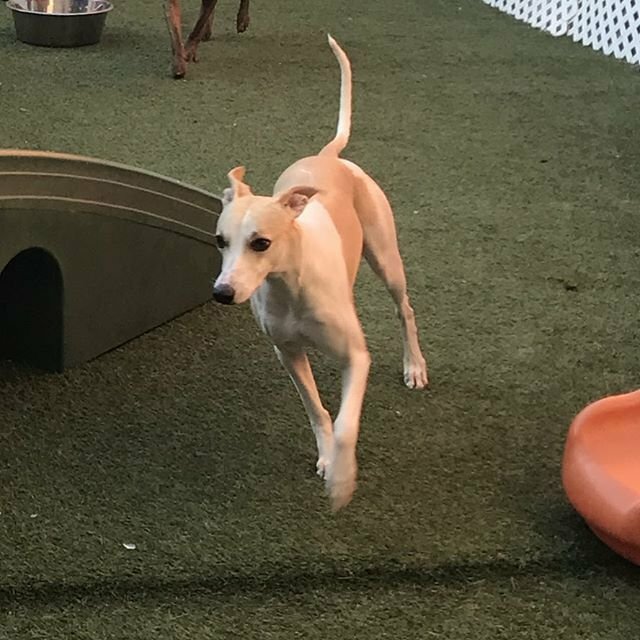 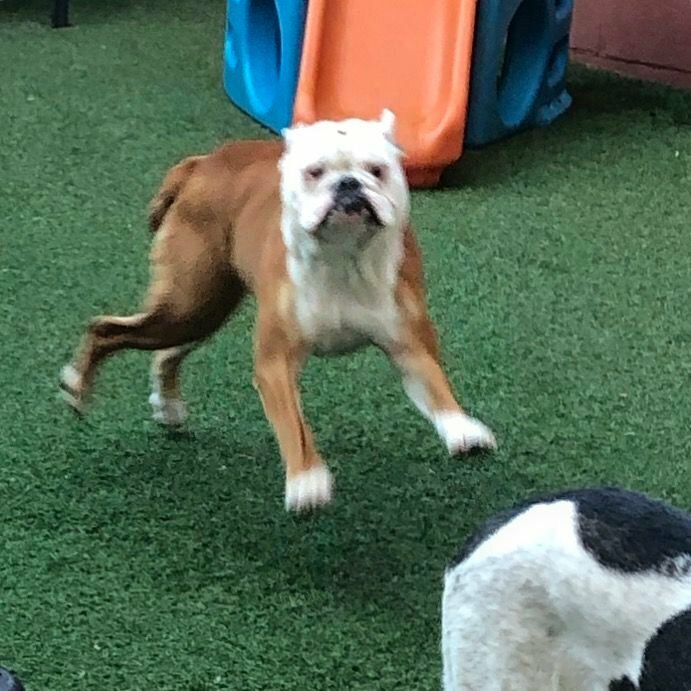 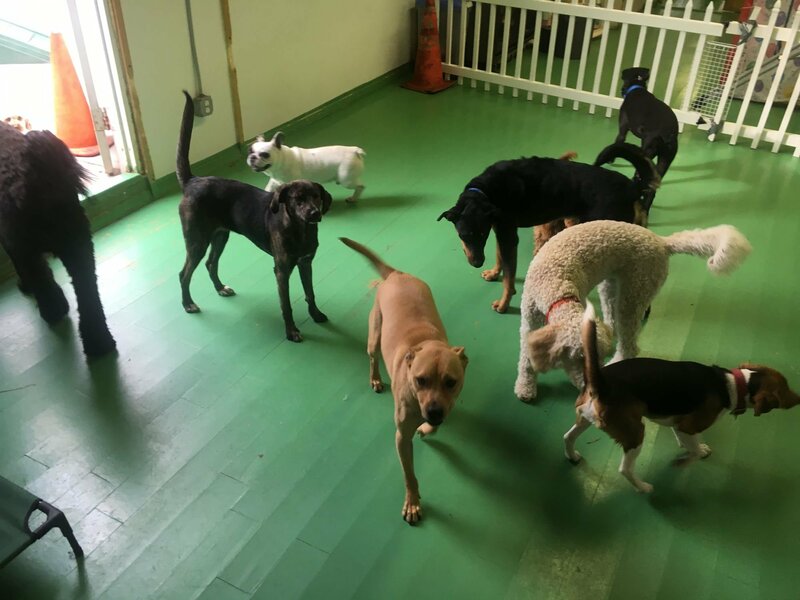 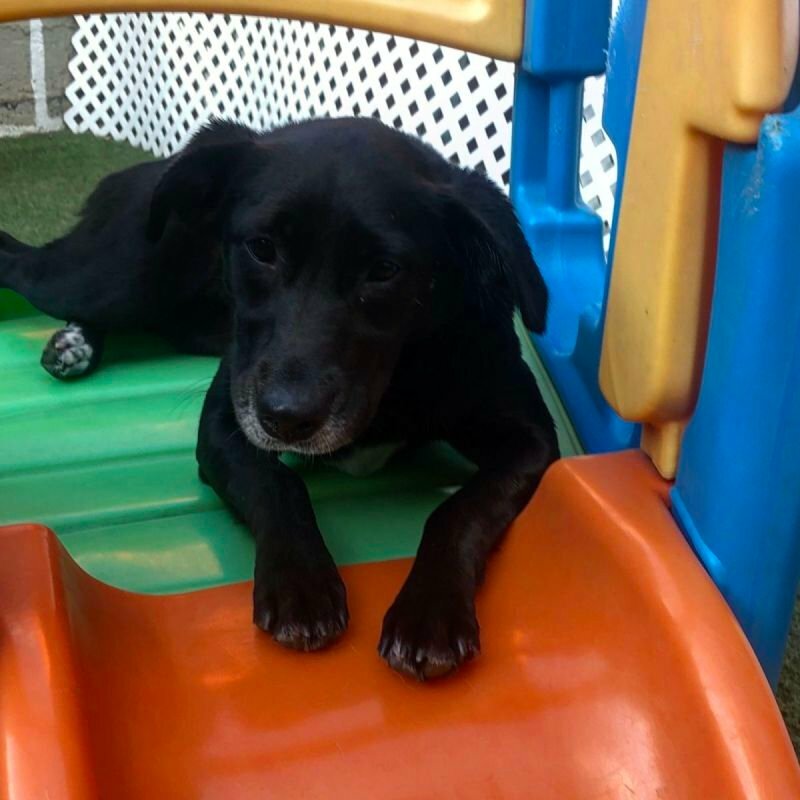 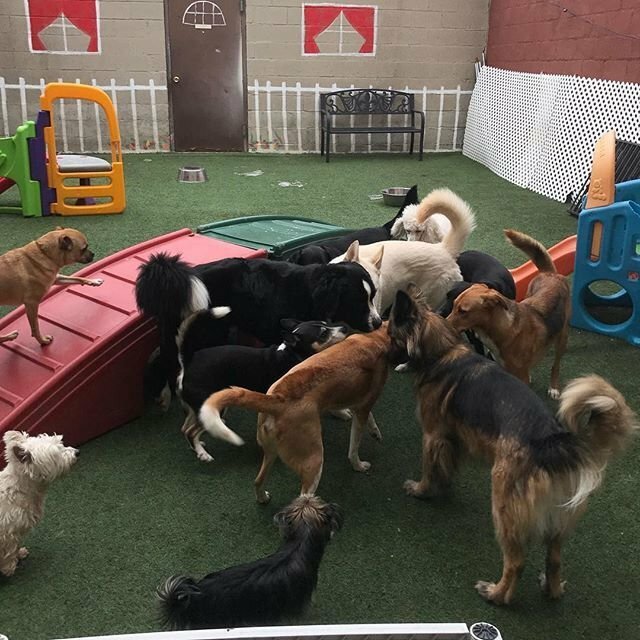 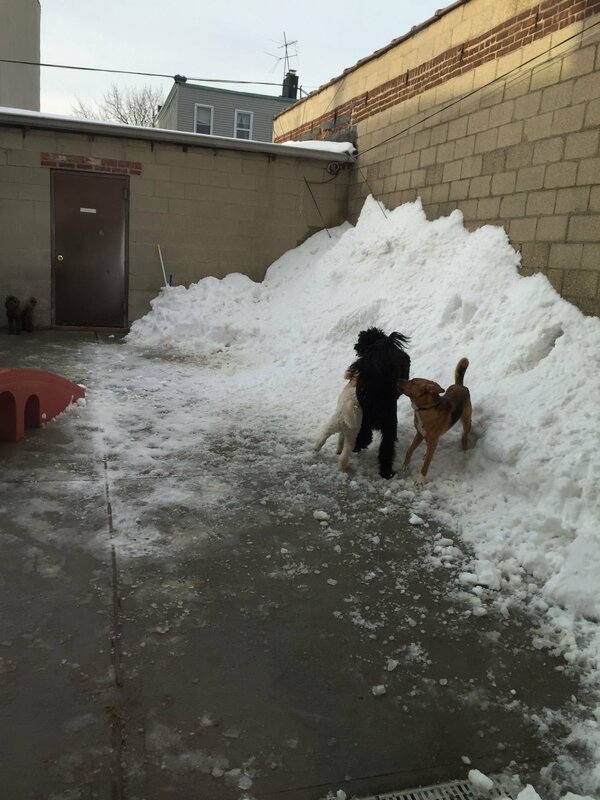 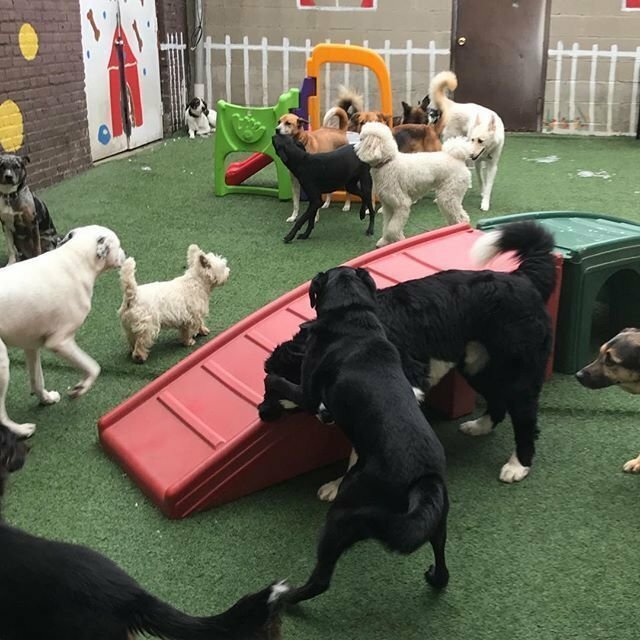 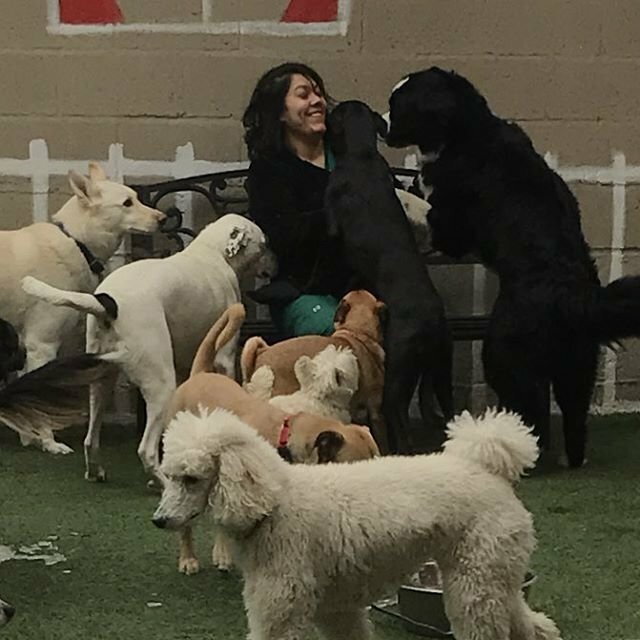 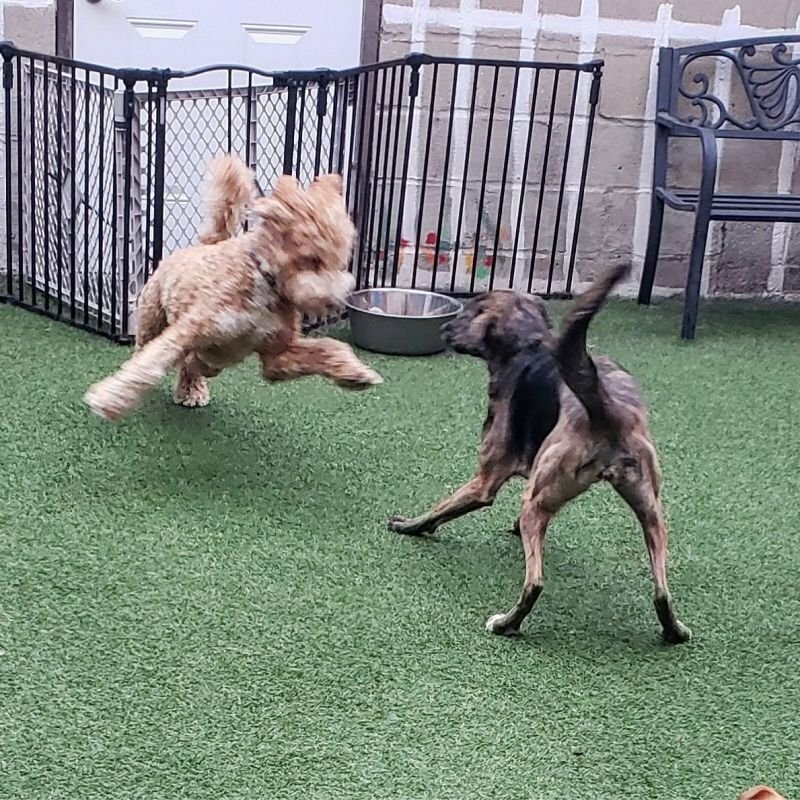 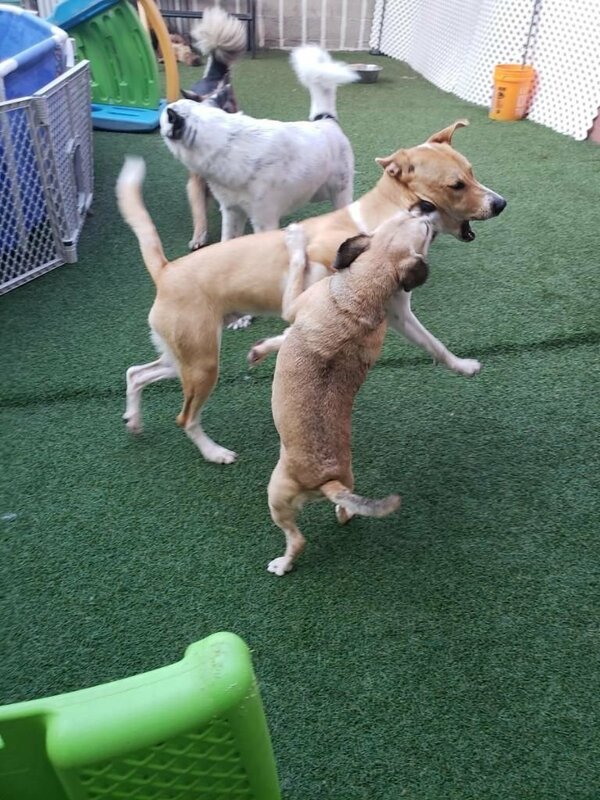 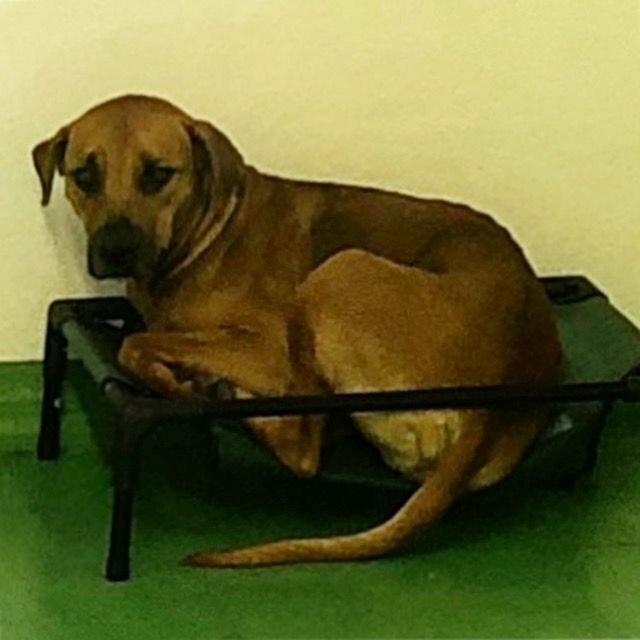 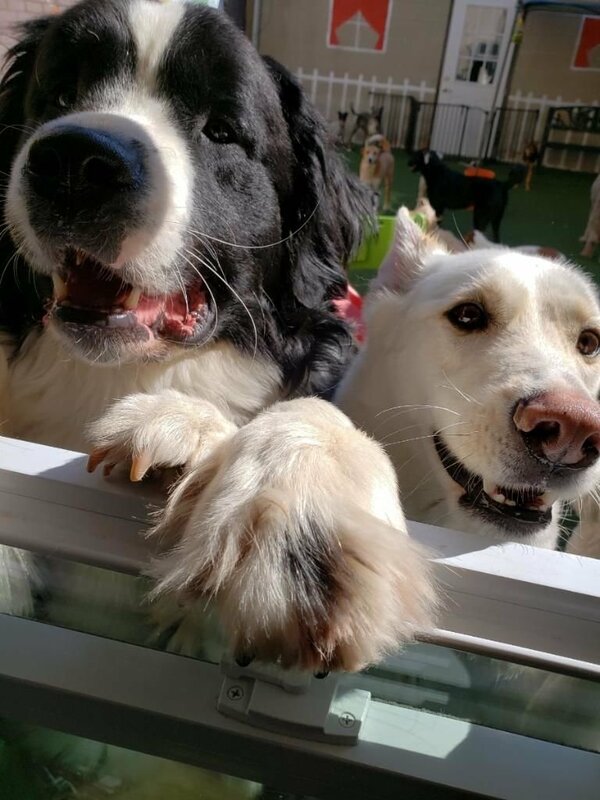 Our Daycare and boarding spreads across 4000 sq ft of an open space cage free area. 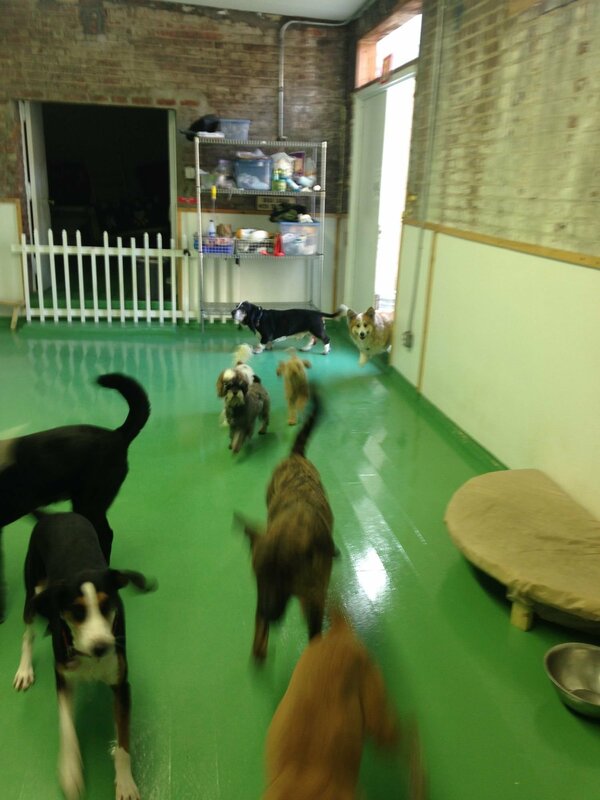 Rubber epoxy flooring make it gentle for the most rigorous of play. 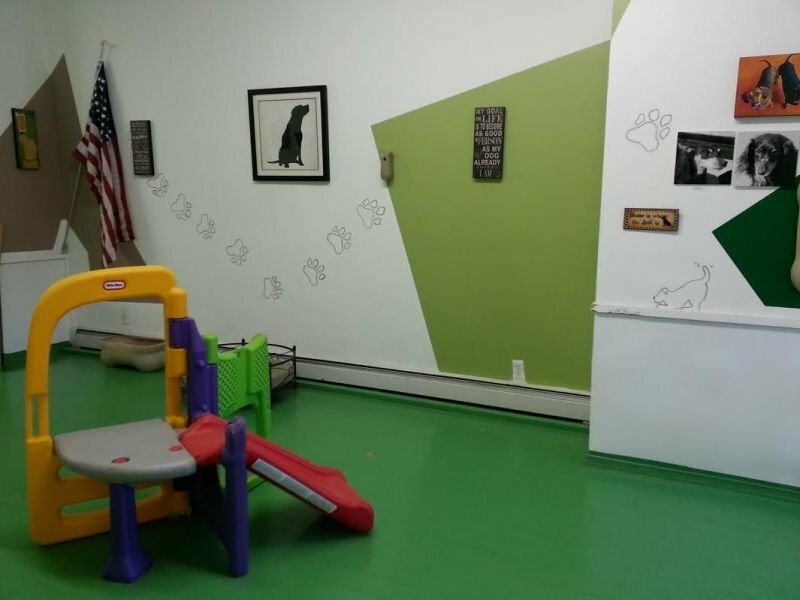 Temperature controlled rooms, a variety of groups, trained staff, pre-screening, and cameras are just a few of our additional features to ensure a safe and happy visit. 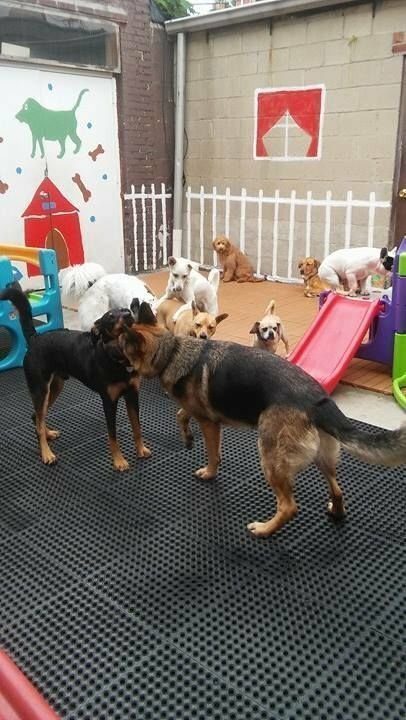 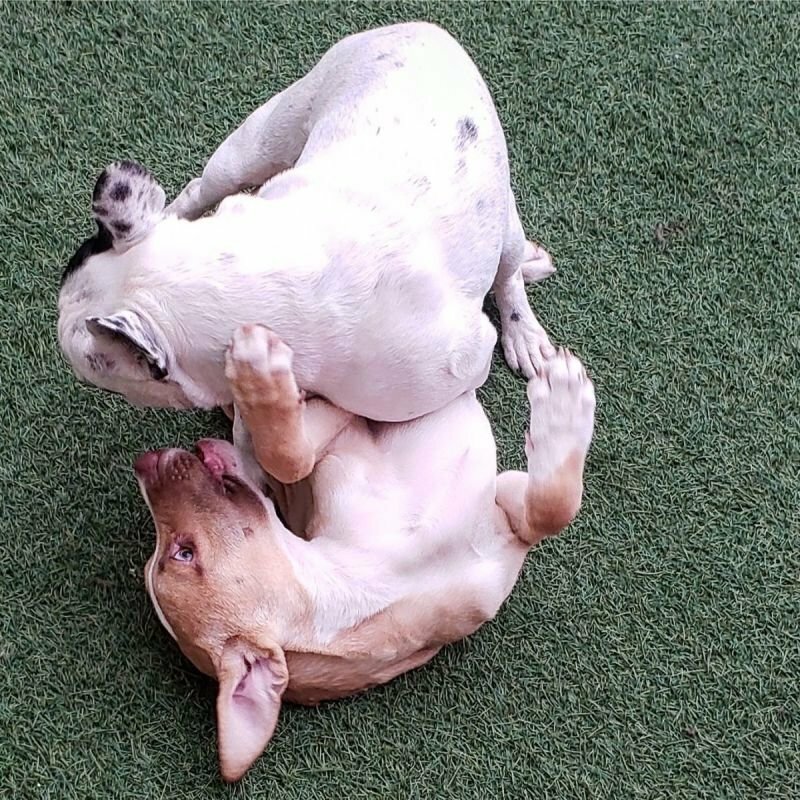 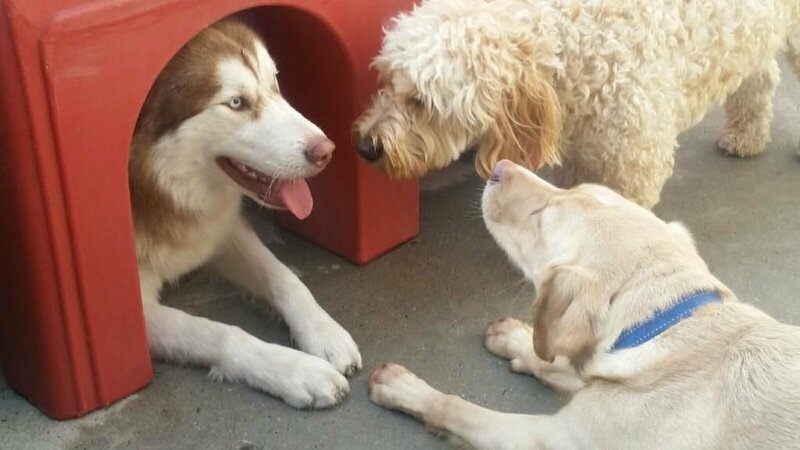 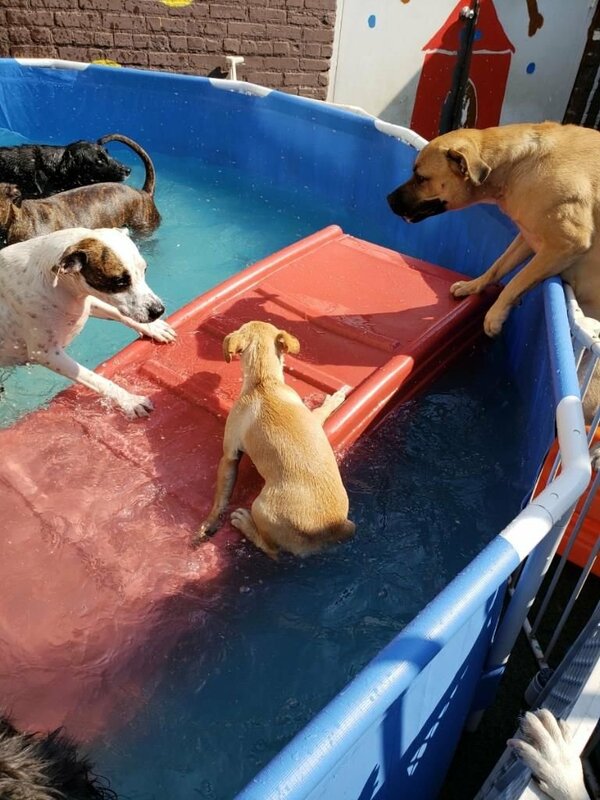 We also provide a wide range of programs and activities to fit any personality of each pup during the day. 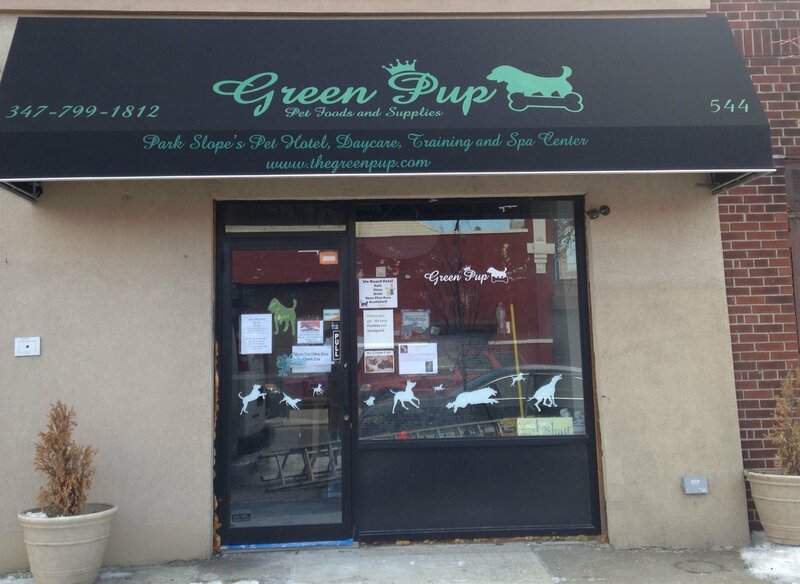 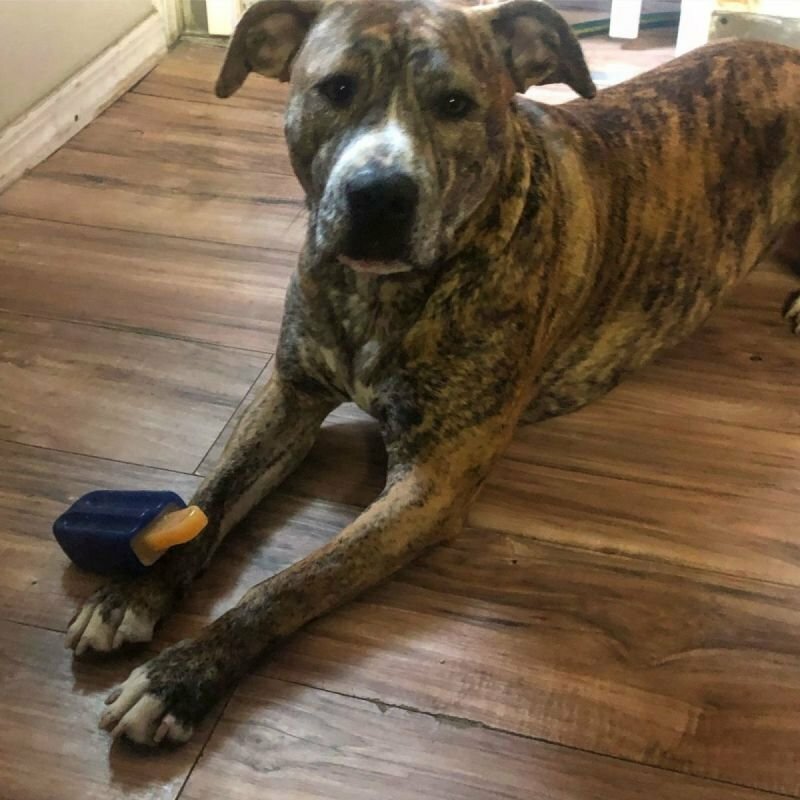 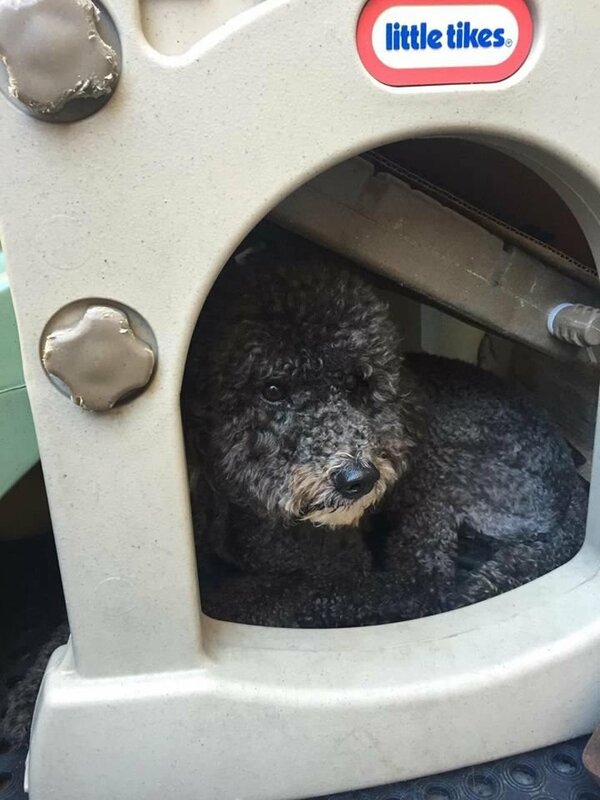 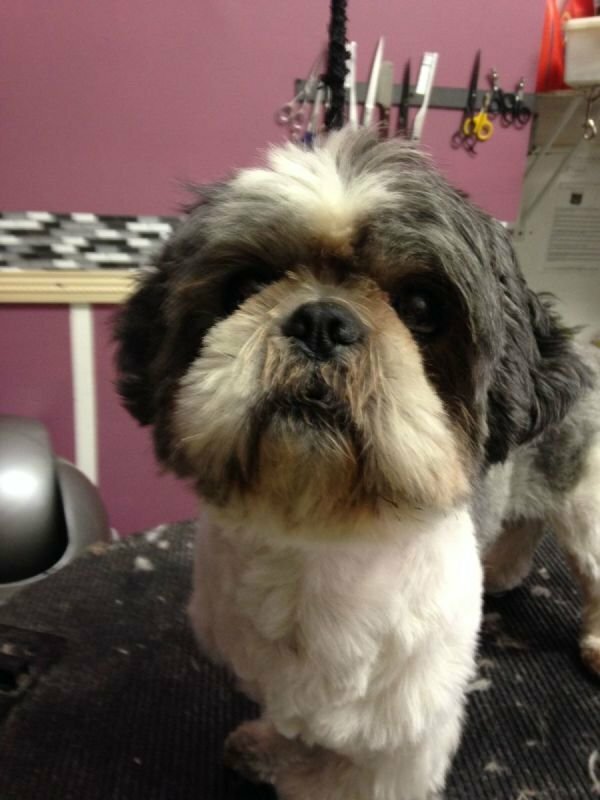 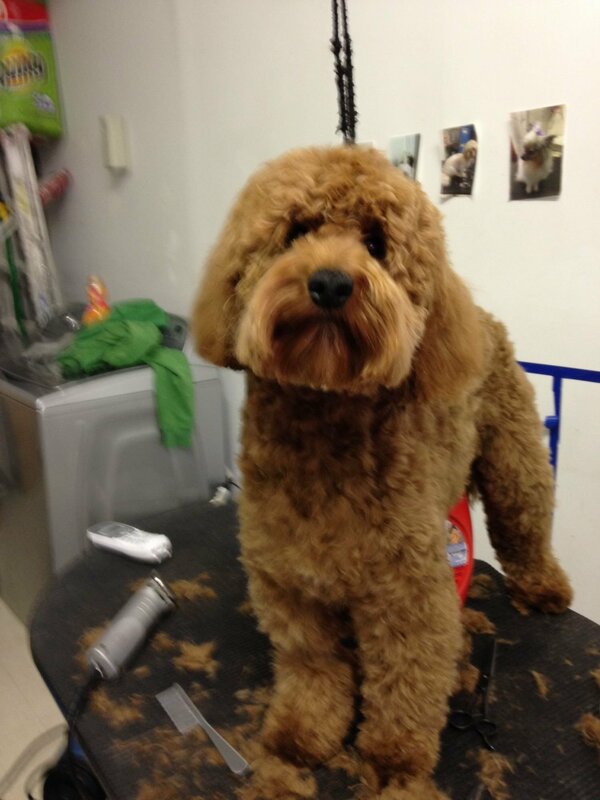 Whether its a touch up ,full bath, or a new haircut the Green Pup spa is here to pamper your pet at any time. 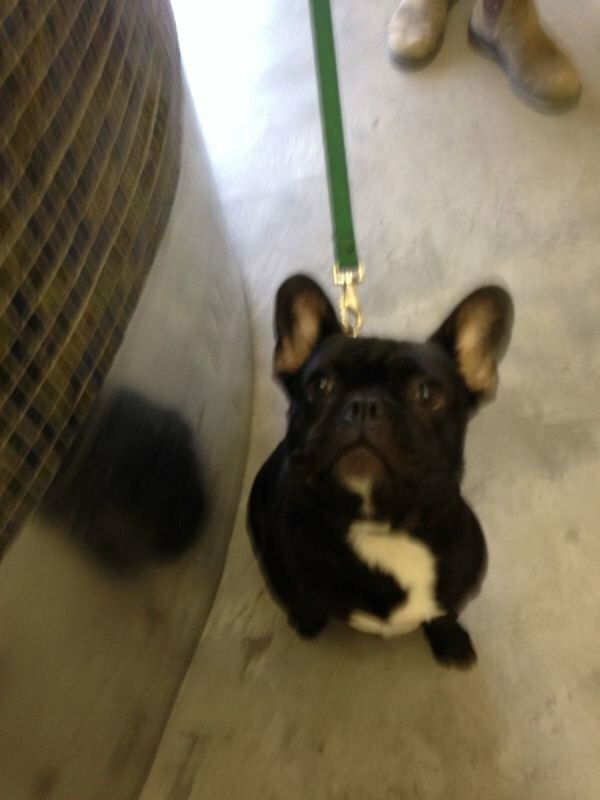 We even have several a la carte services for the pup on the go. 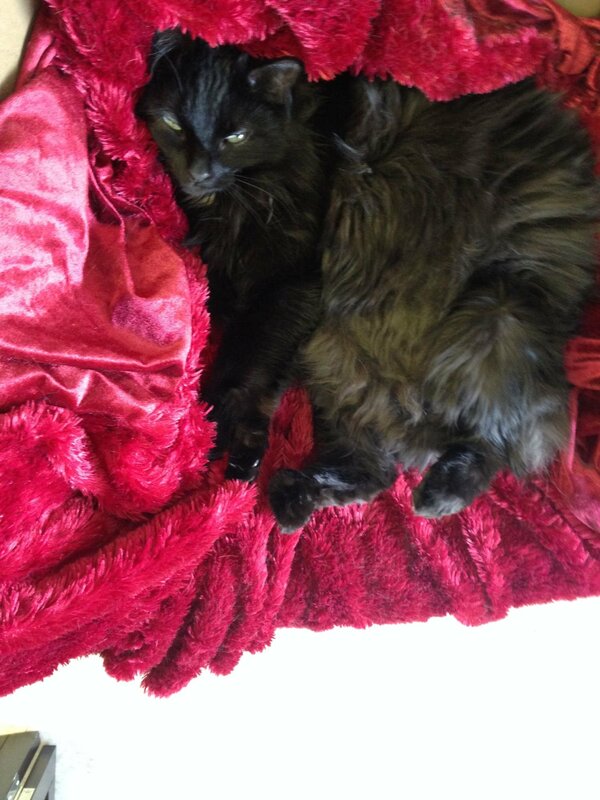 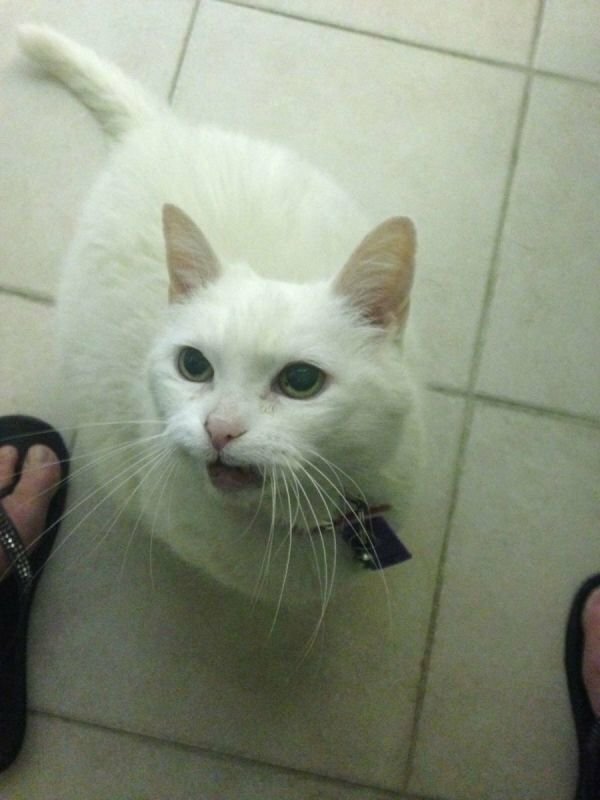 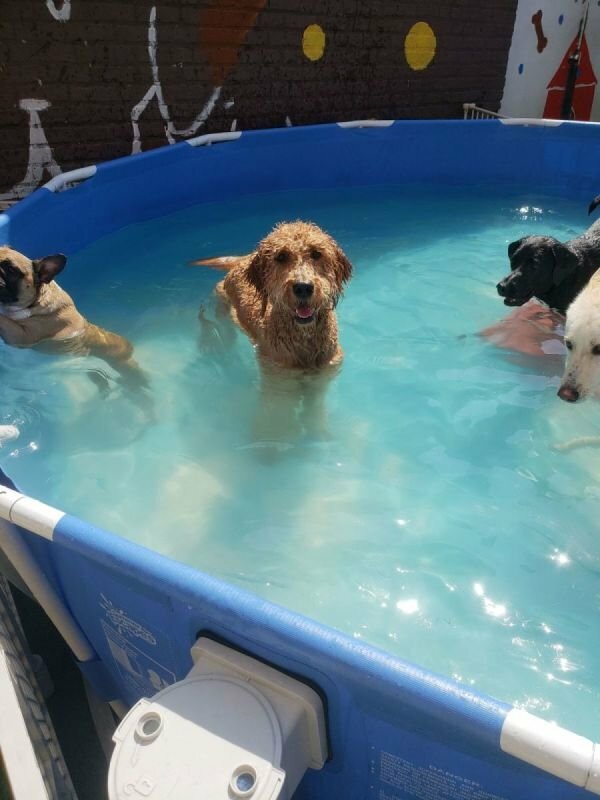 Spa services include massages, and hydrotherapy for any pet that has been injured or is just arthritic. 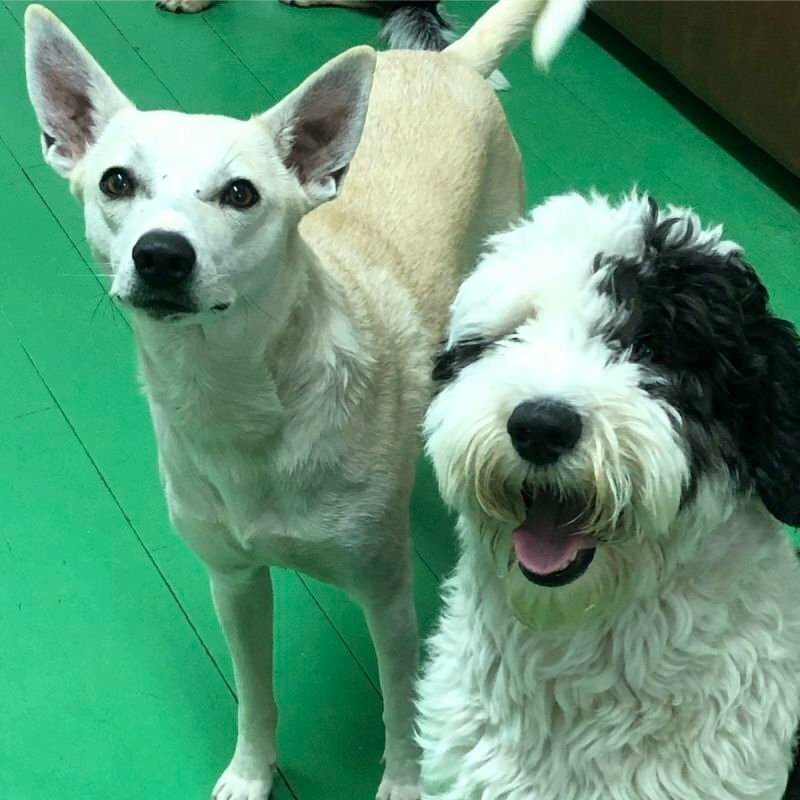 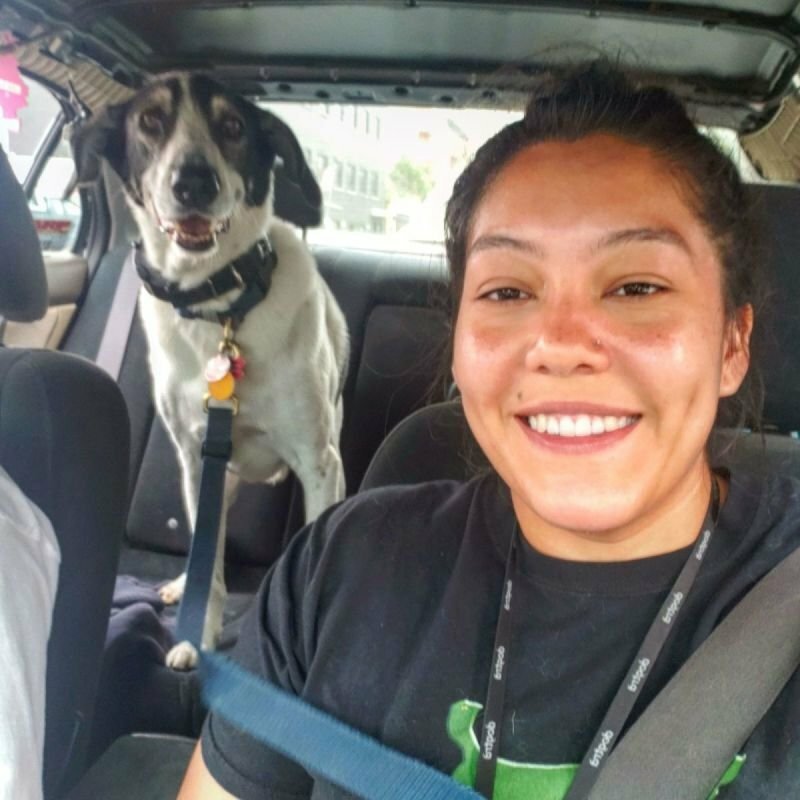 For that one on one attention a Green Pup walker can visit with your pup and take him/her for a half hour or hour long walk. 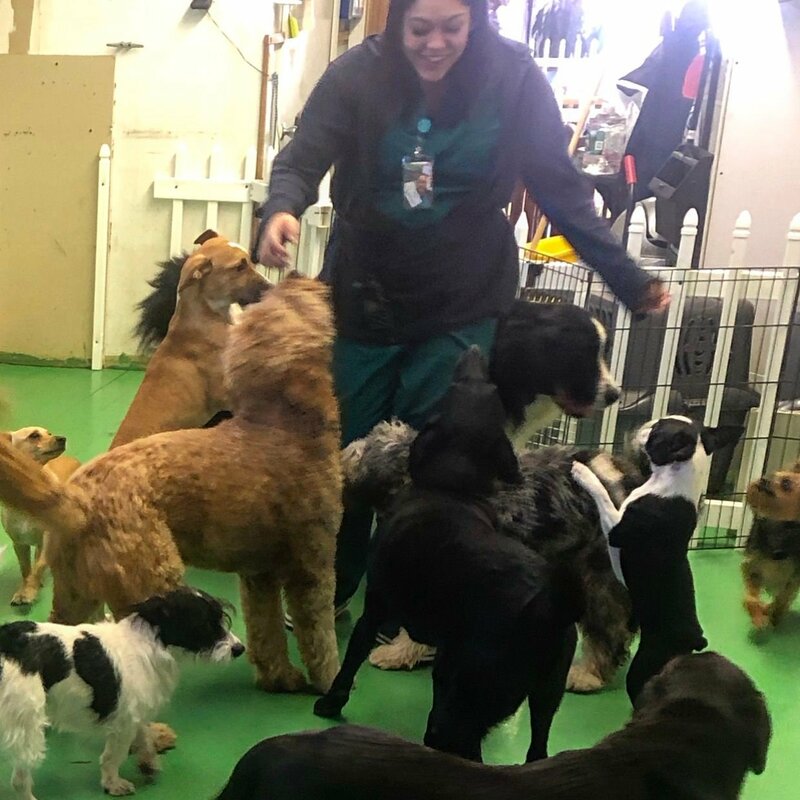 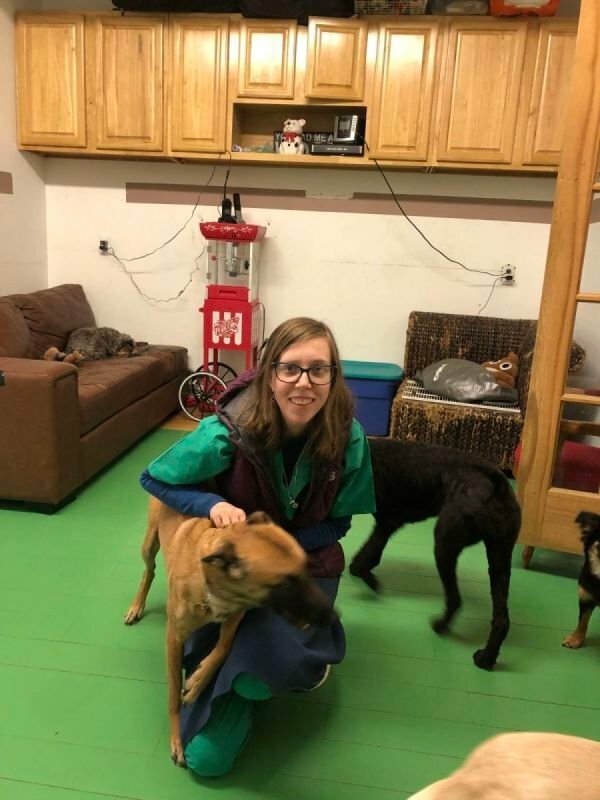 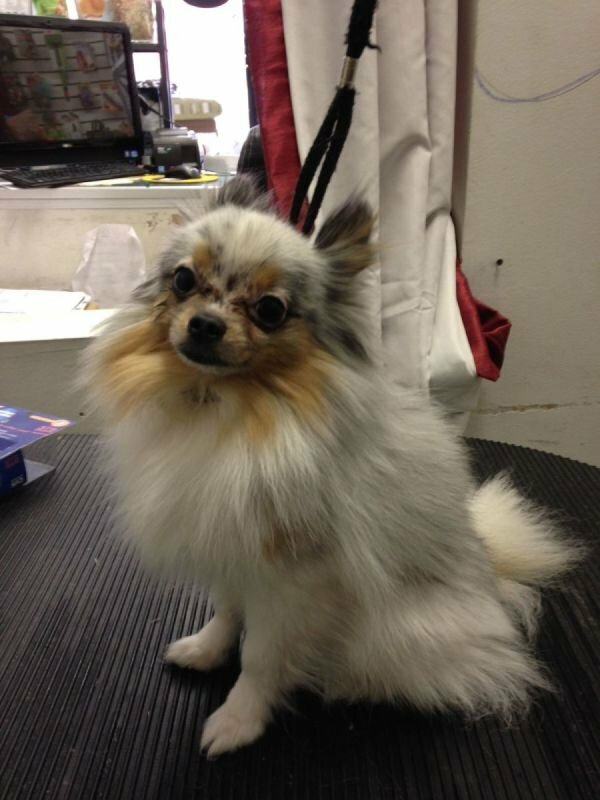 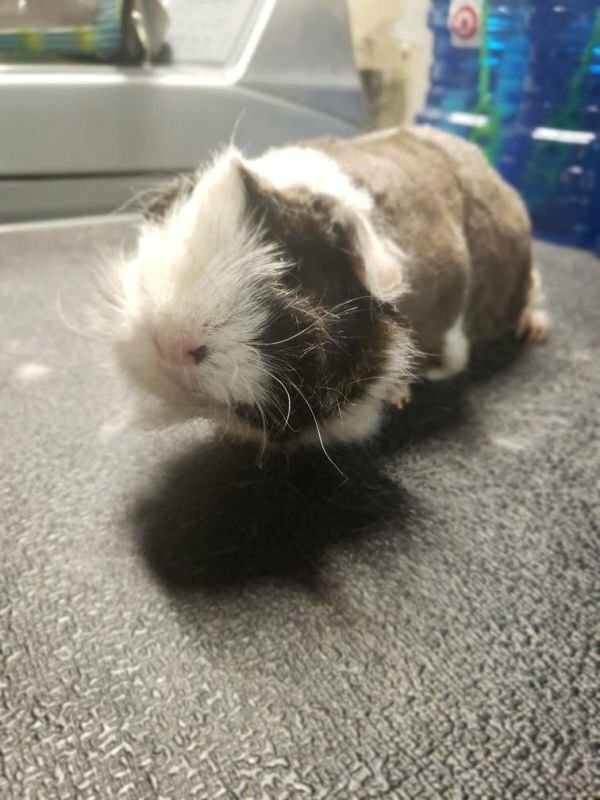 Our trained certified staff is knowledgeable to handle all animals, different situations, and any medical necessities. 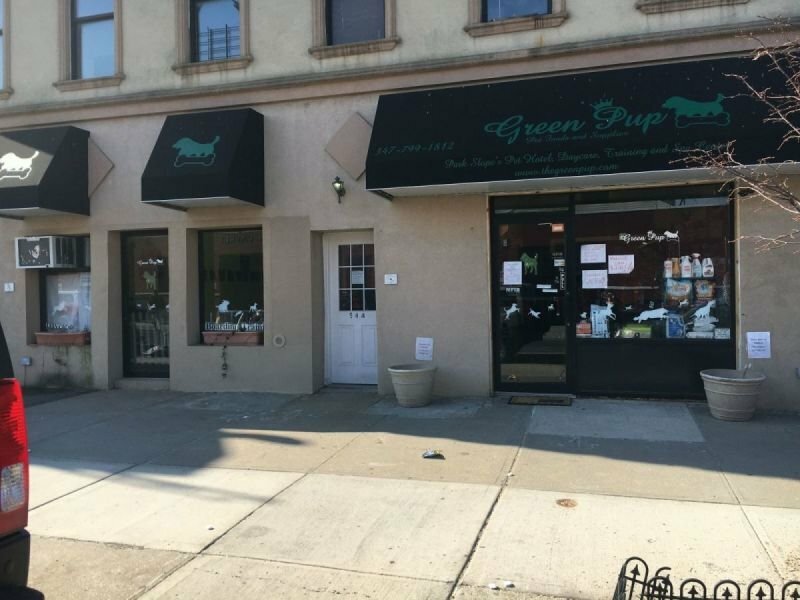 The Green Pup has a full line store filled with food and supplies. 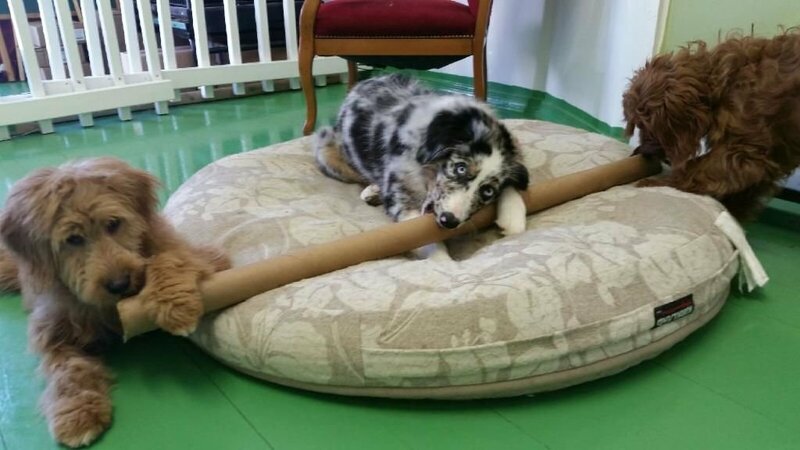 We offer free delivery and discounts to members. 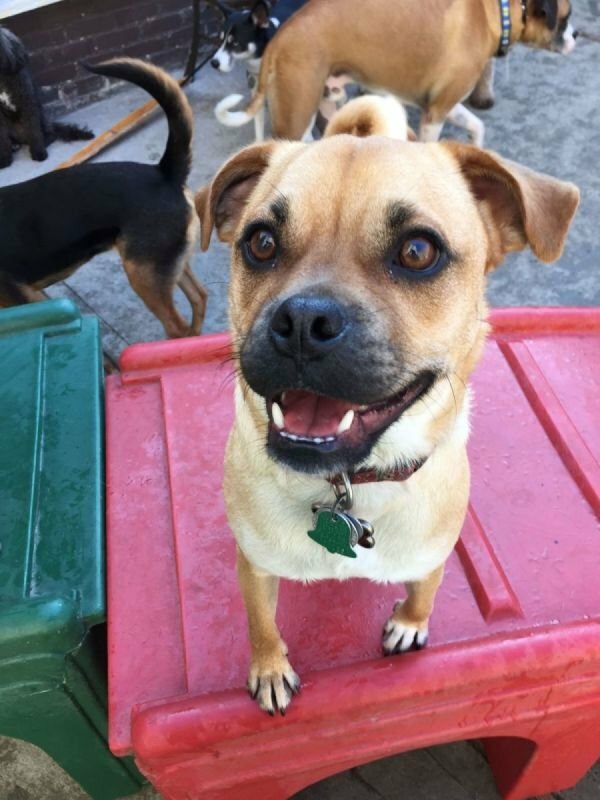 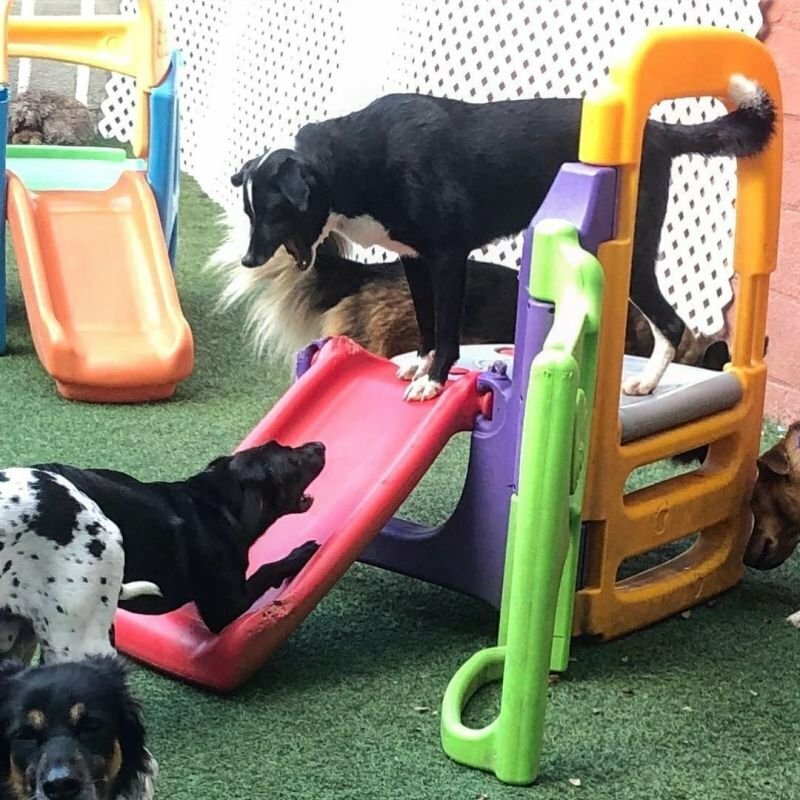 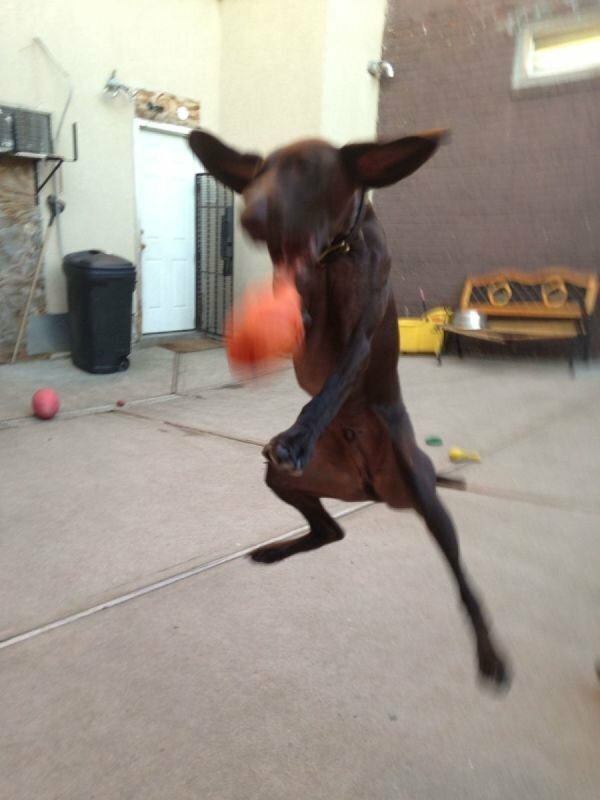 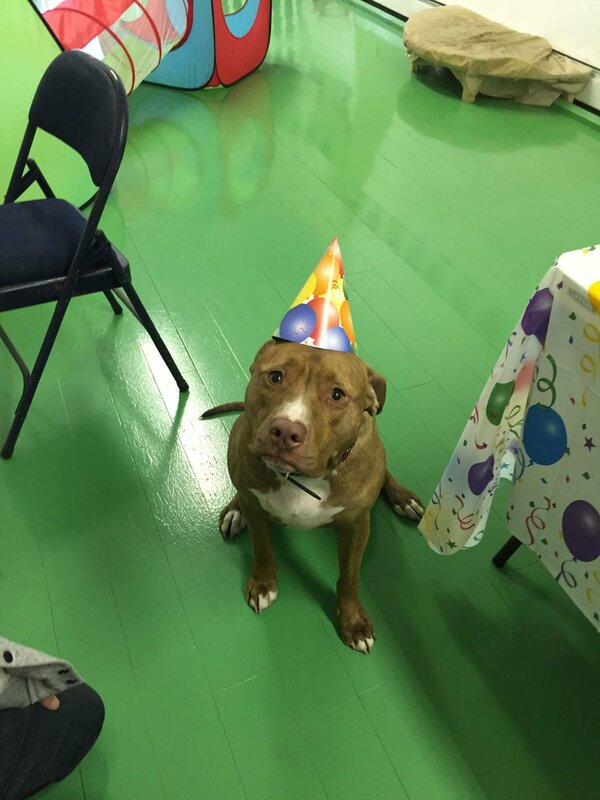 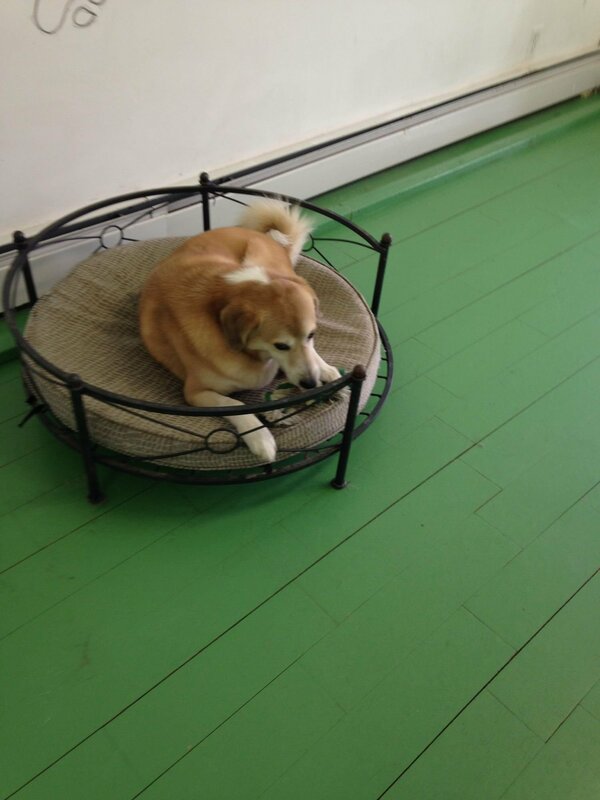 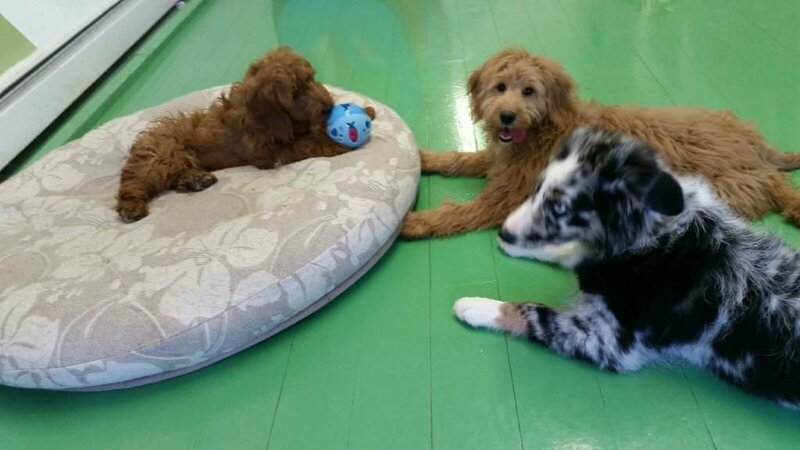 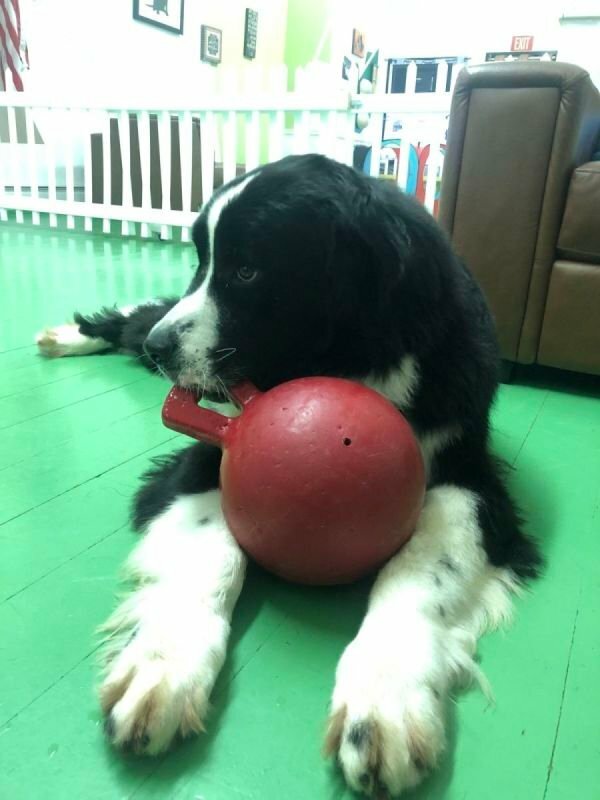 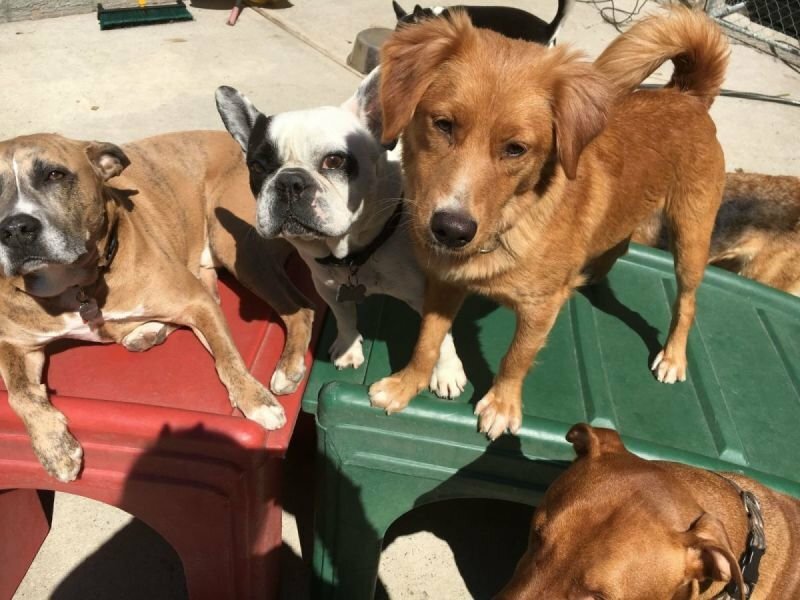 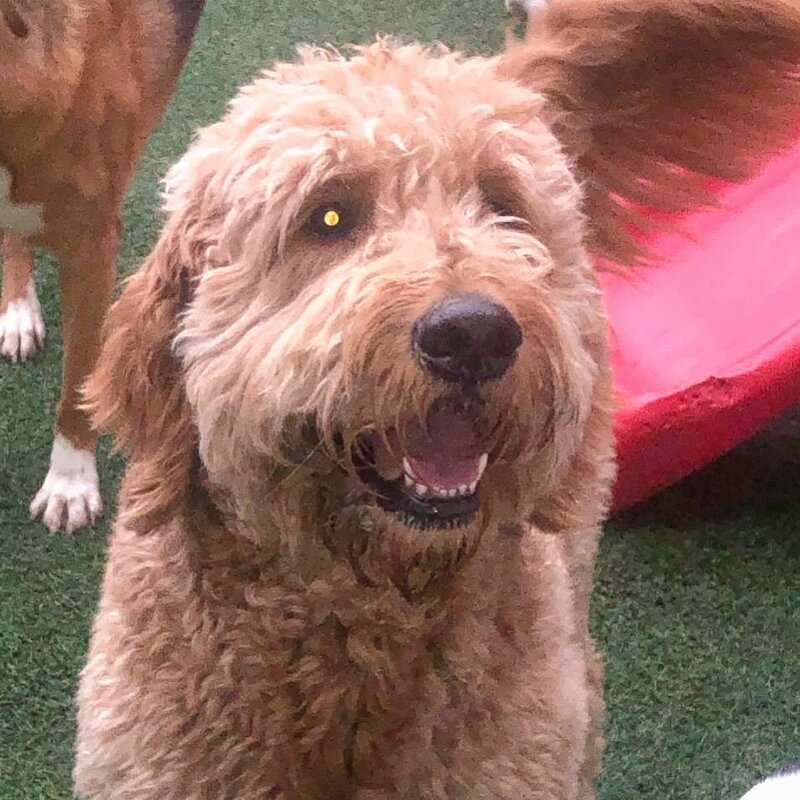 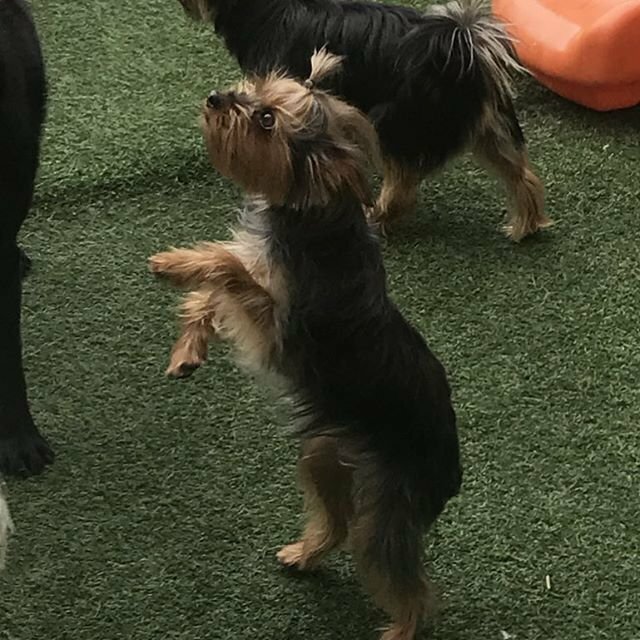 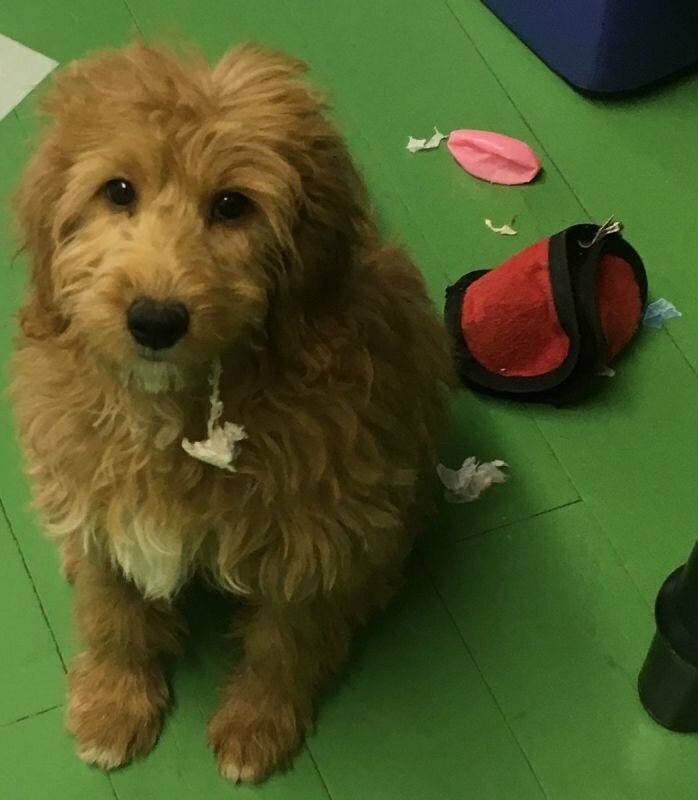 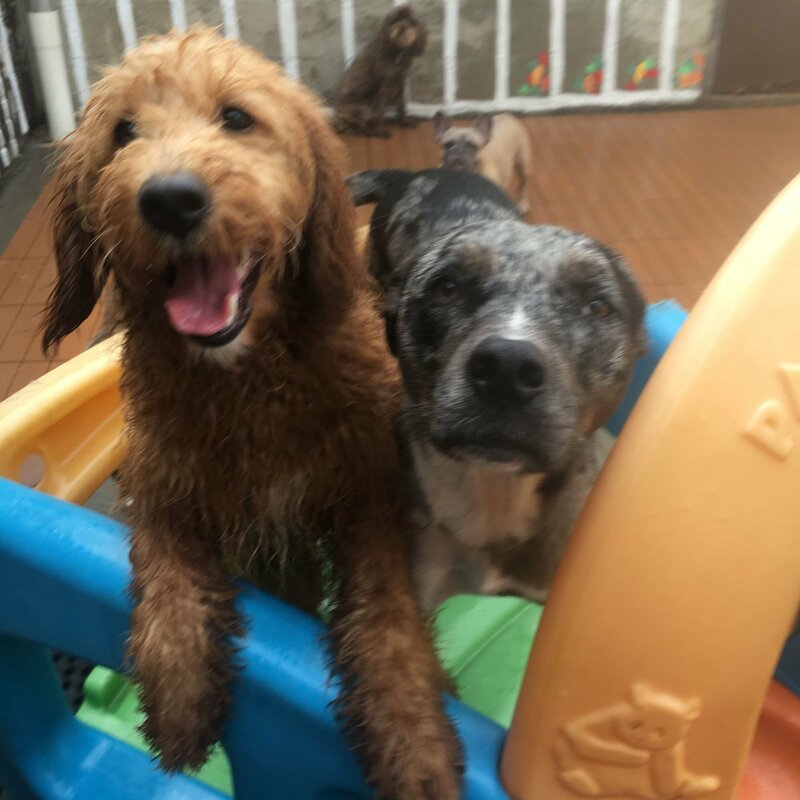 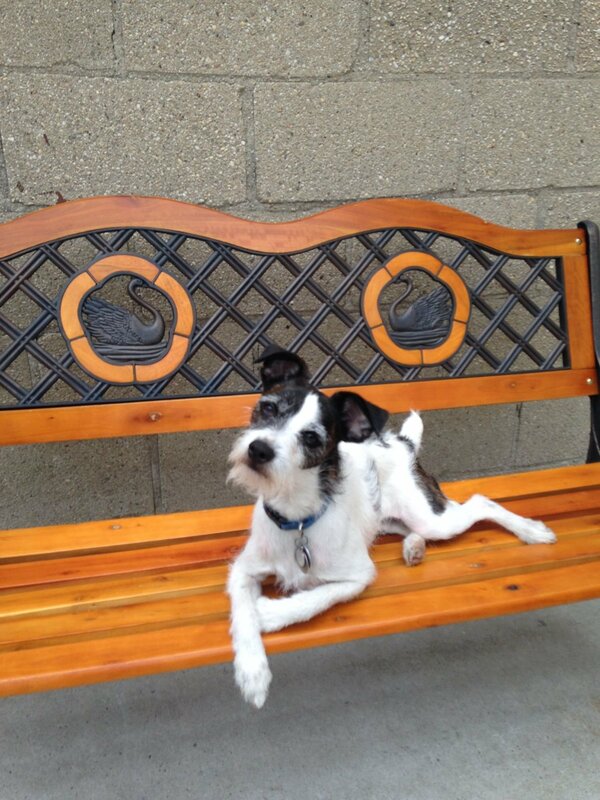 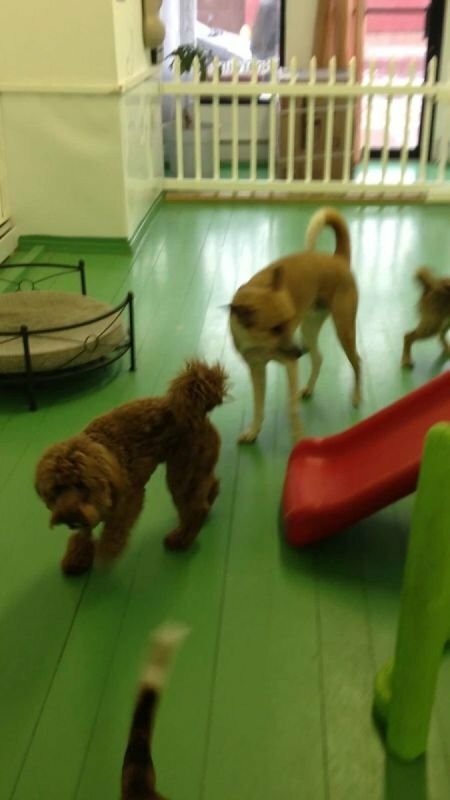 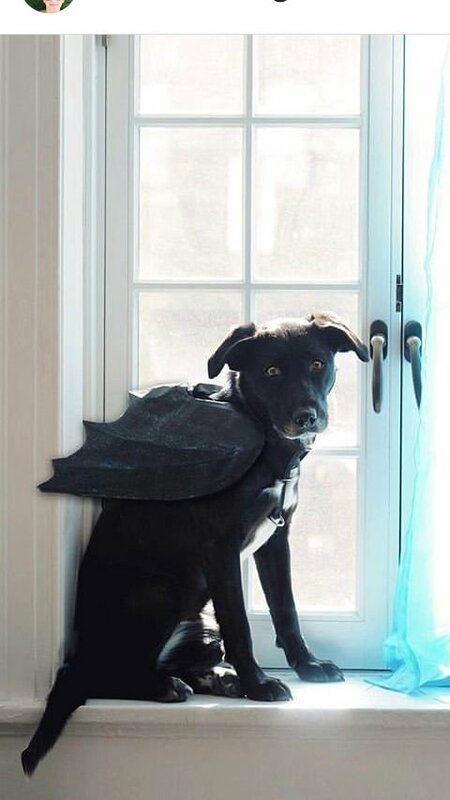 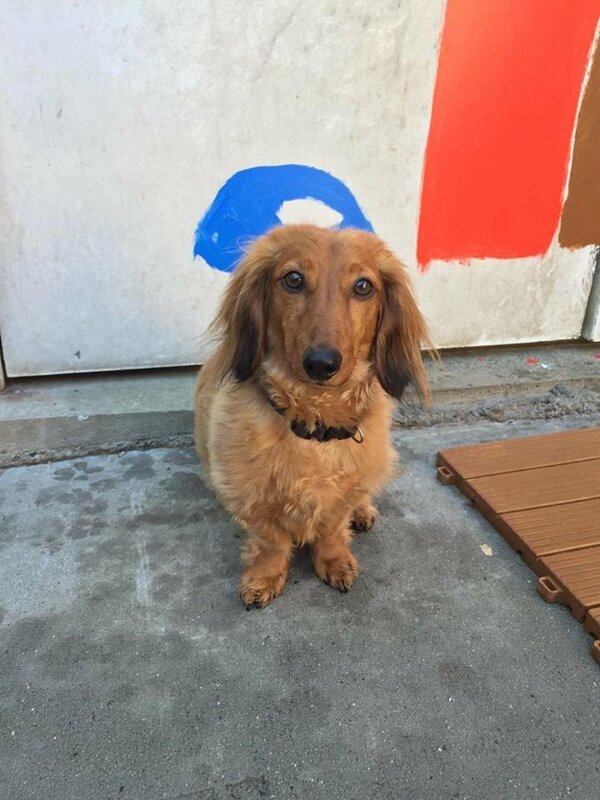 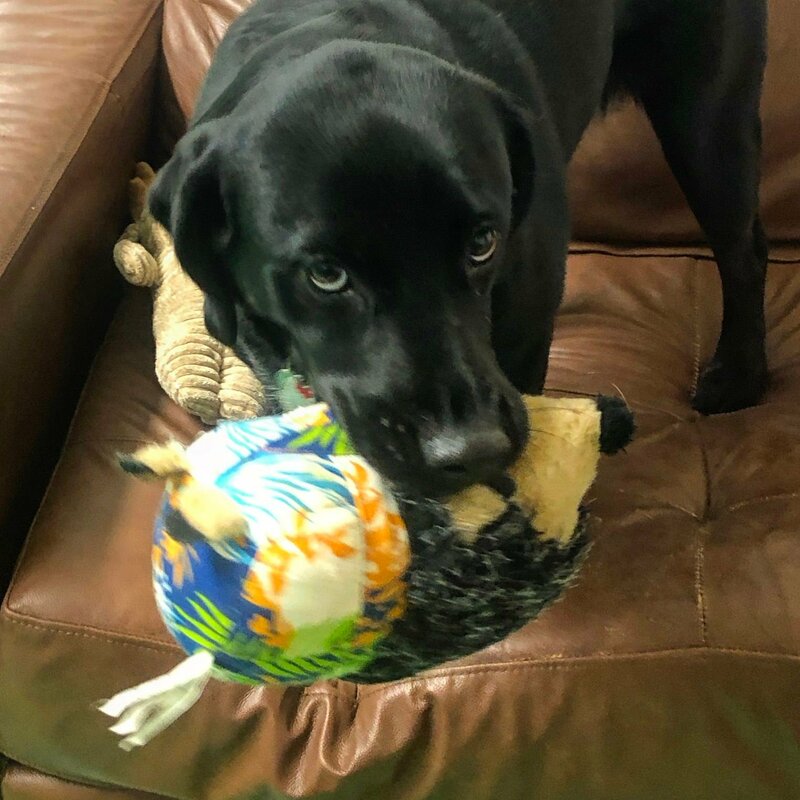 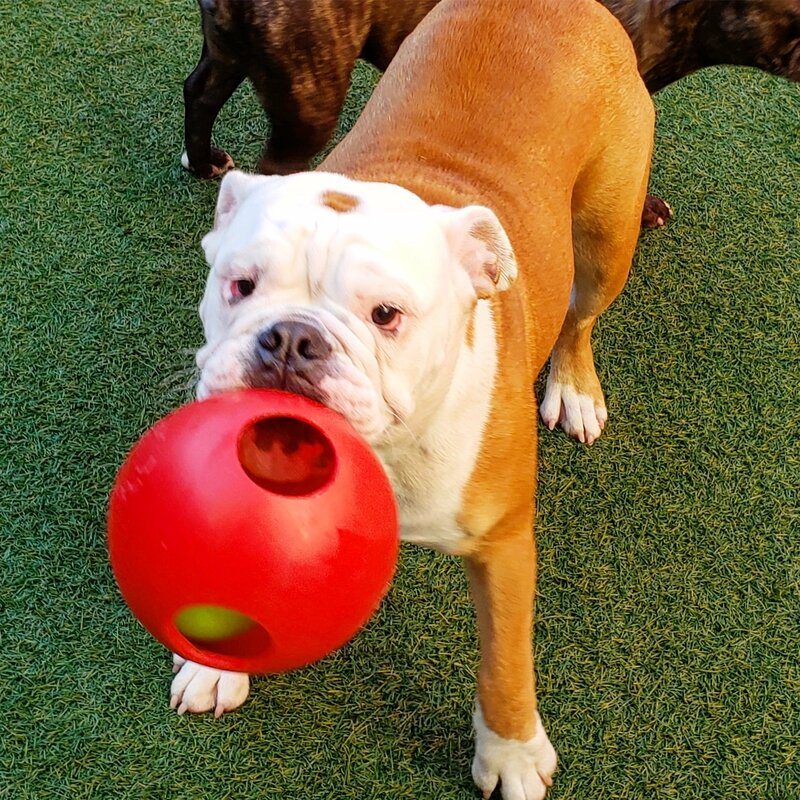 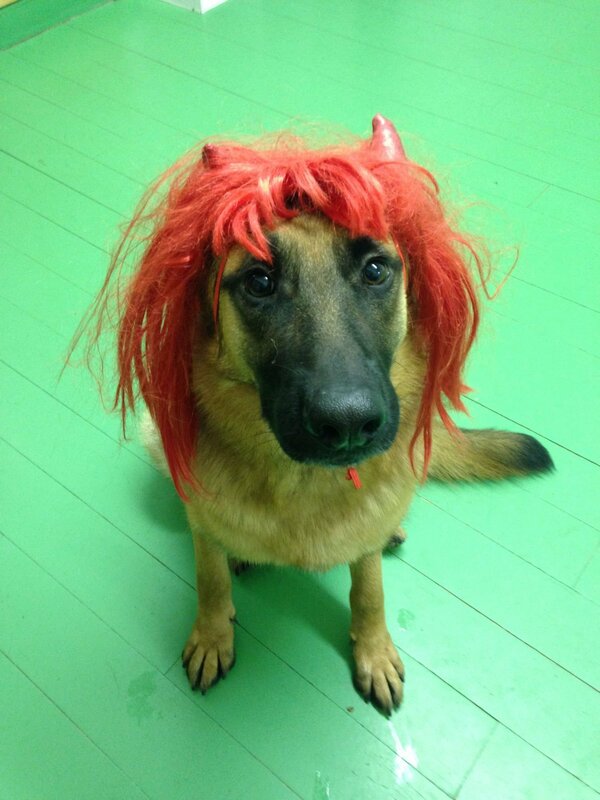 The Green Pup is committed to achieving quality daycare for all pets. 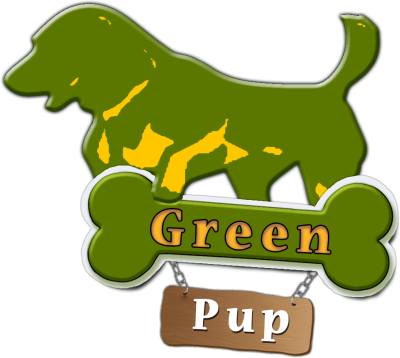 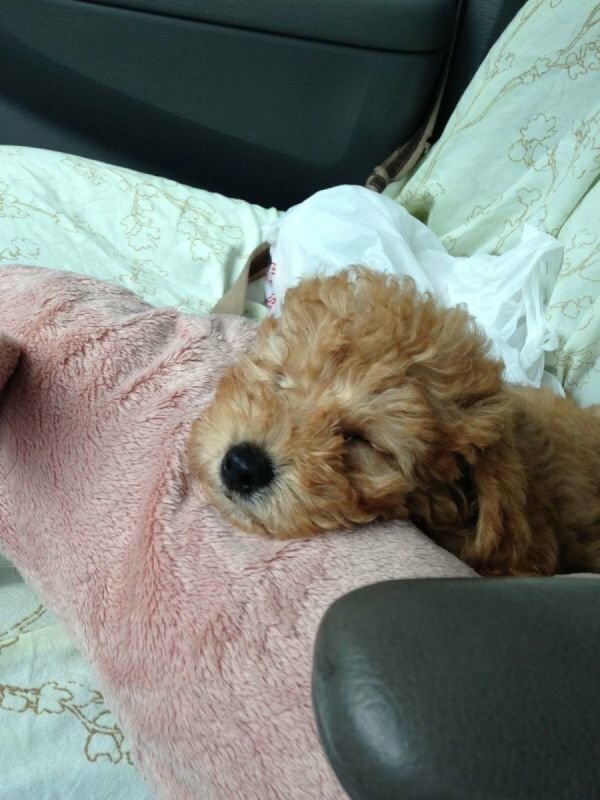 By creating a loving happy atmosphere the Green Pup will establish a happy community of pets. 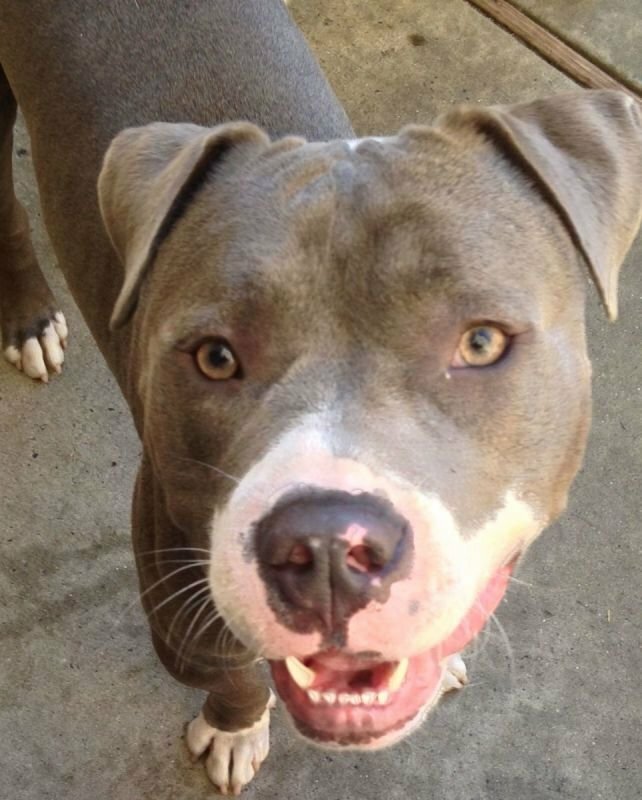 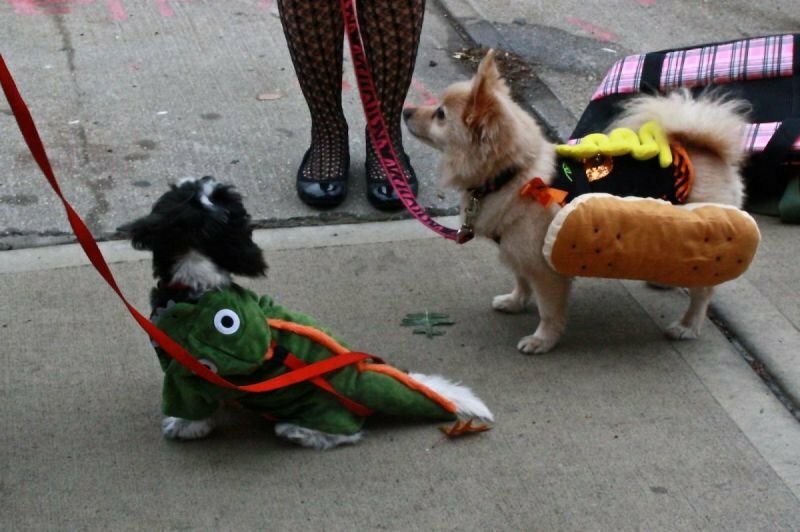 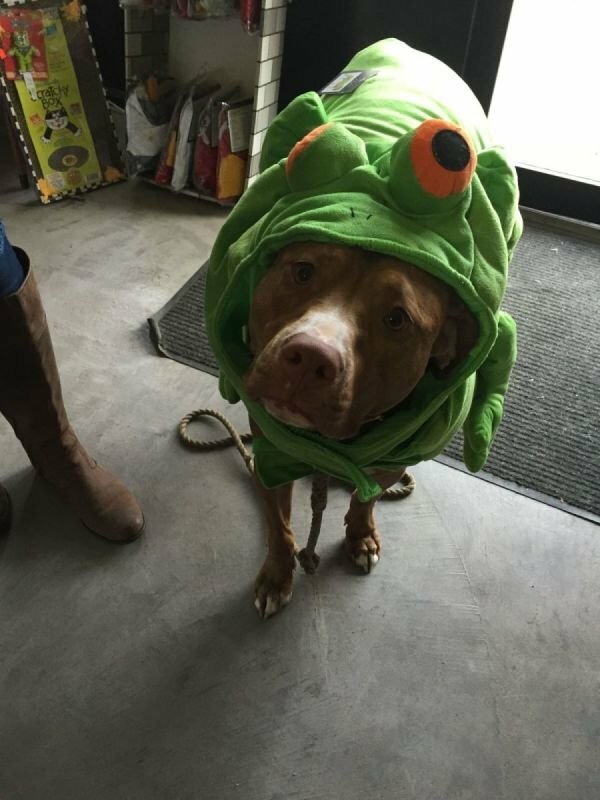 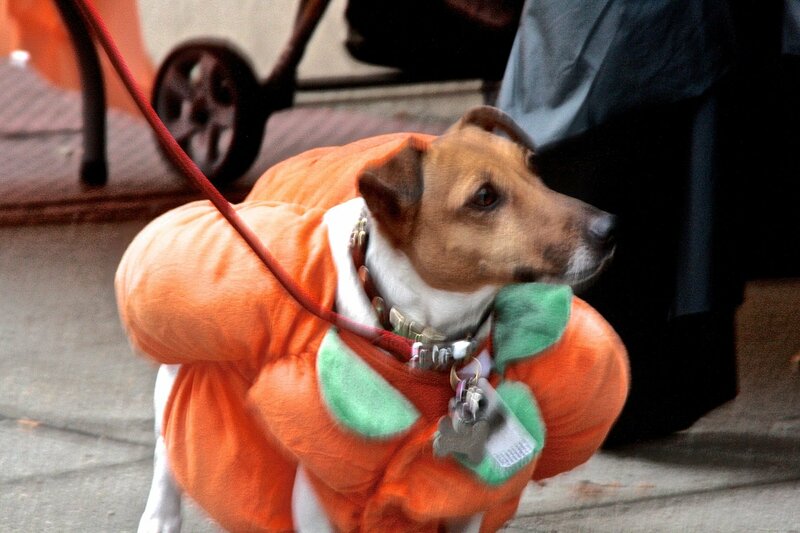 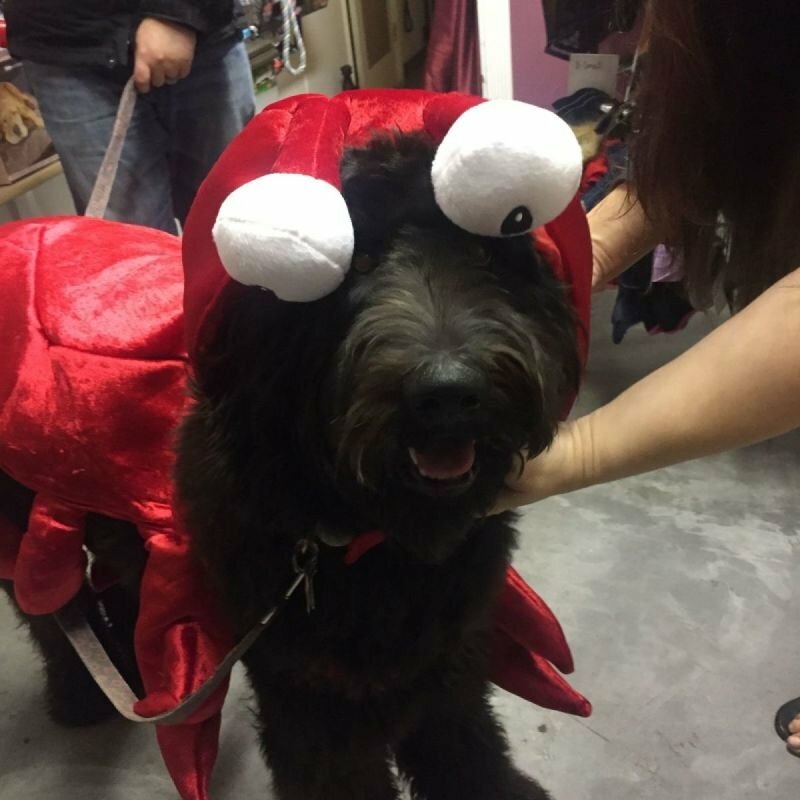 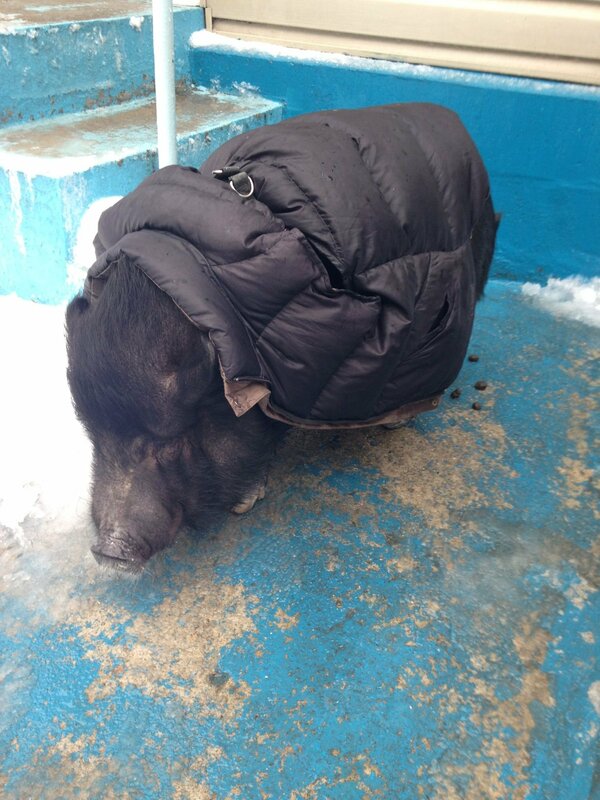 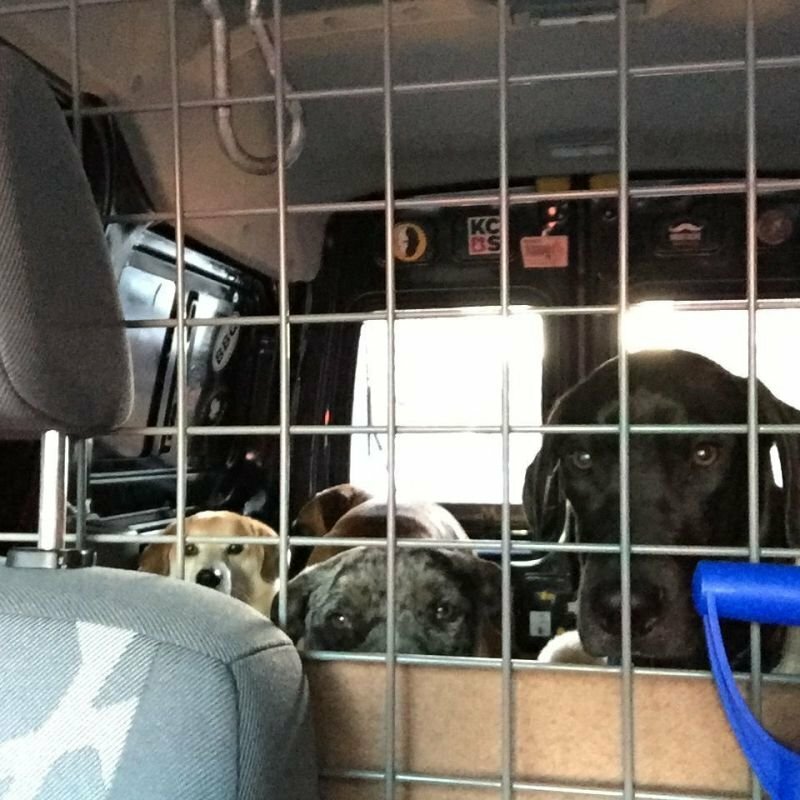 There will be a late fee of $20 per hour for any pet that is picked up after 8pm. 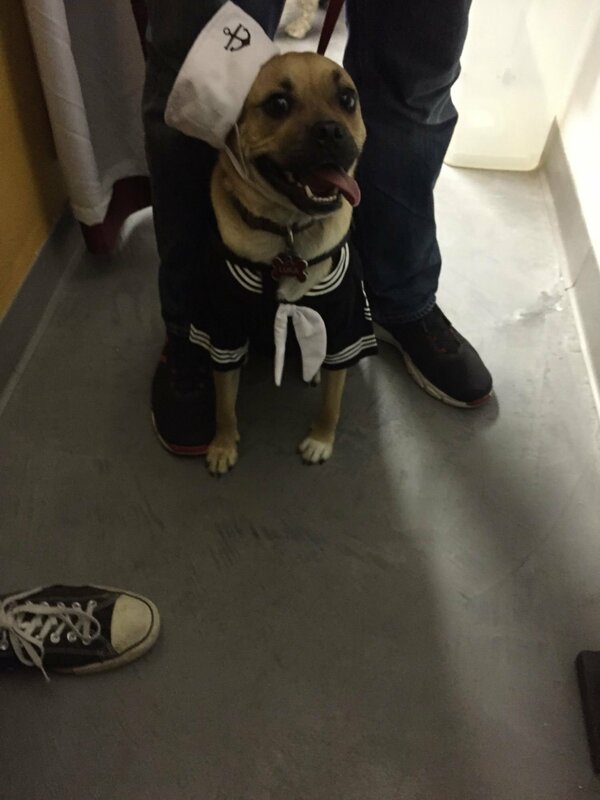 Any pet still here at/after 10pm will be considered boarding. 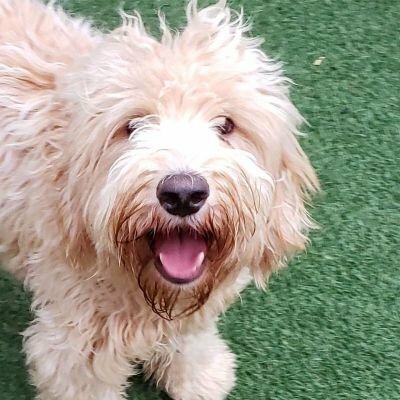 Free Weekend Both Sat and Sun. 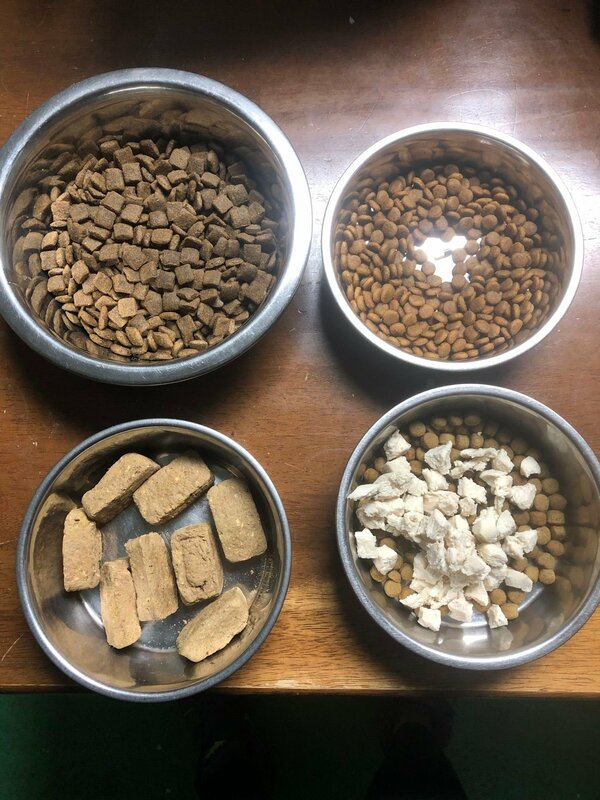 Four Day Max Per Household. 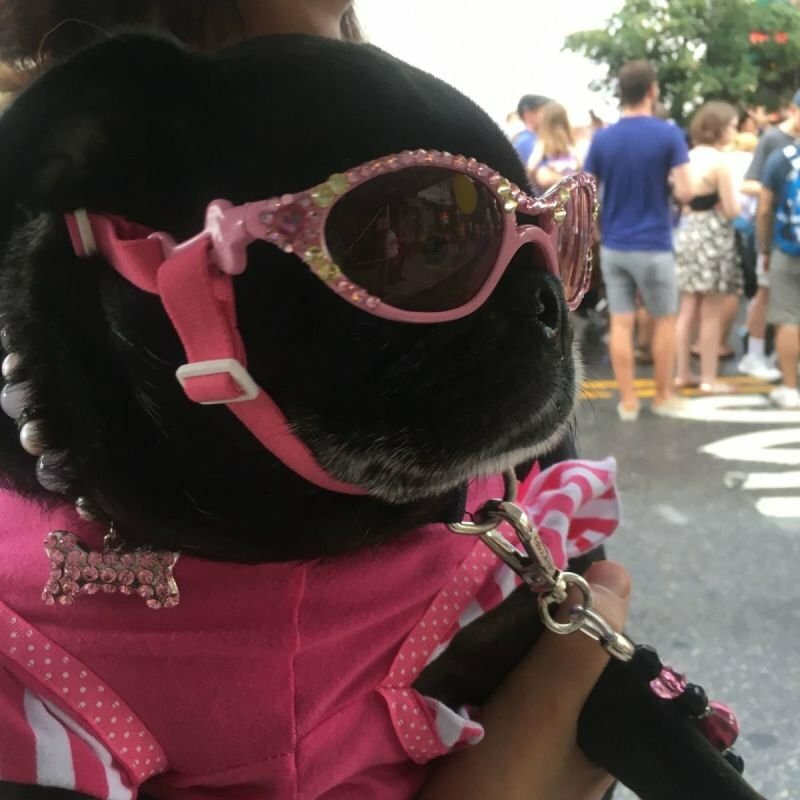 8 Day Weekend Pass $130. 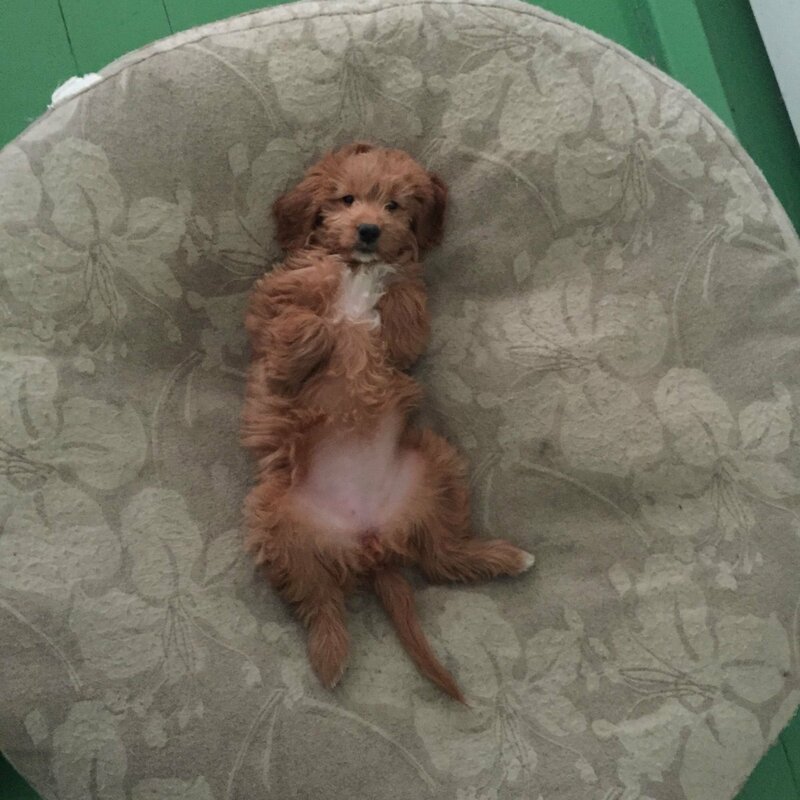 Pay for 61/2 days, receive a day and a half free. 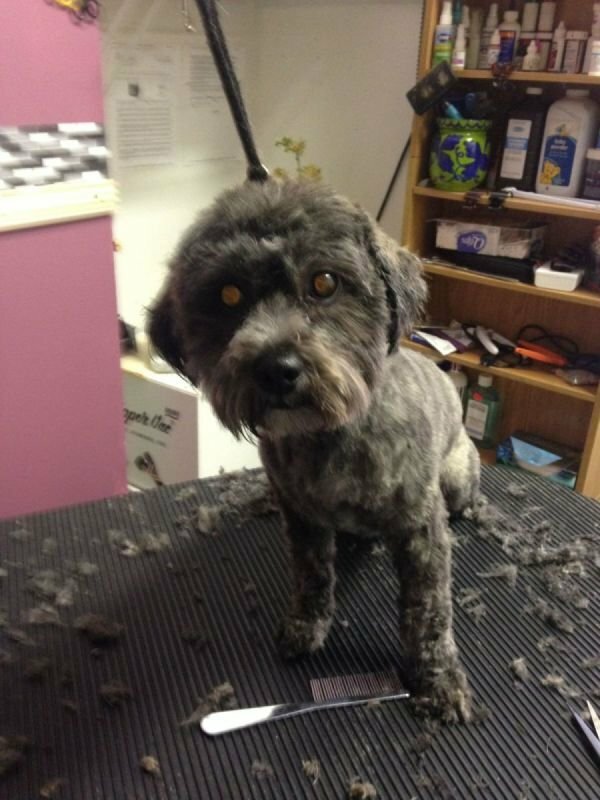 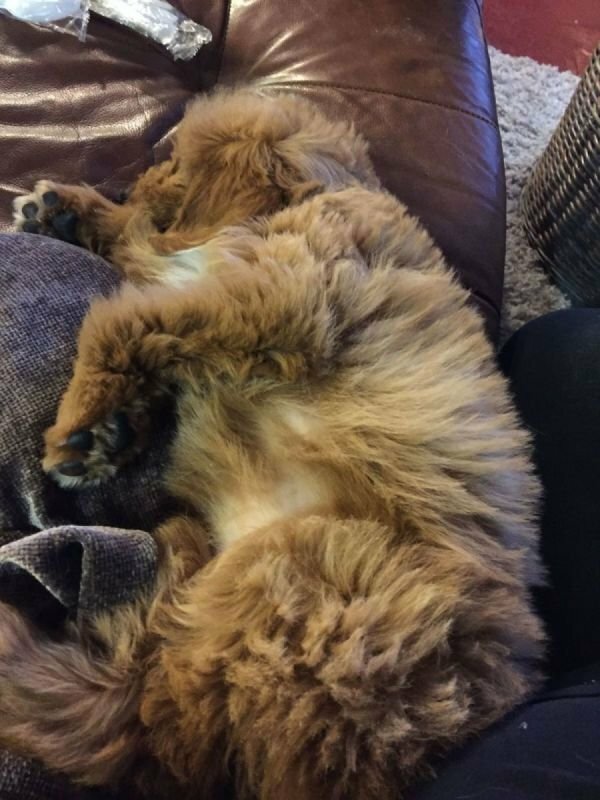 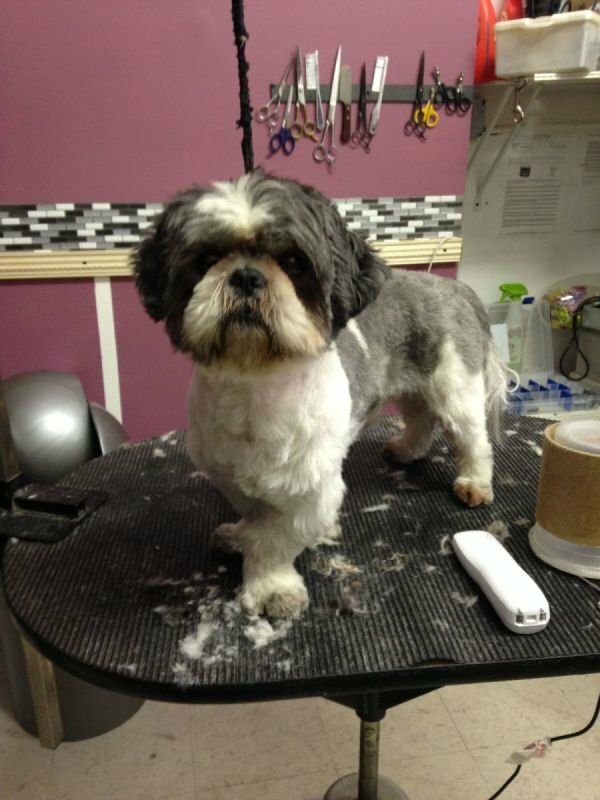 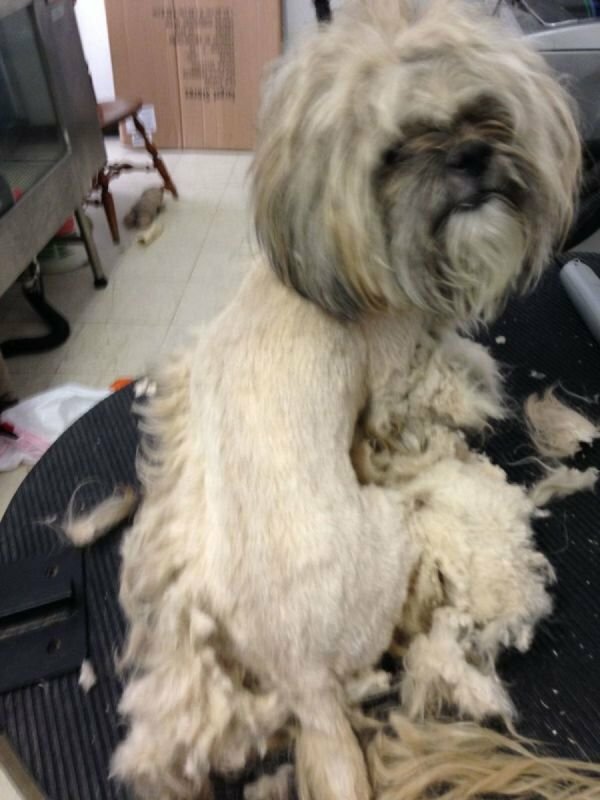 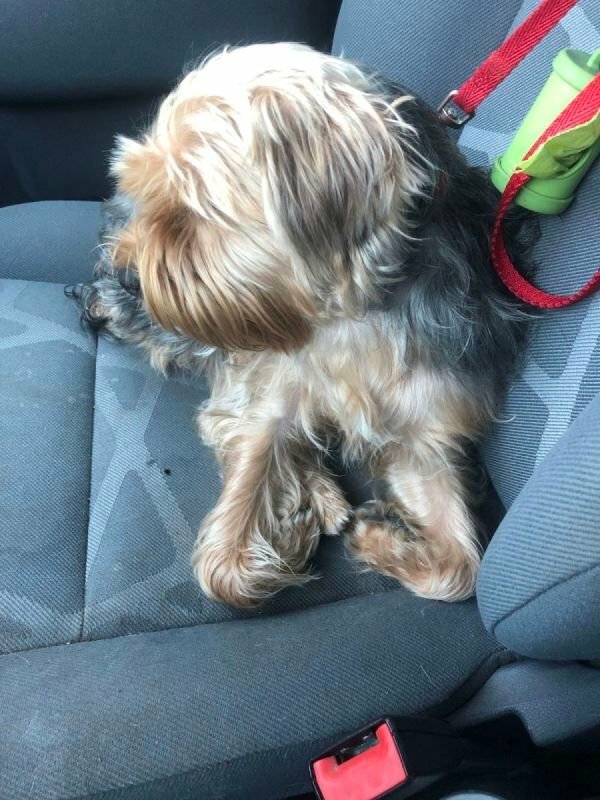 Because no two dogs are the same, dog-grooming prices may vary by breed, age, hair length, weight, temperament, and special needs. 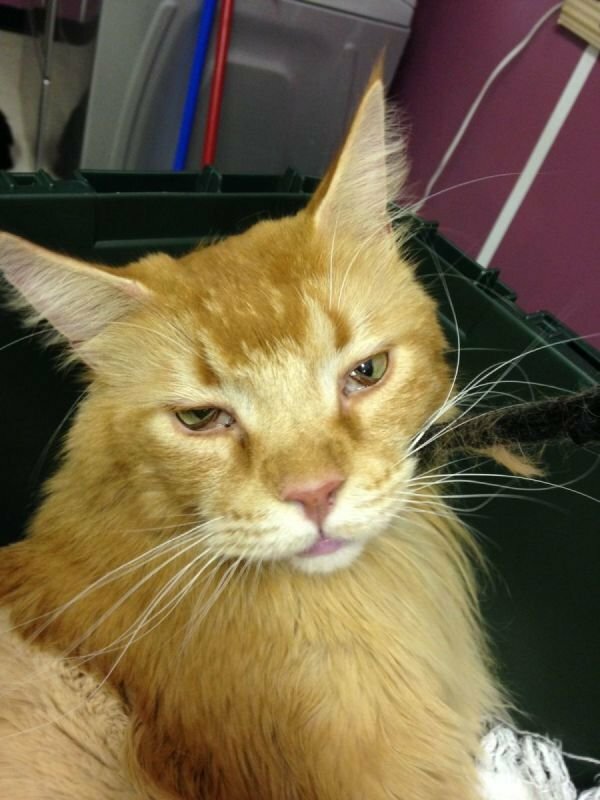 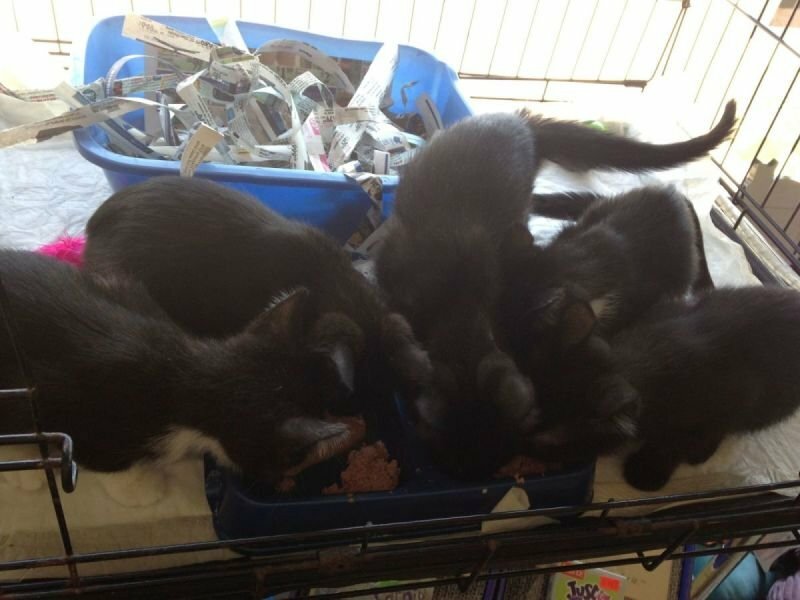 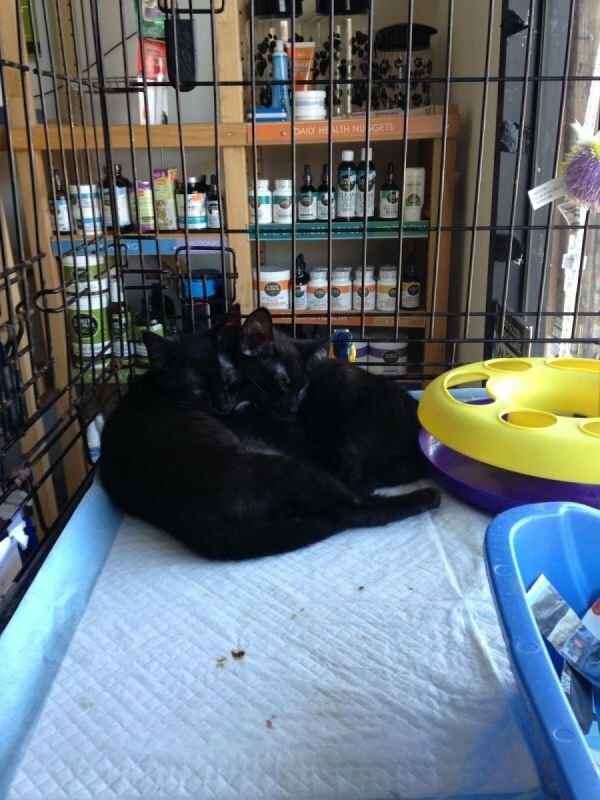 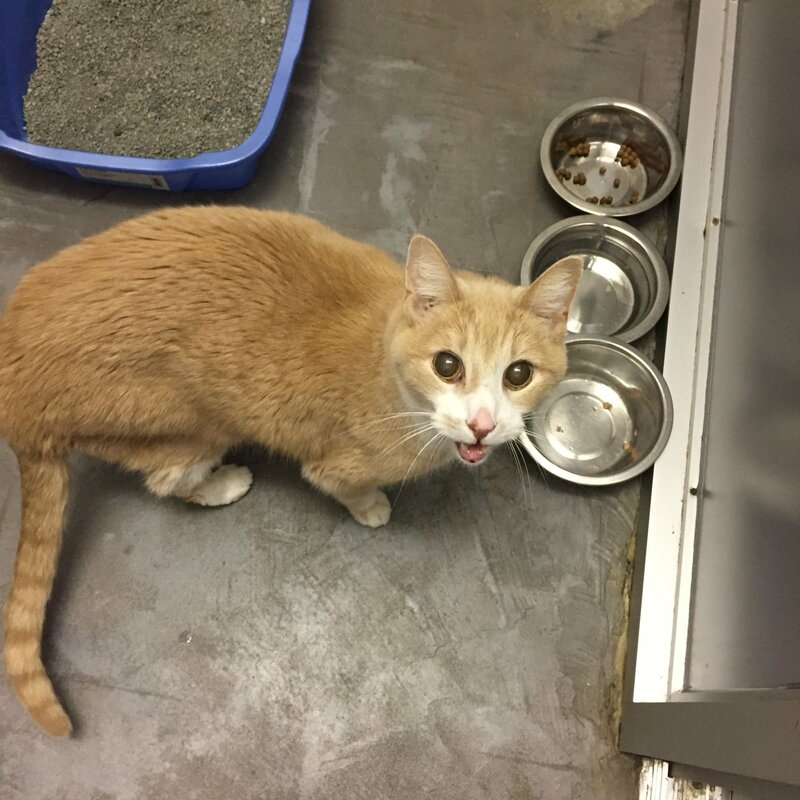 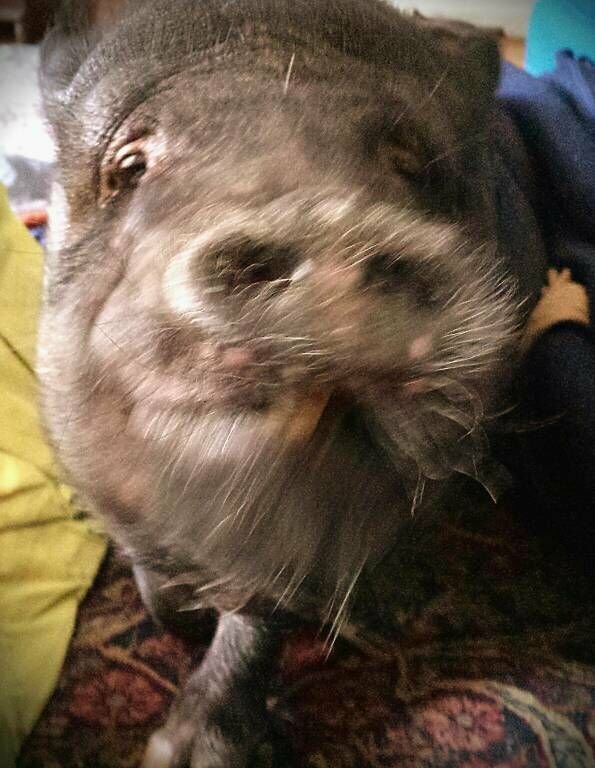 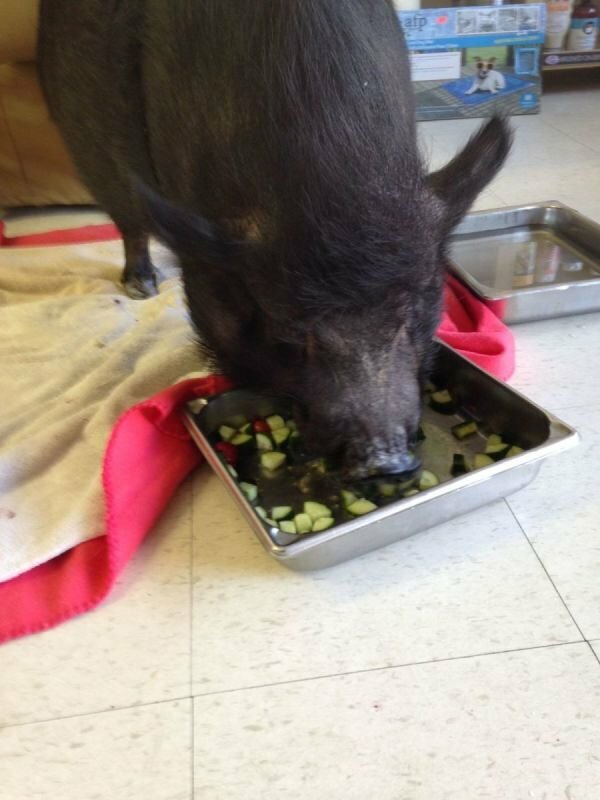 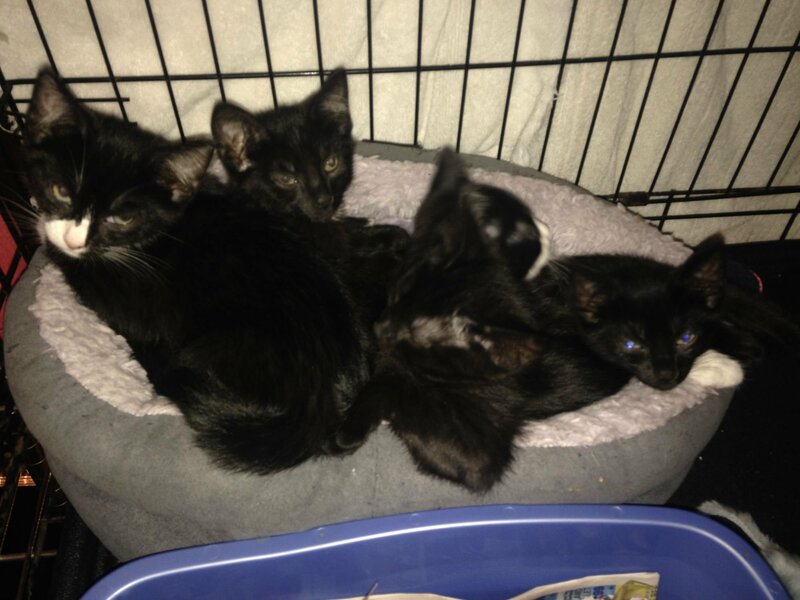 All visits are approximate 20 min includes change litter, feeding, playing. 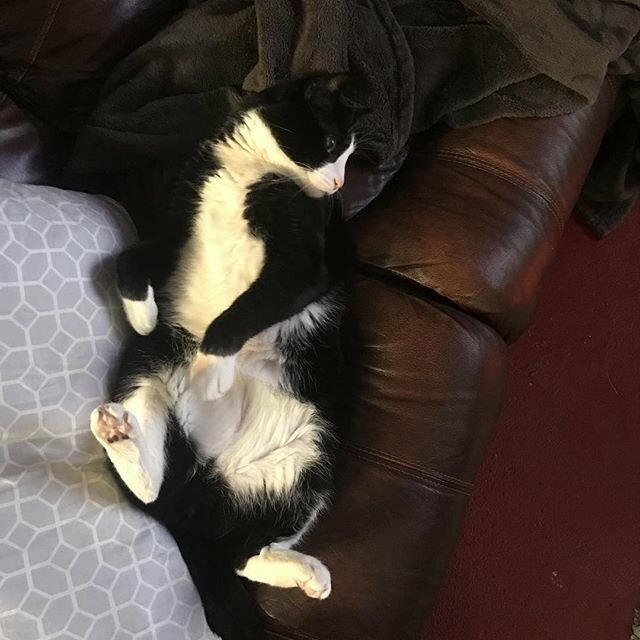 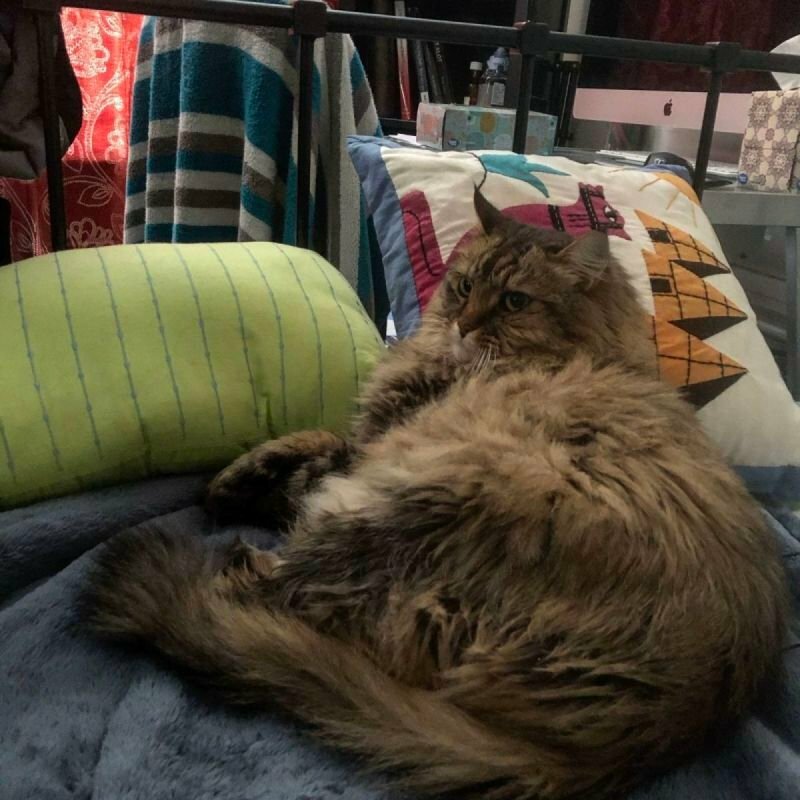 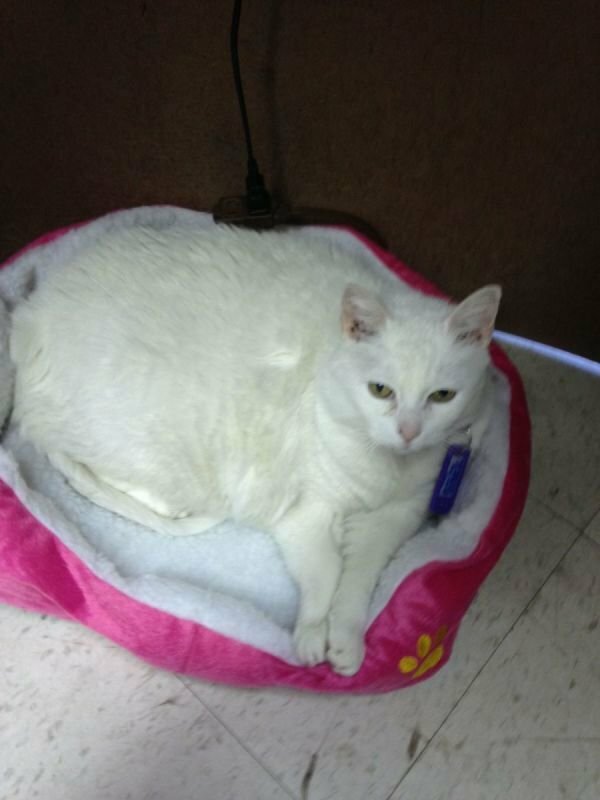 In home non medical visits cat care $25 for first two cats $5 additional 3 or more cats. Includes one to two visits. 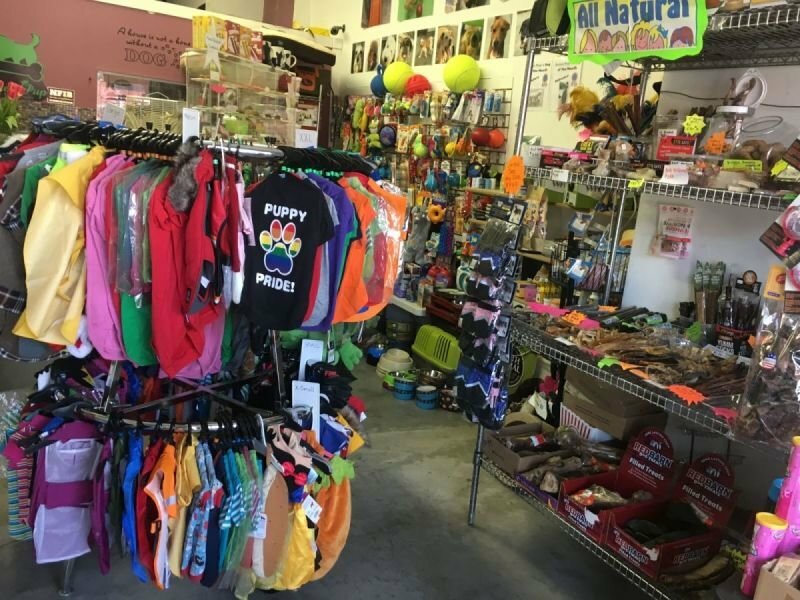 For third visit $5 additional. 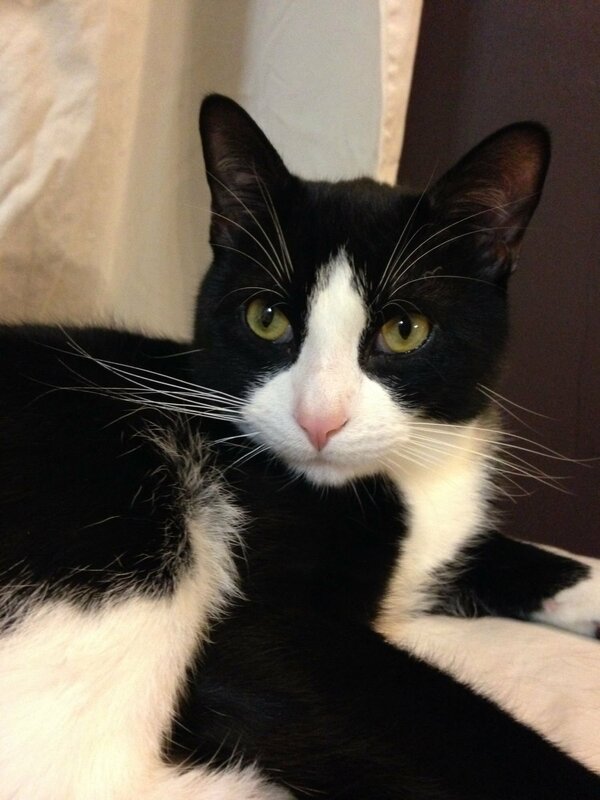 Medical visits for cats/or dogs: Insulin administration, medical admin/care, pill administration $7 additional. All visits are approximate 20 min includes feeding, and relief walk. 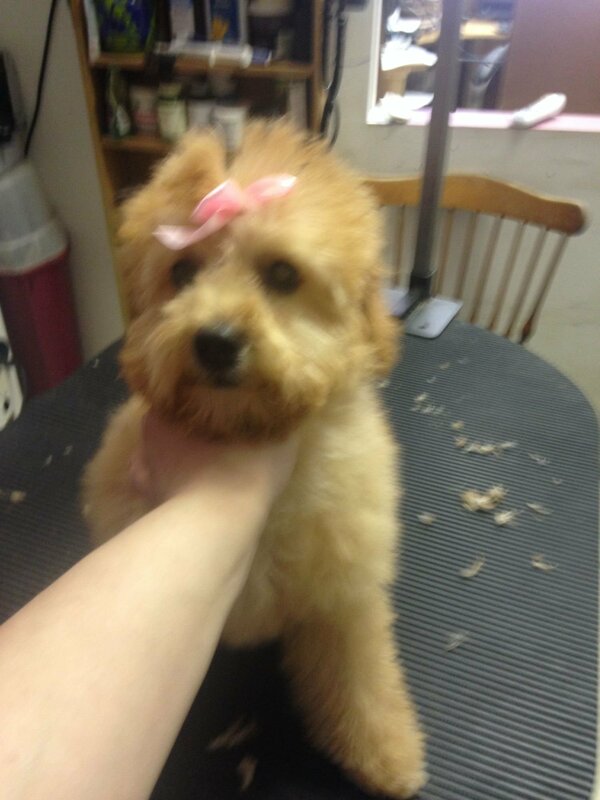 $30 Add $10 for 2nd visit same day. 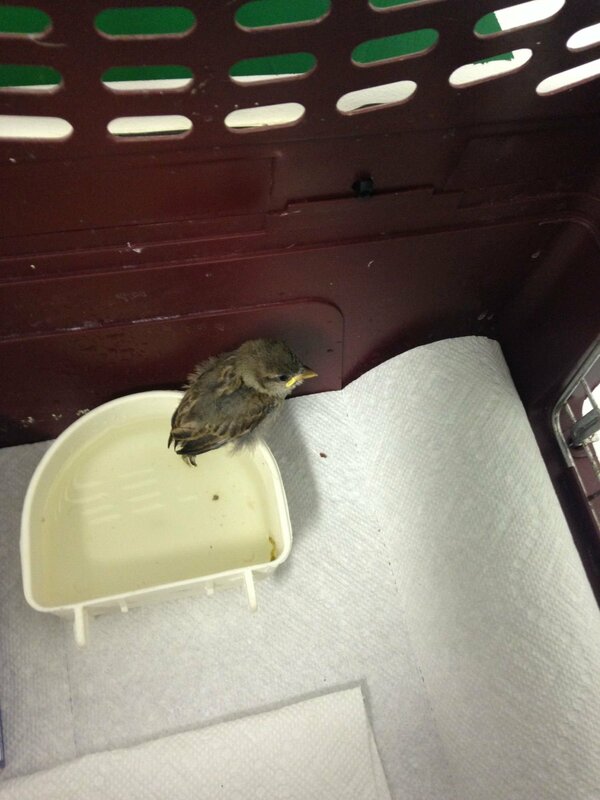 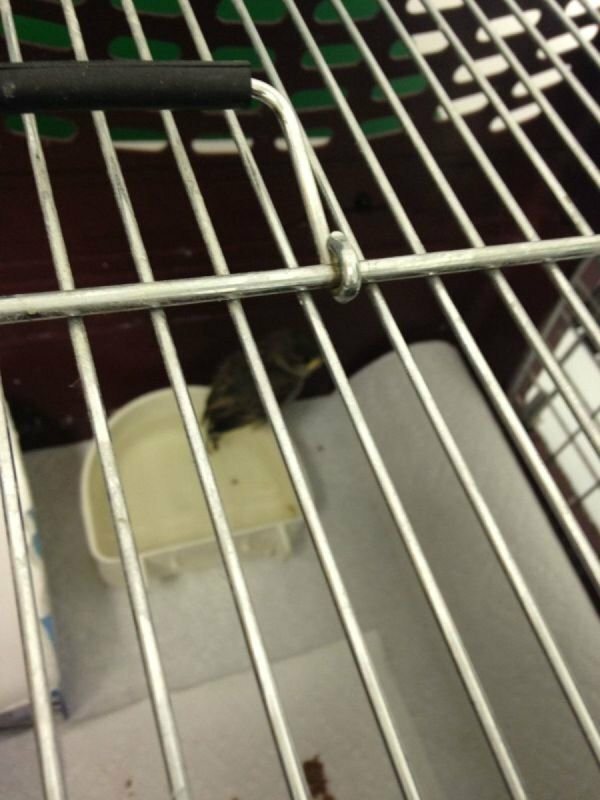 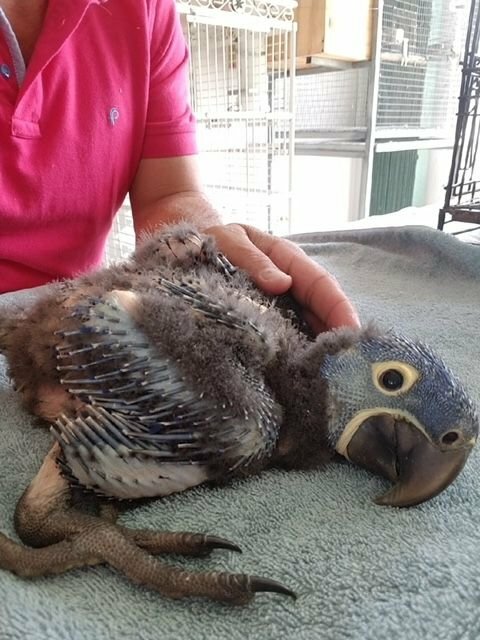 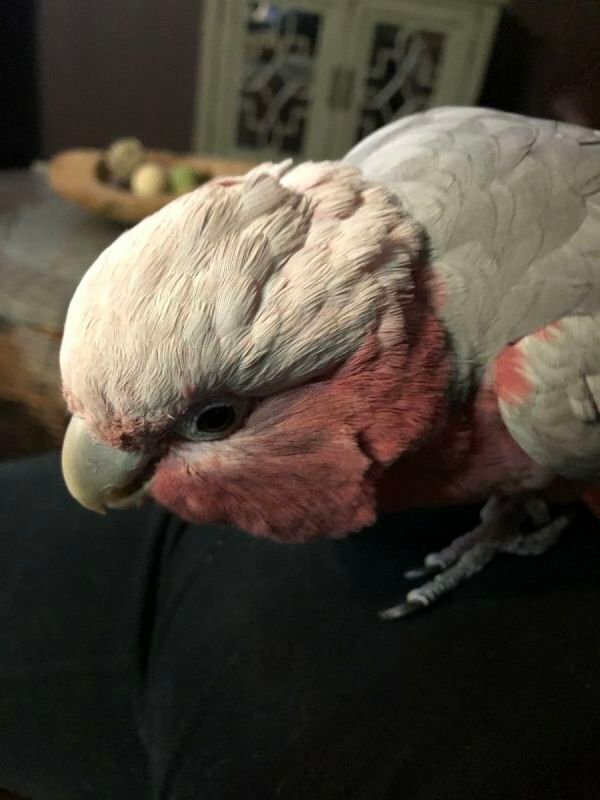 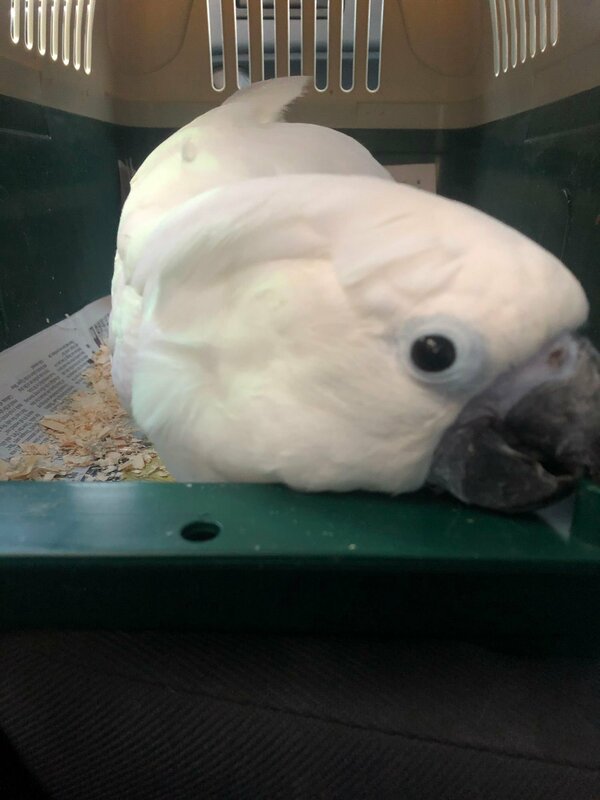 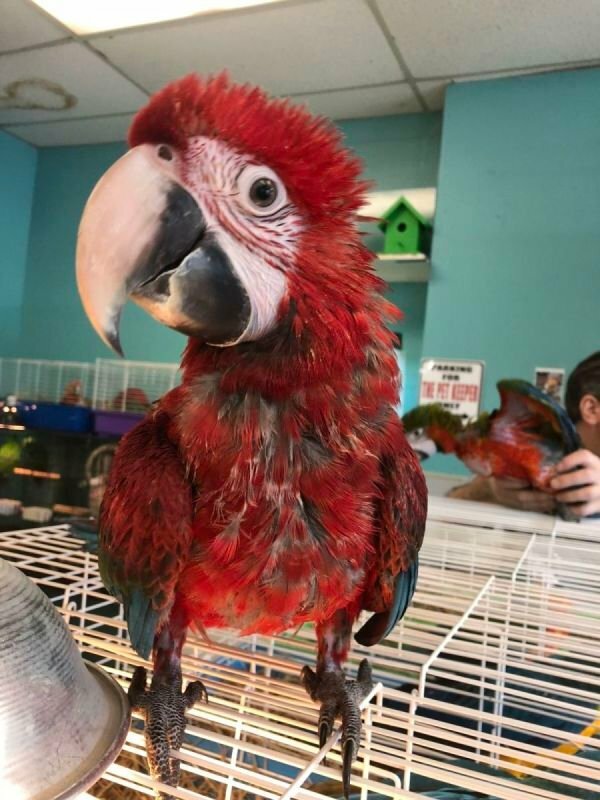 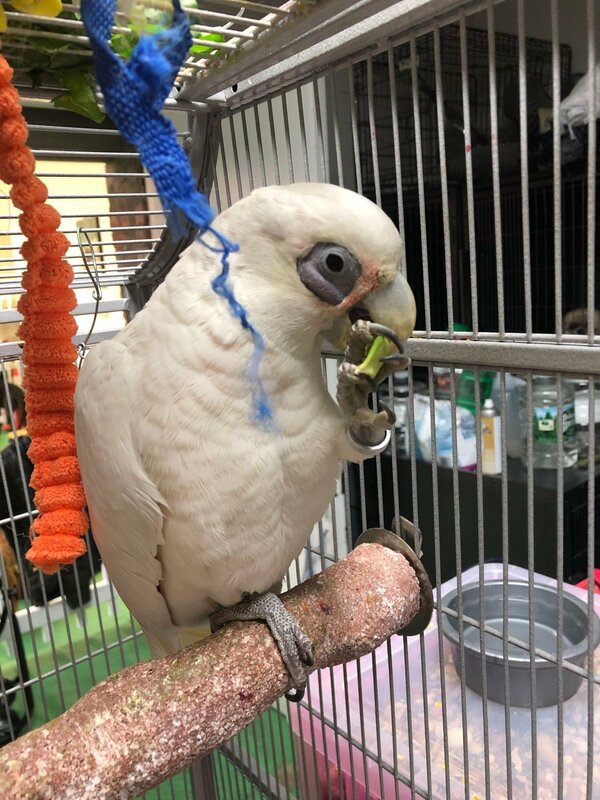 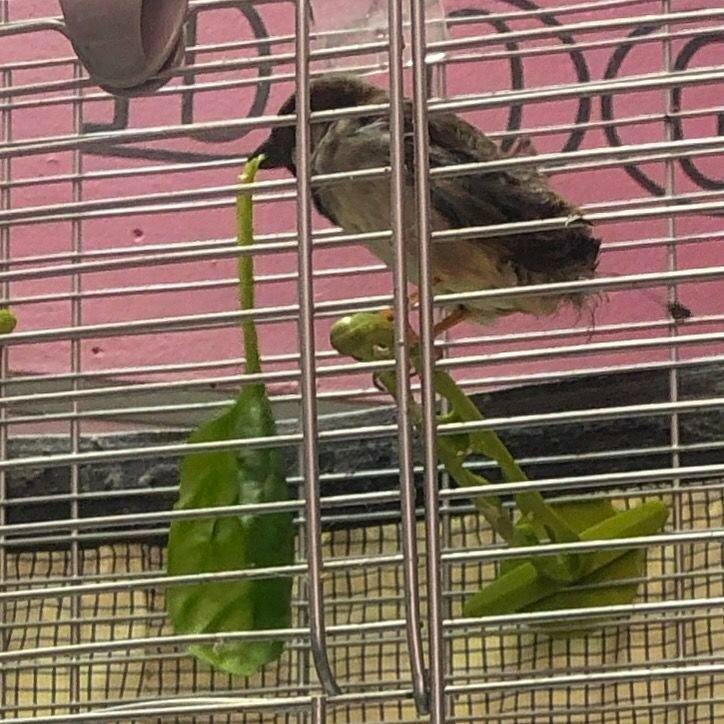 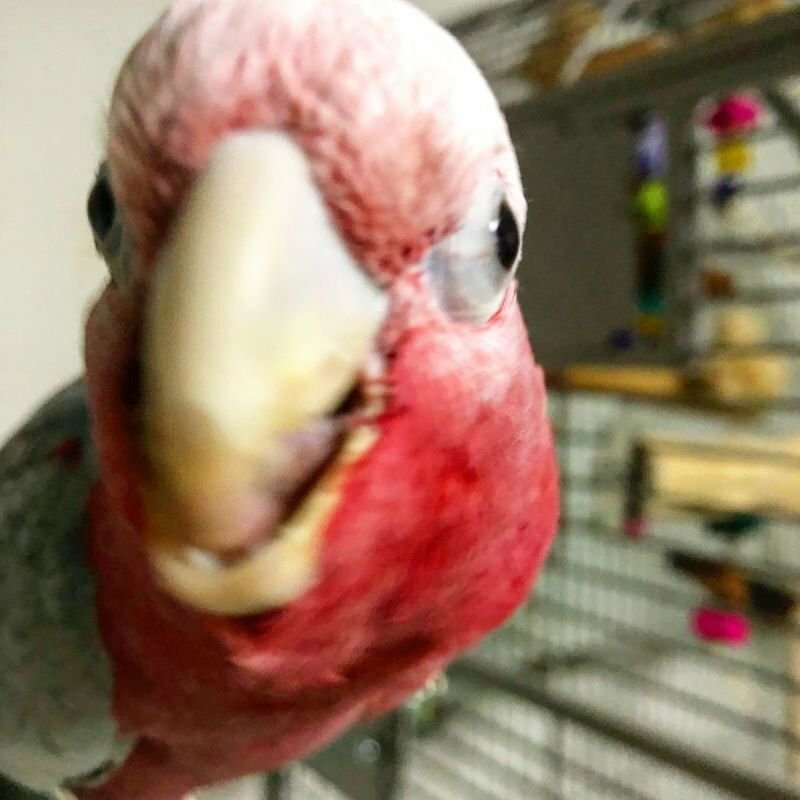 Birds: All visits are approximate 20 min includes cleaning cage, feeding, fresh water. 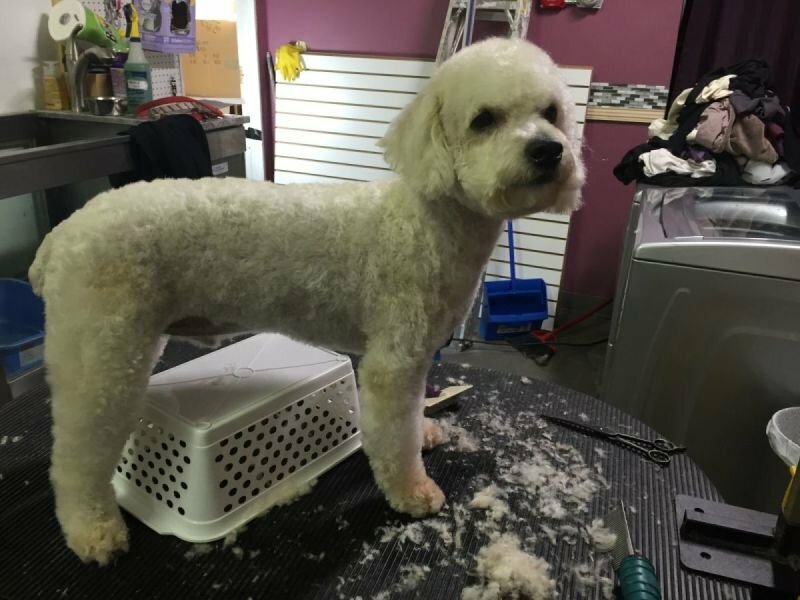 $30 Add $10 for 2nd visit same day. 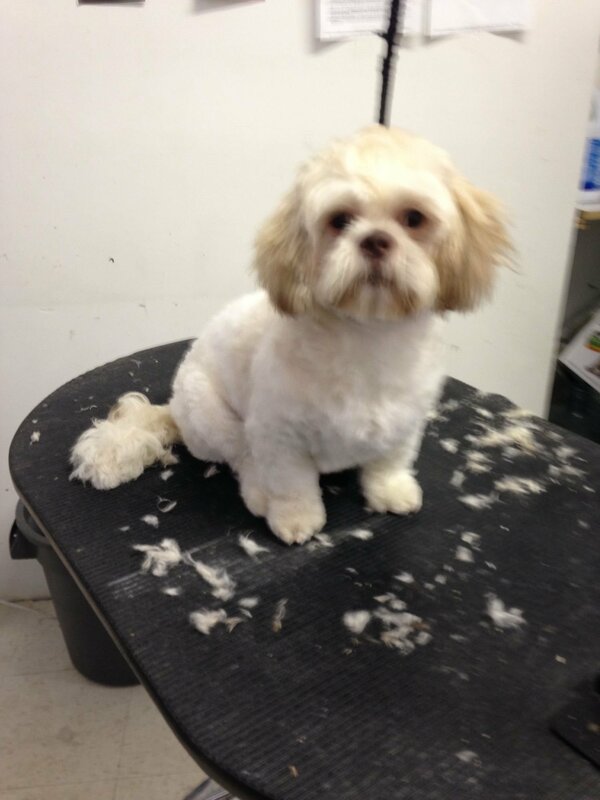 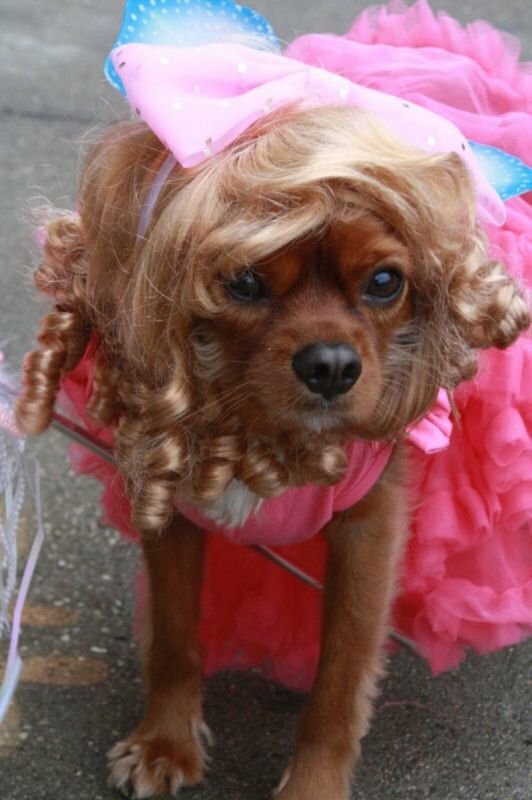 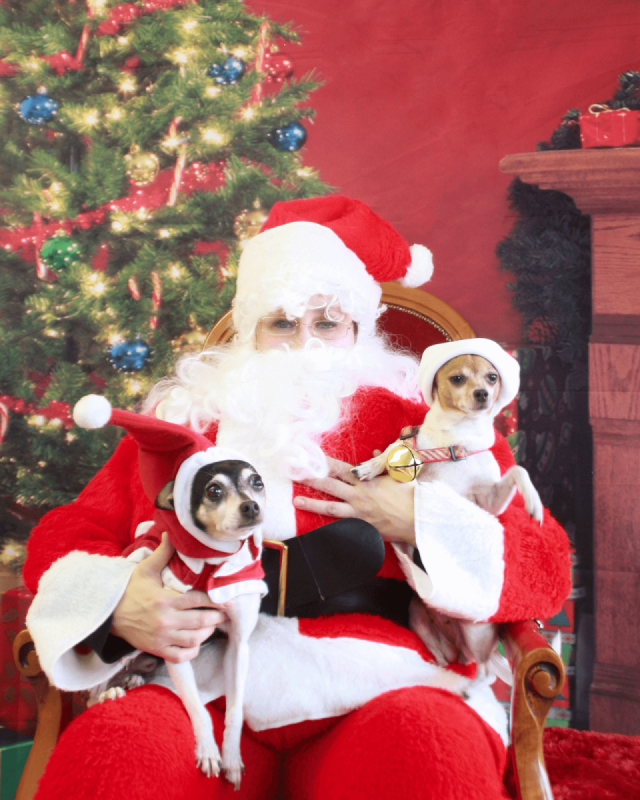 Receive 12% off yearound on grooming, boarding and the retail pet store. 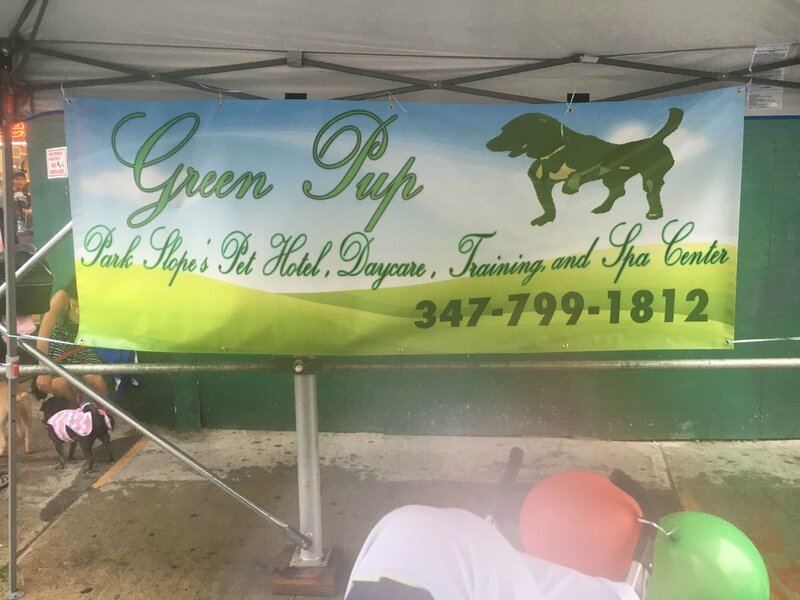 Pick up/drop off service Price depends on location. 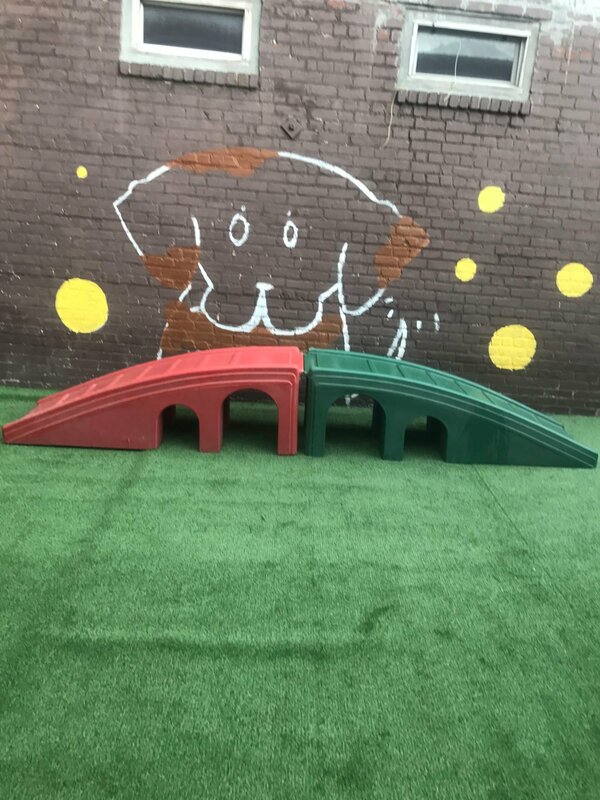 Ranges from $10-14 weekly. 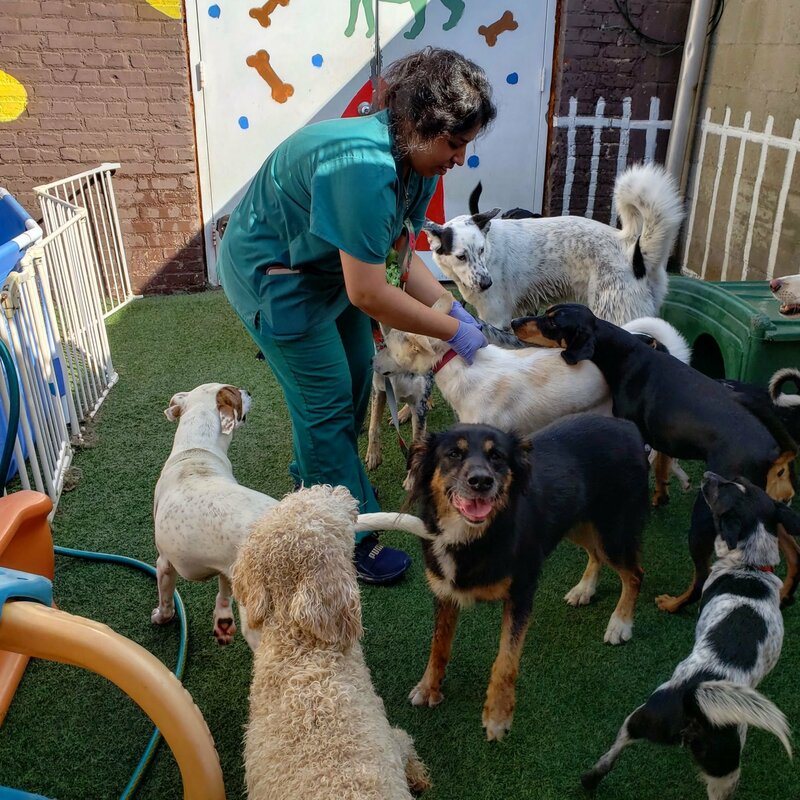 Vaccine Certificate must be presented during time of sign up. 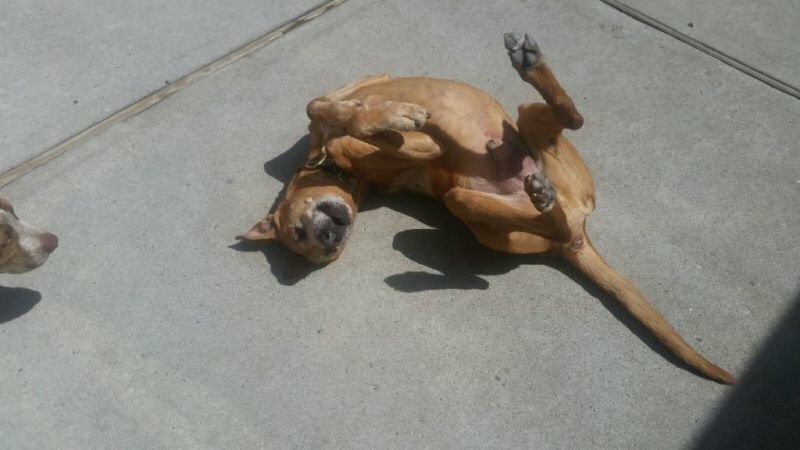 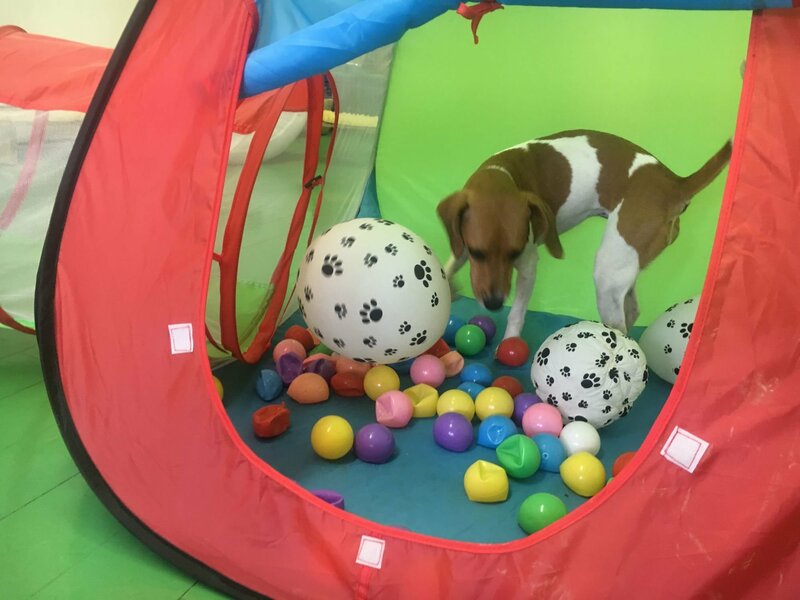 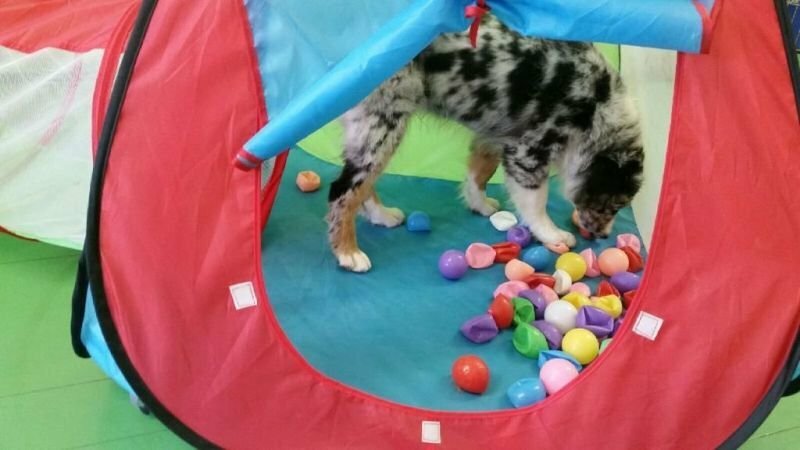 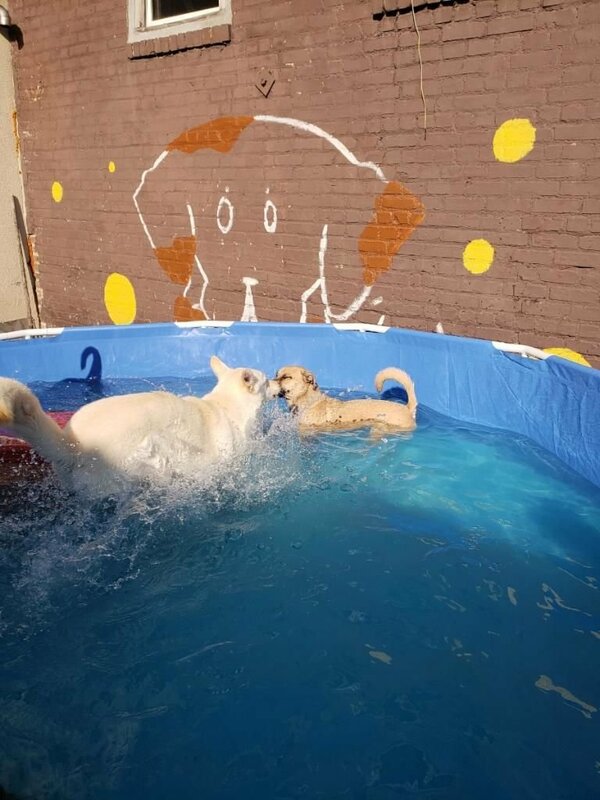 During the warm months we have many new and fun activities to entertain your pup. 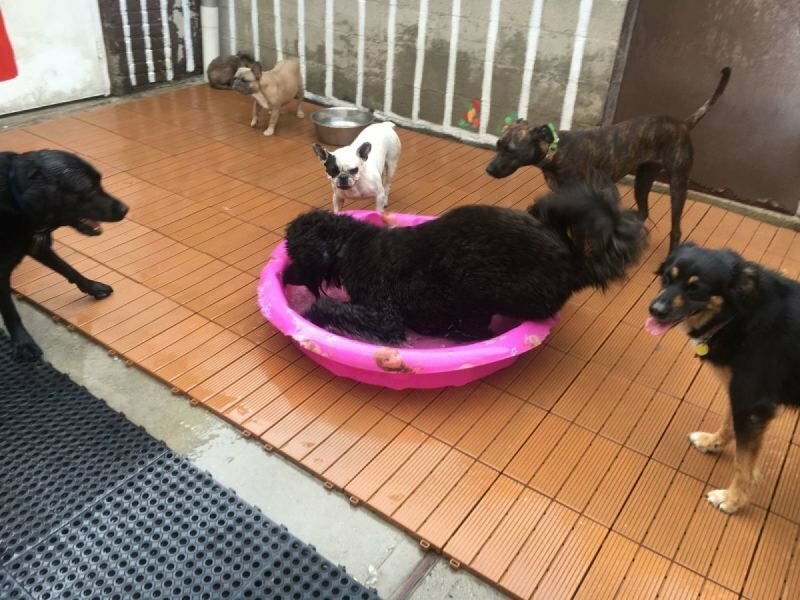 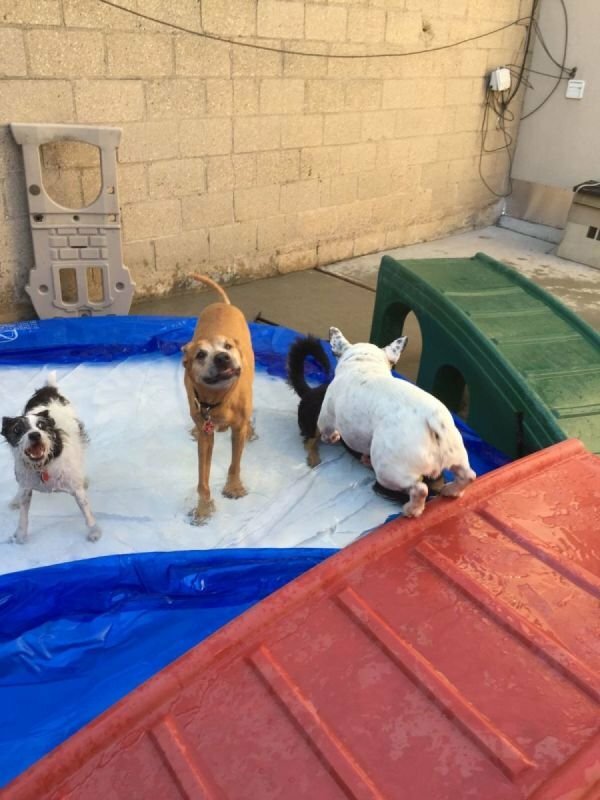 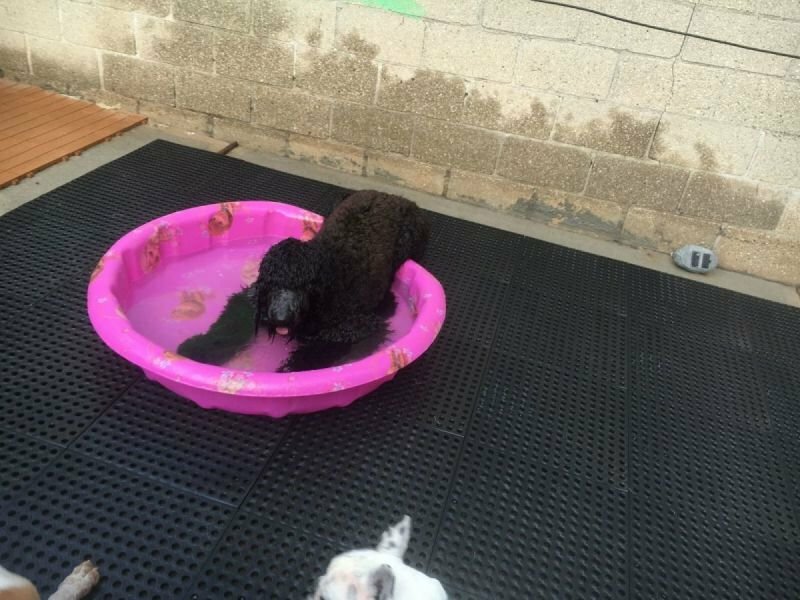 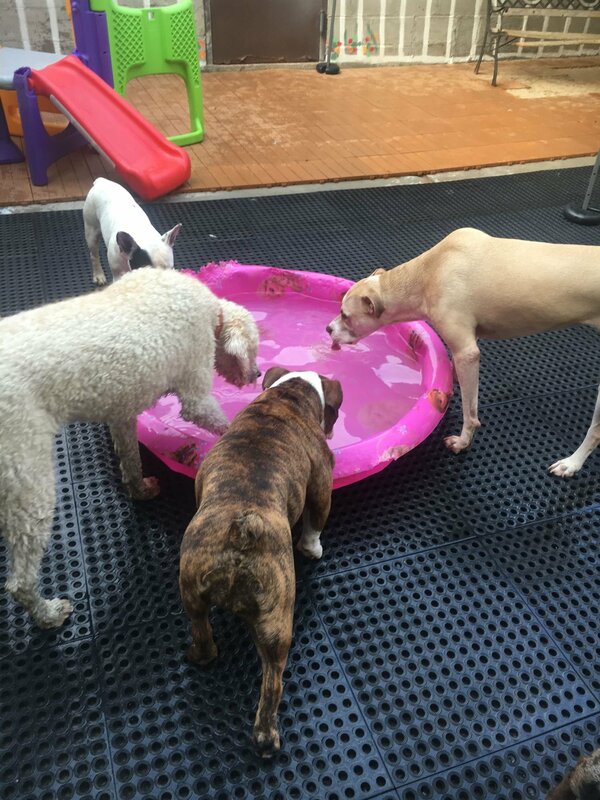 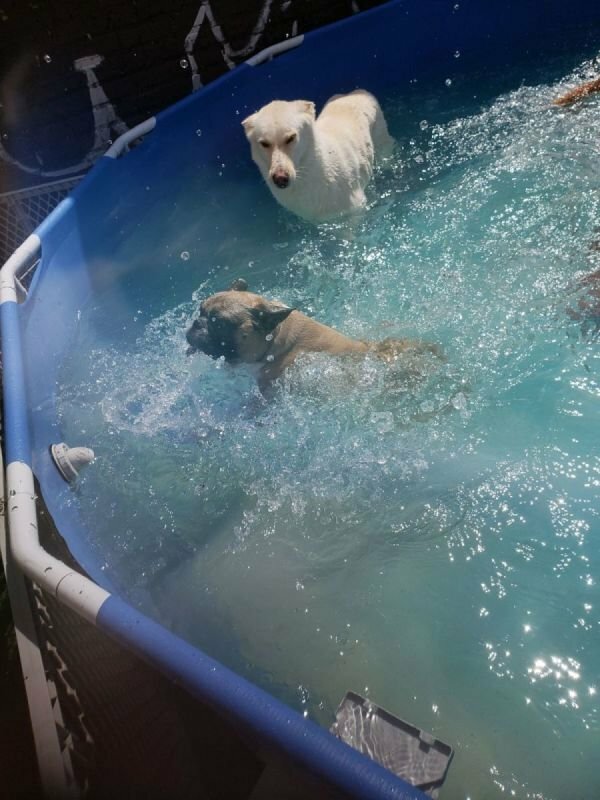 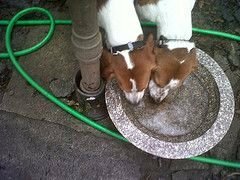 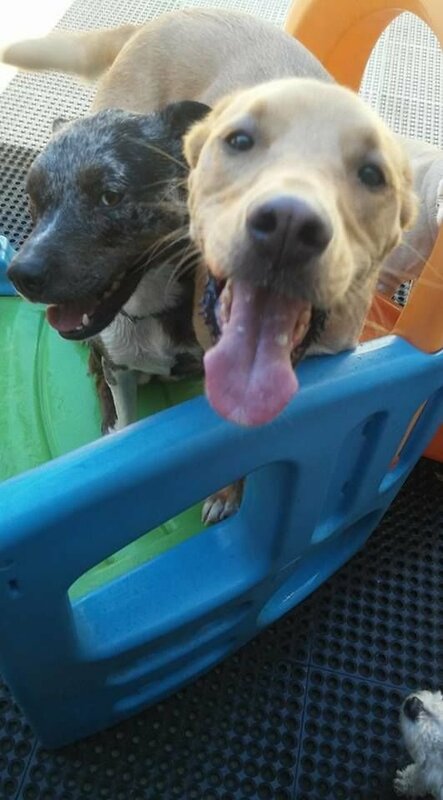 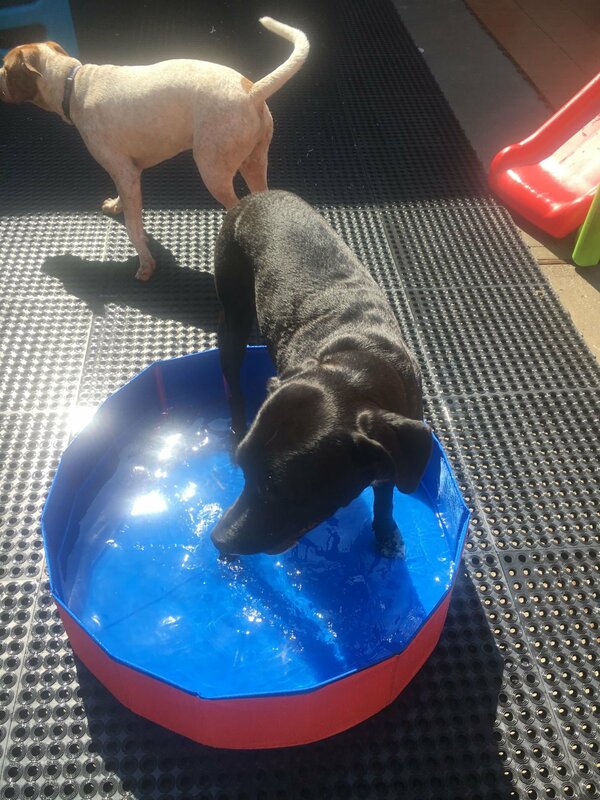 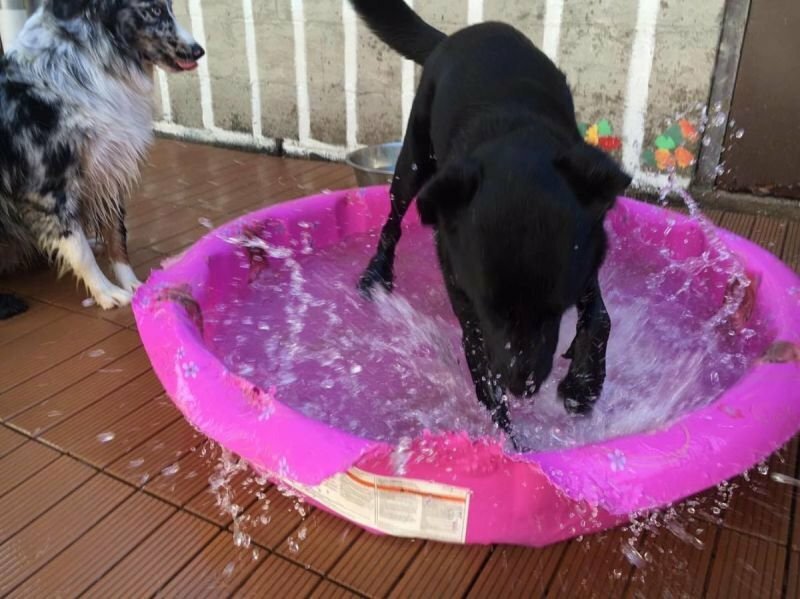 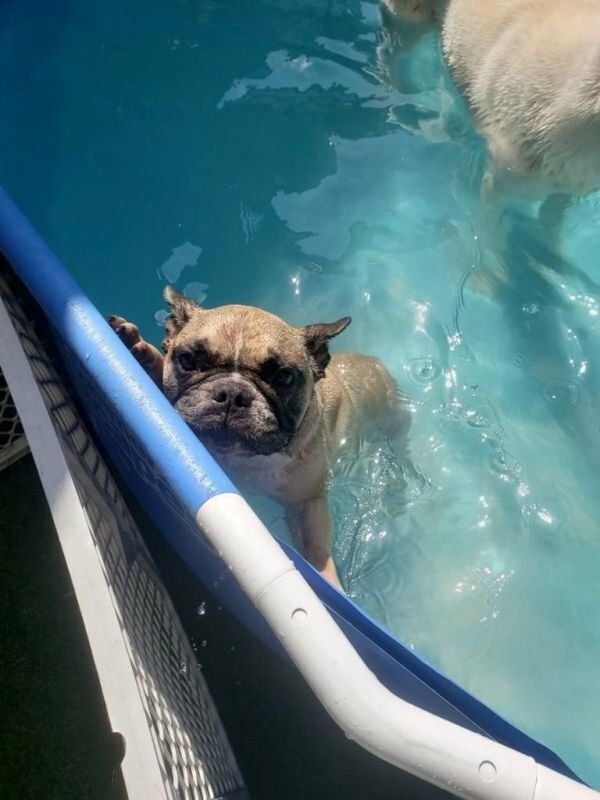 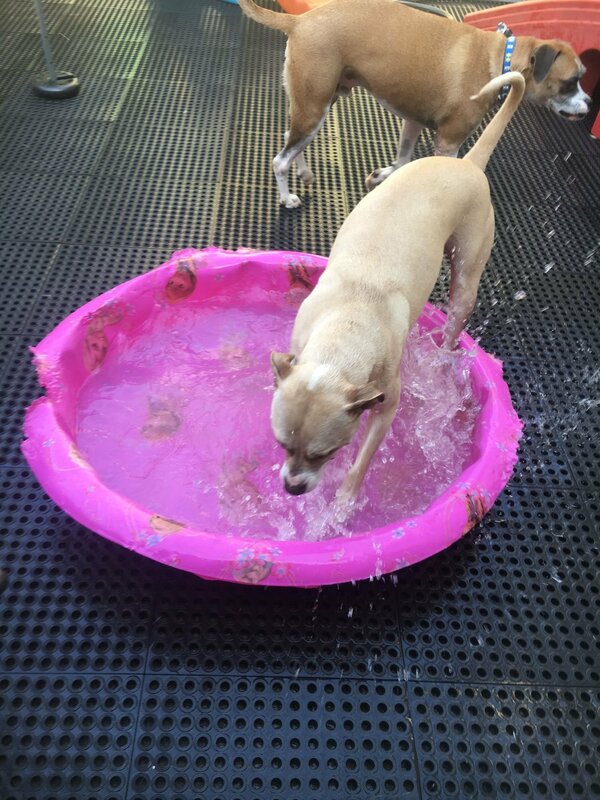 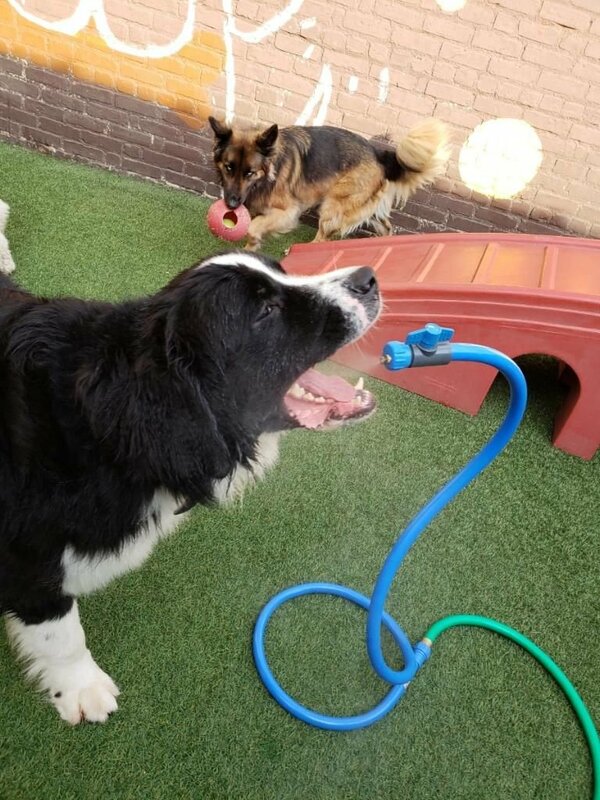 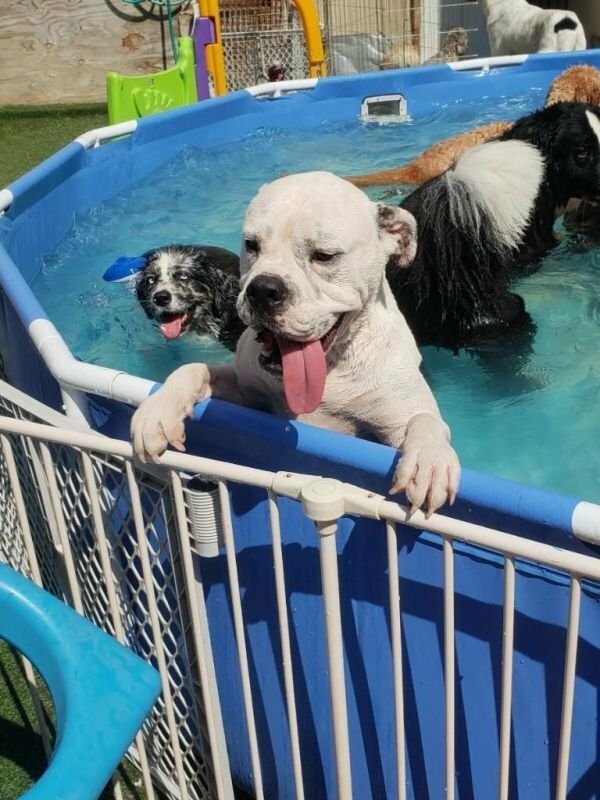 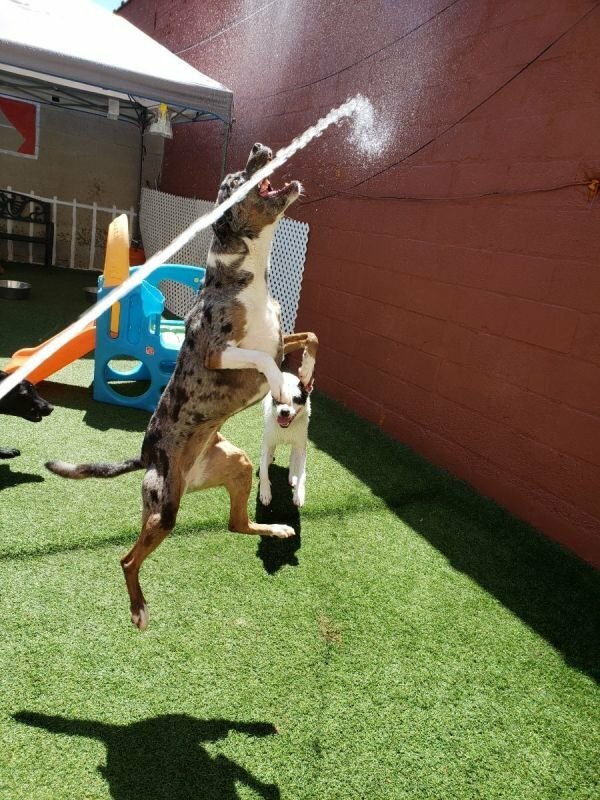 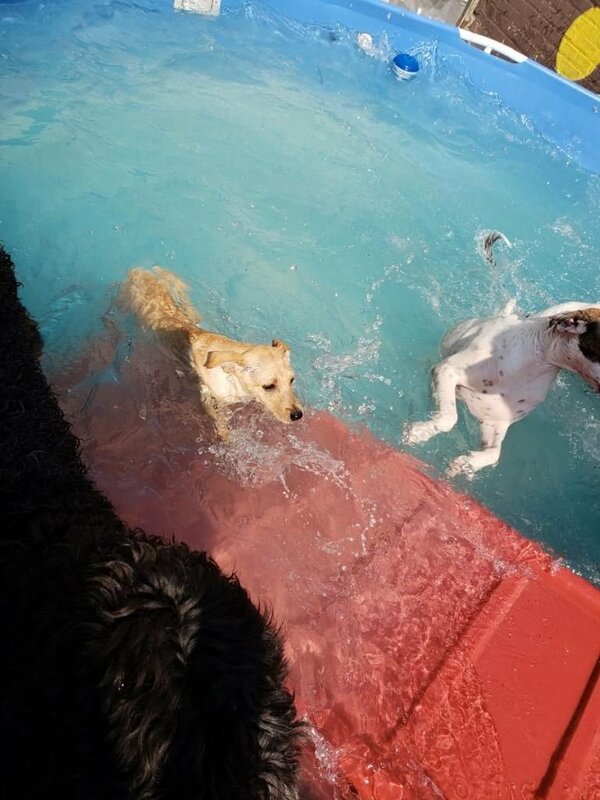 The dogs have access to a 12x4 foot swimming pool, and have lots of hose play for those who enjoy water a different way. 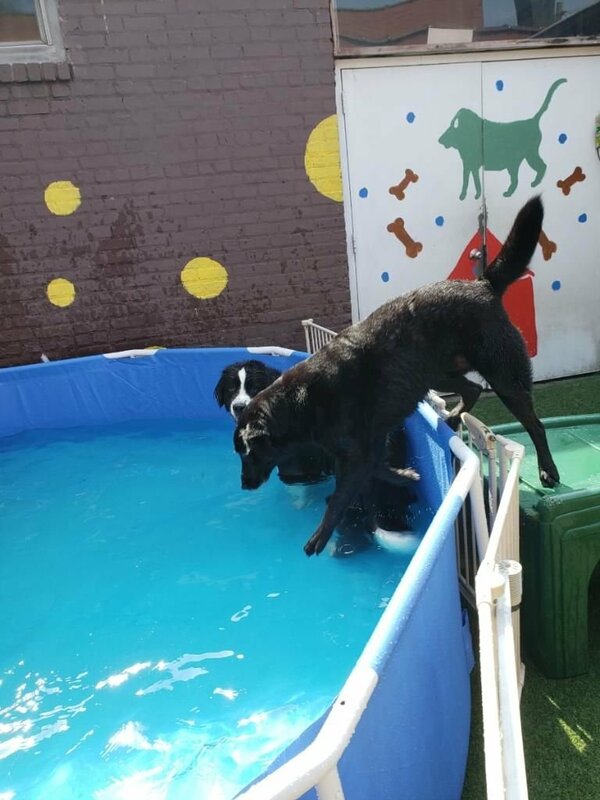 We provide daily swimming lessons for all. There are many benefits of swimming. 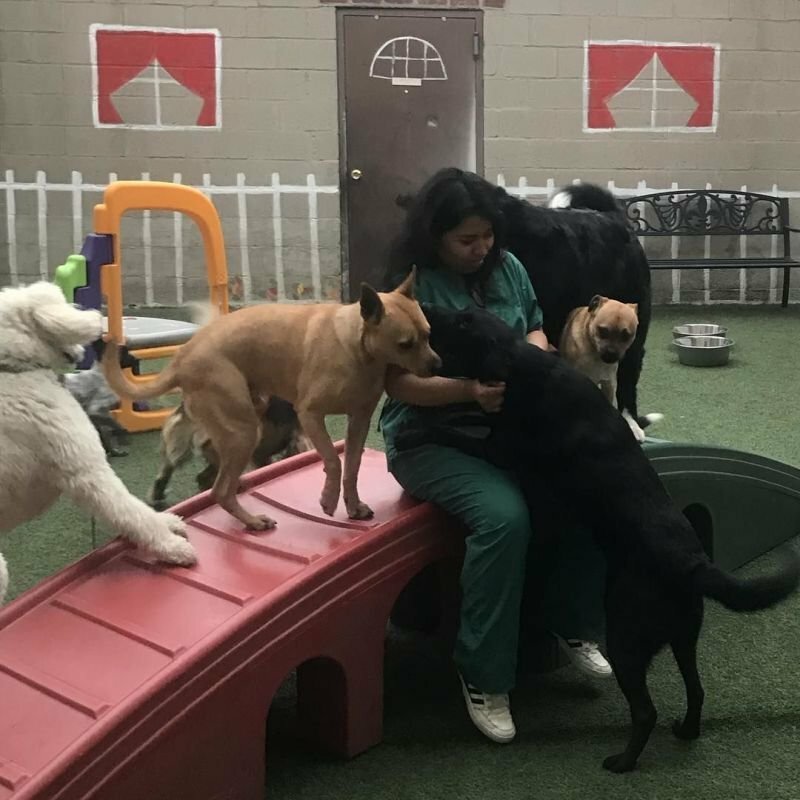 It helps to maintain a healthy weight, provides hip and joint-friendly exercise on a regular basis, works cardiovascular and respiratory systems, lifts spirits and improves mental well-being. This is the perfect exercise for anyone who has been injured or just arthritic. 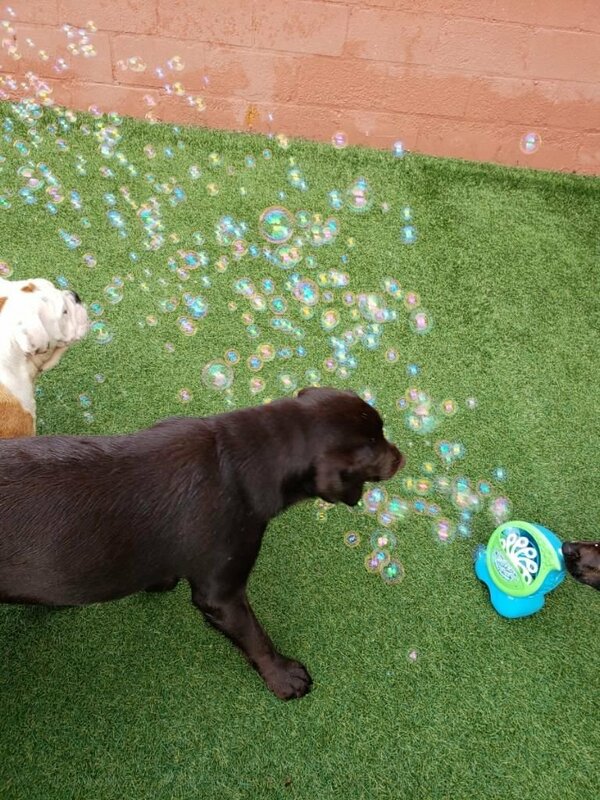 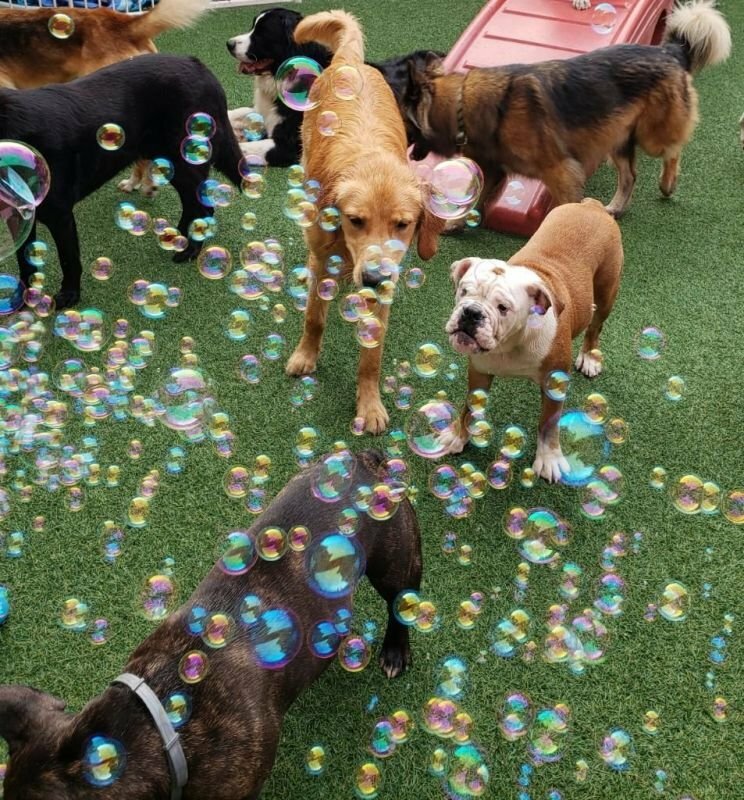 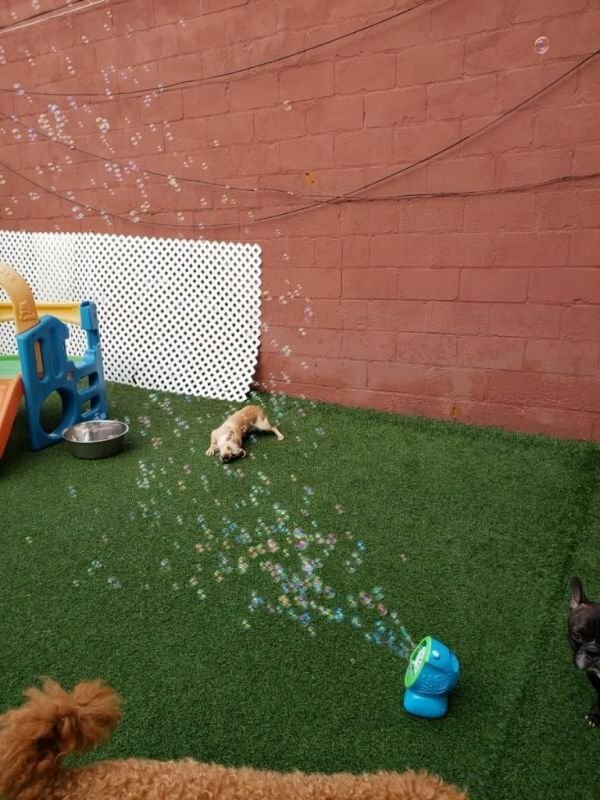 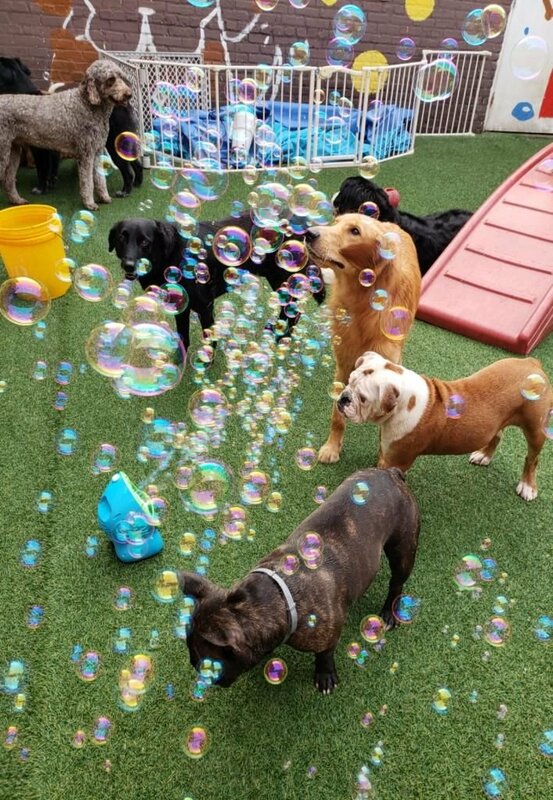 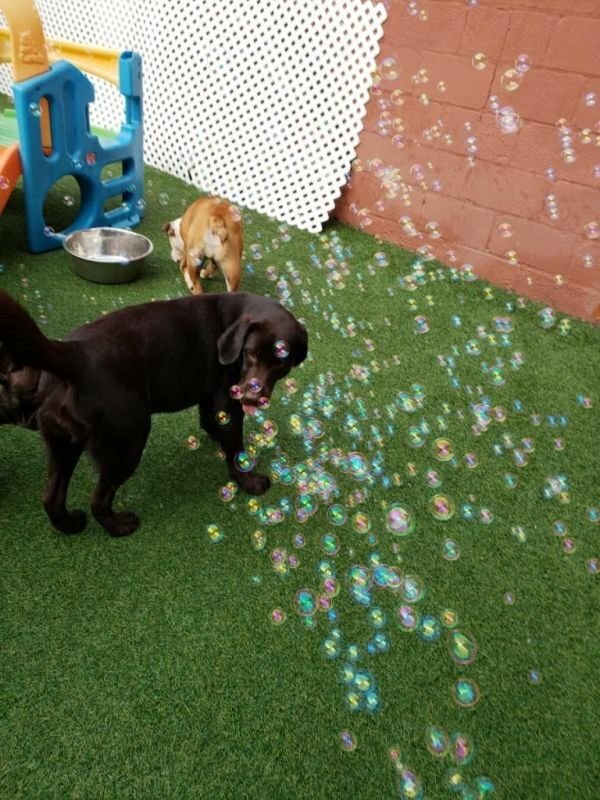 On bubble day we have fun playing with bubbles from our bubble machine. 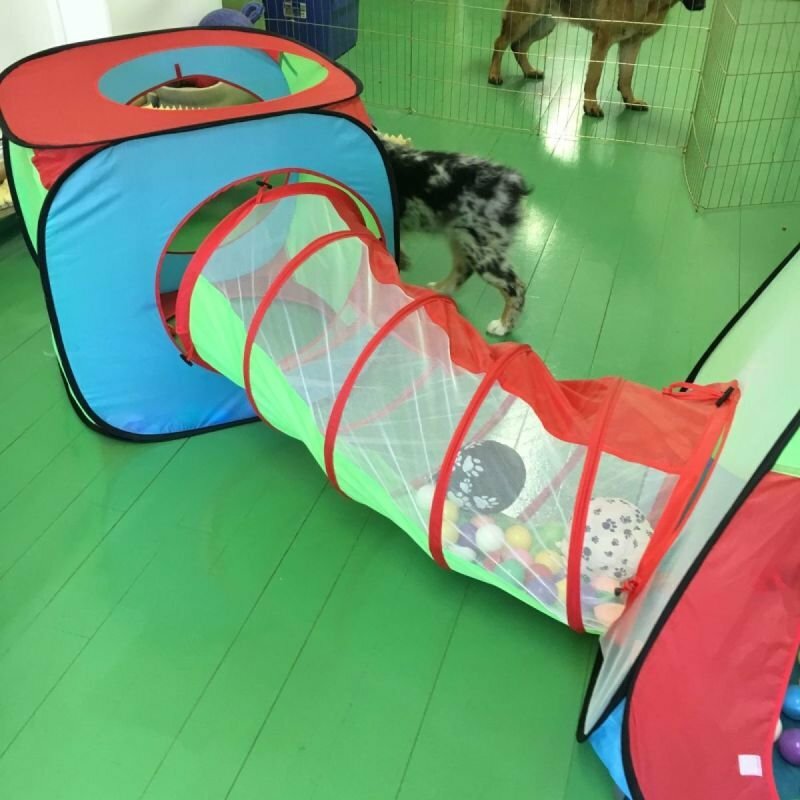 This provides great exercise while having a great time playing in a different way. Pictures and Videos are always provided.